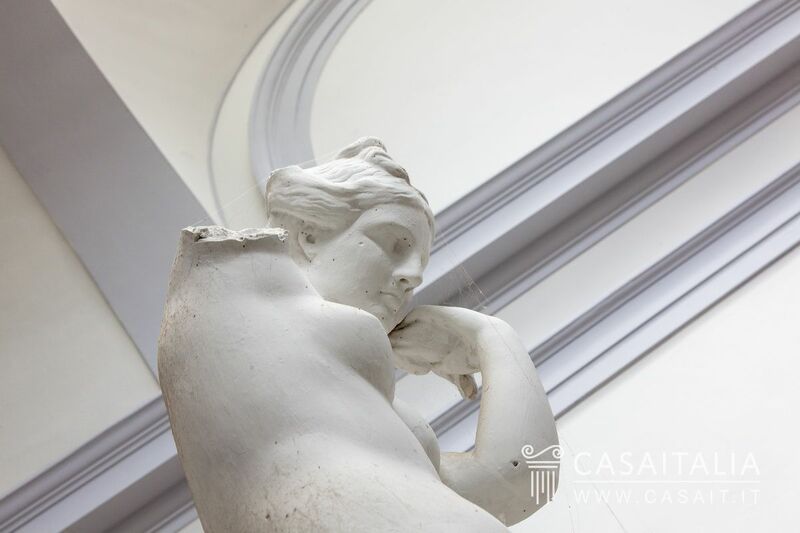 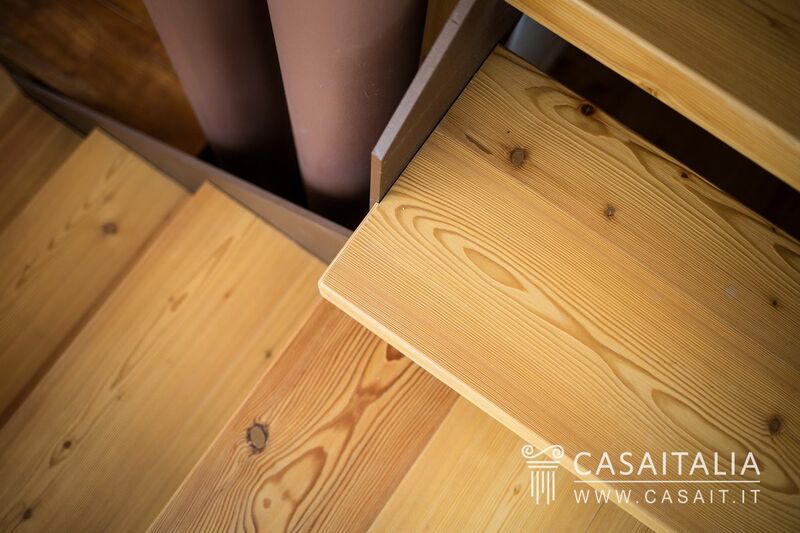 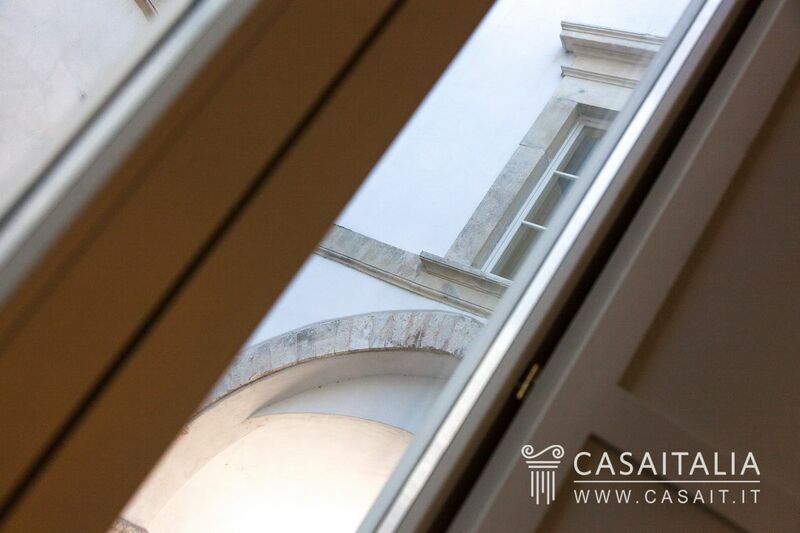 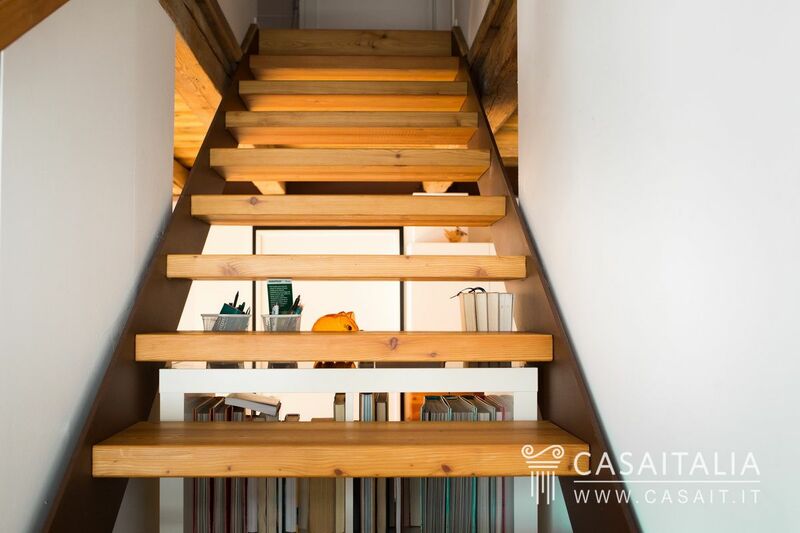 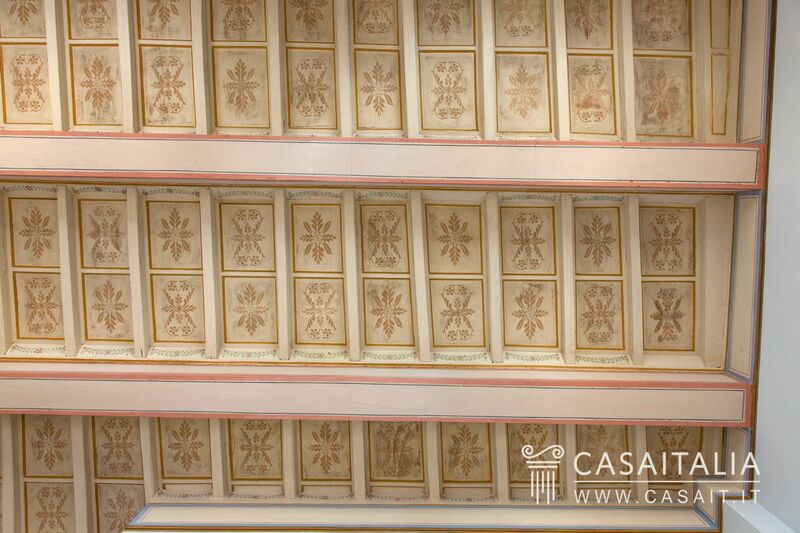 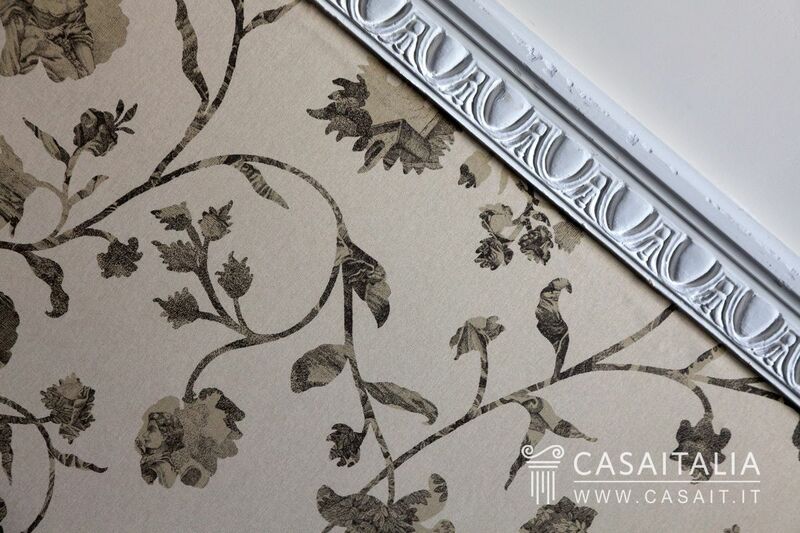 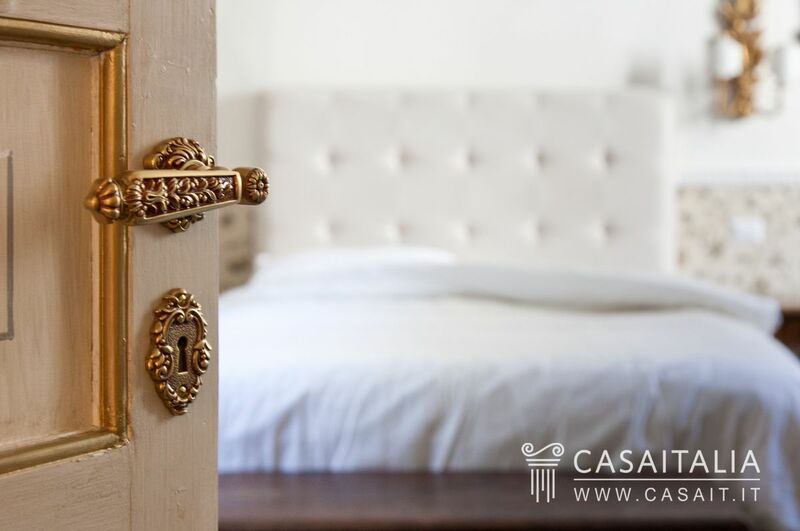 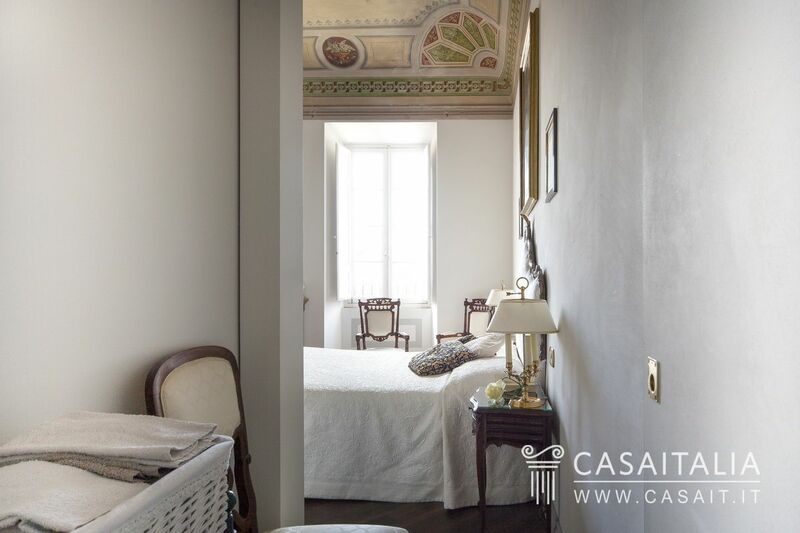 Attic and luxury apartments on sale in central Rome, Milan, Florence, Venice and in the smaller artistic cities. 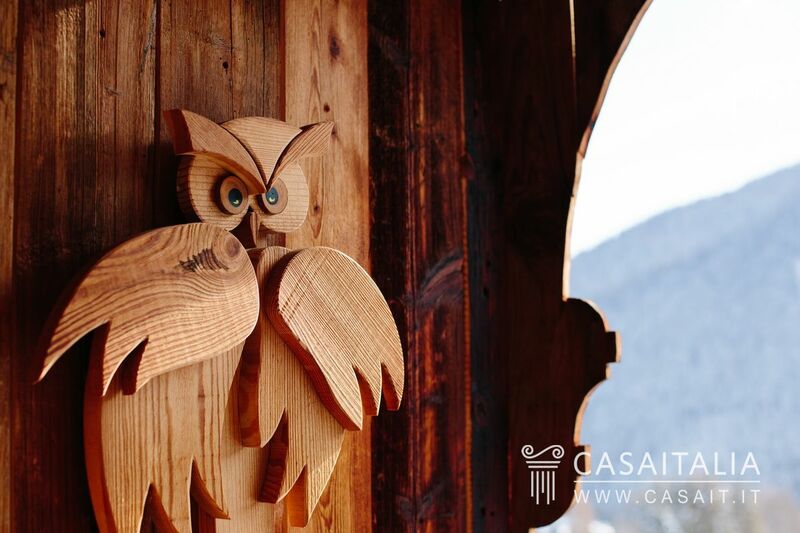 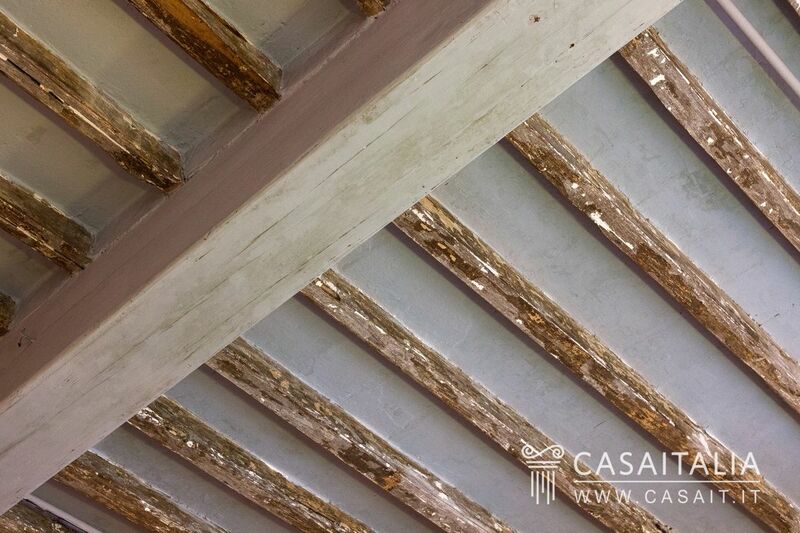 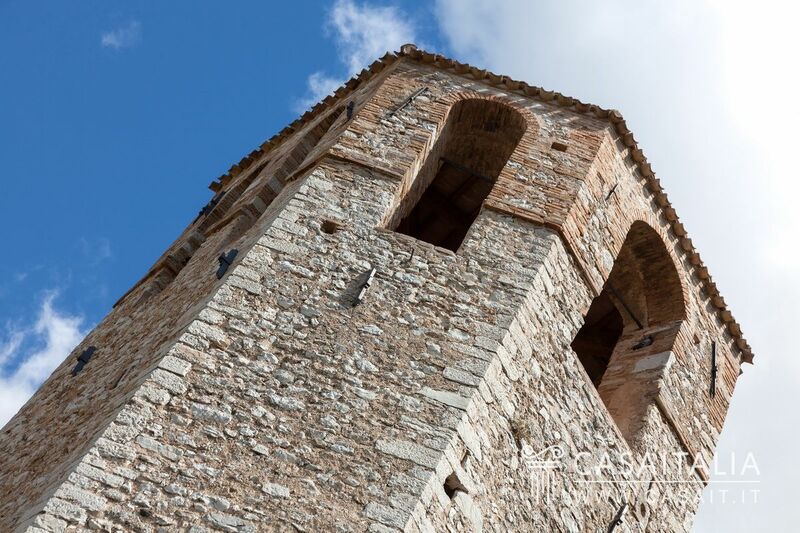 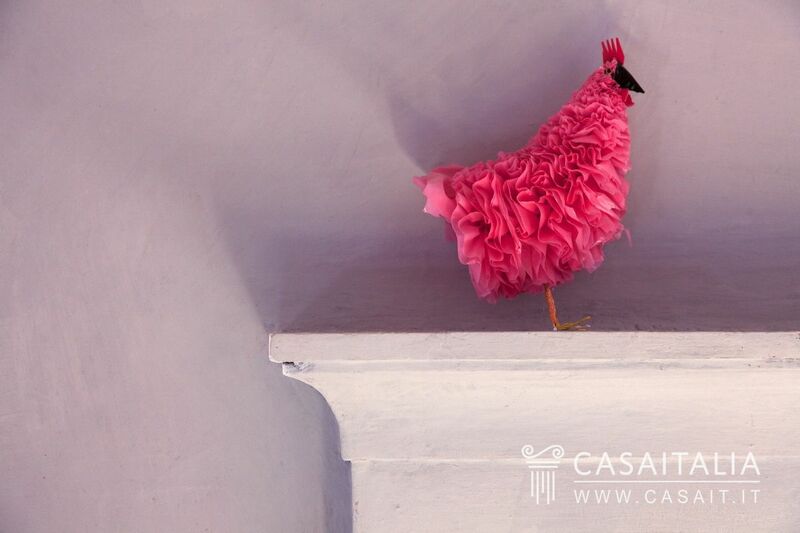 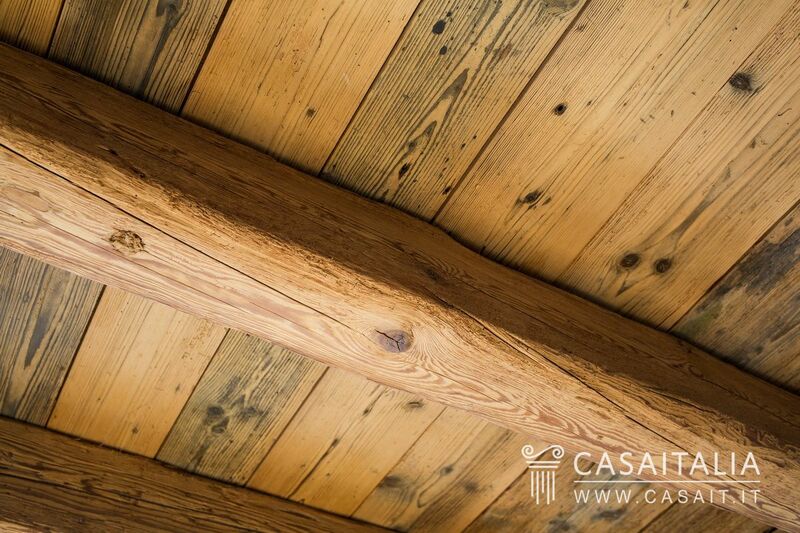 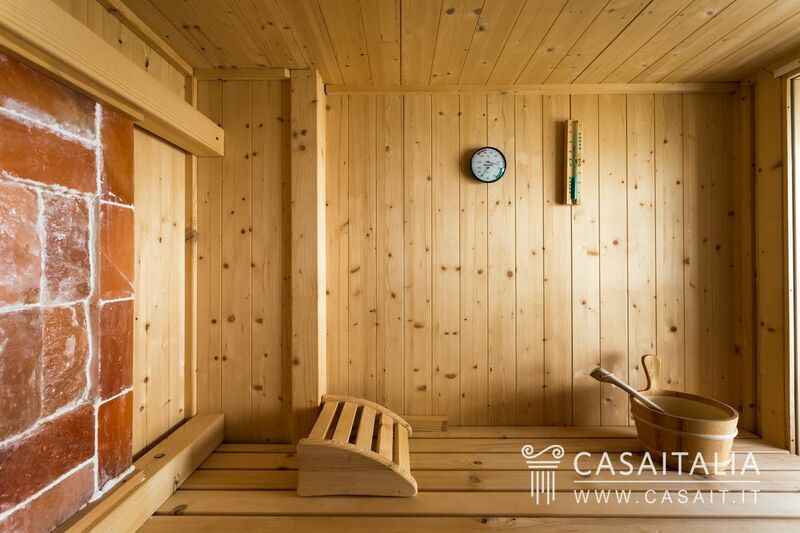 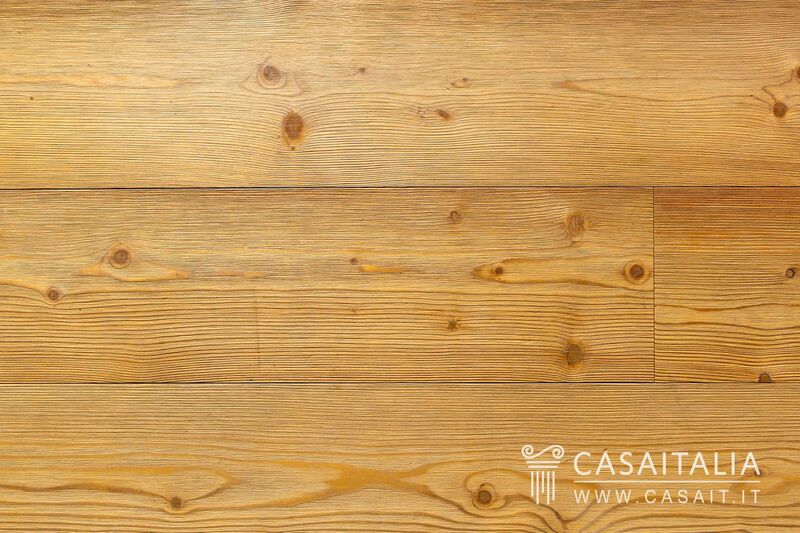 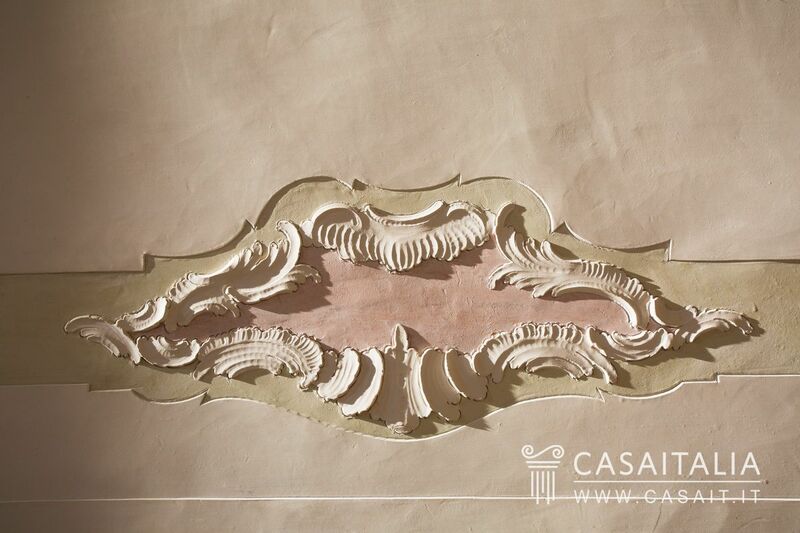 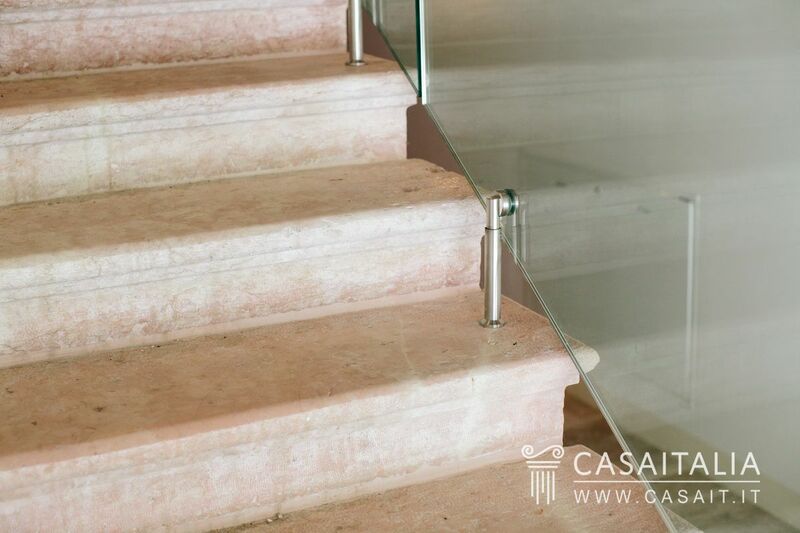 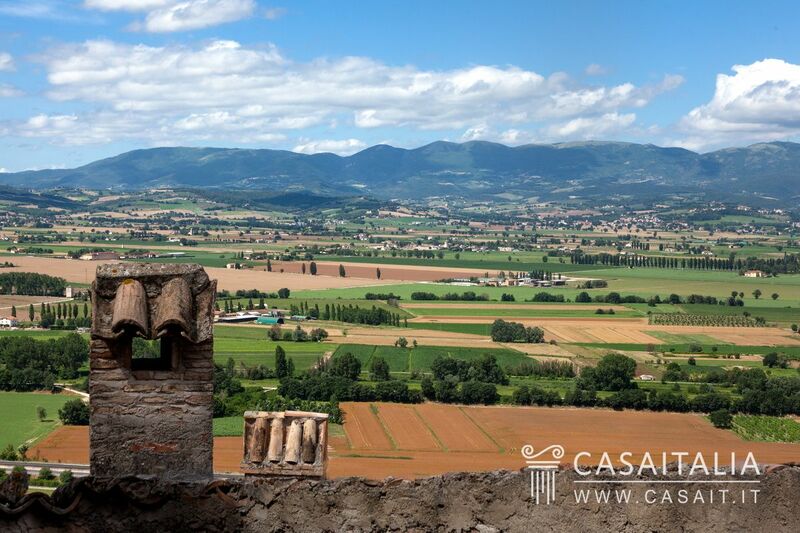 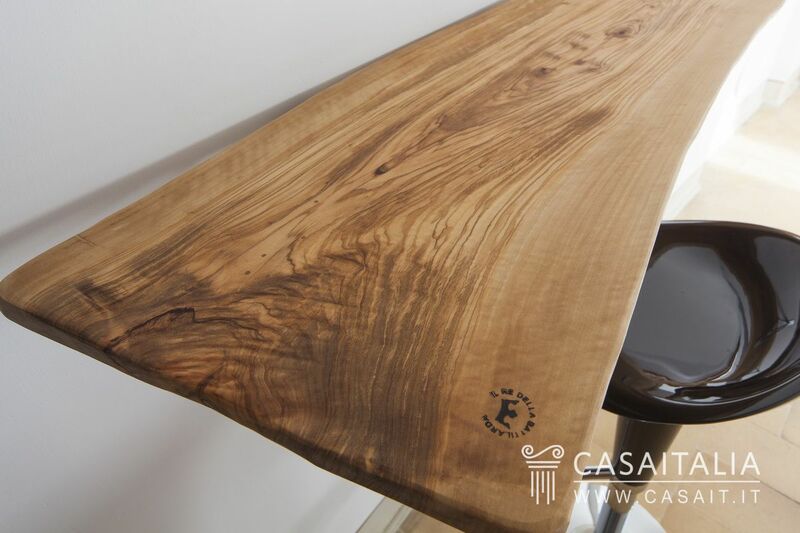 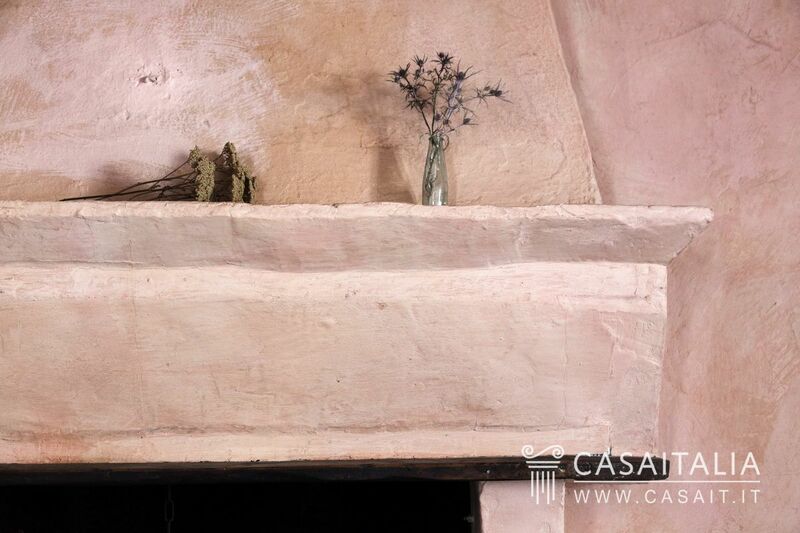 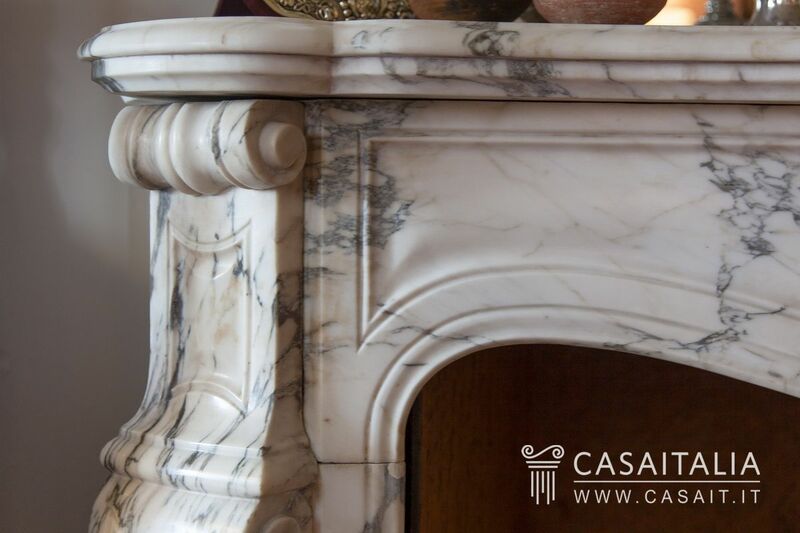 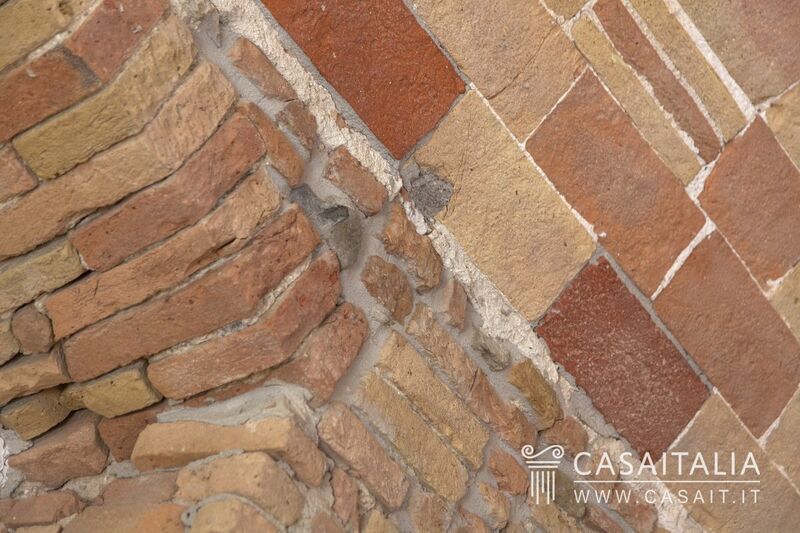 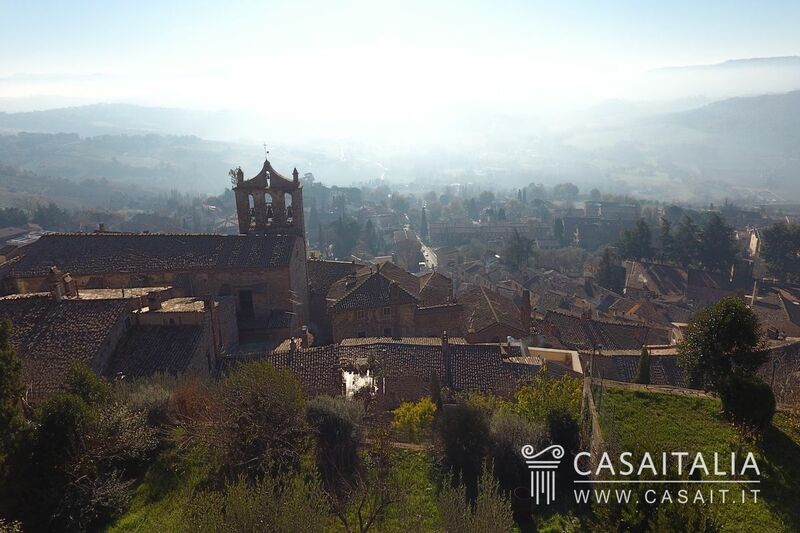 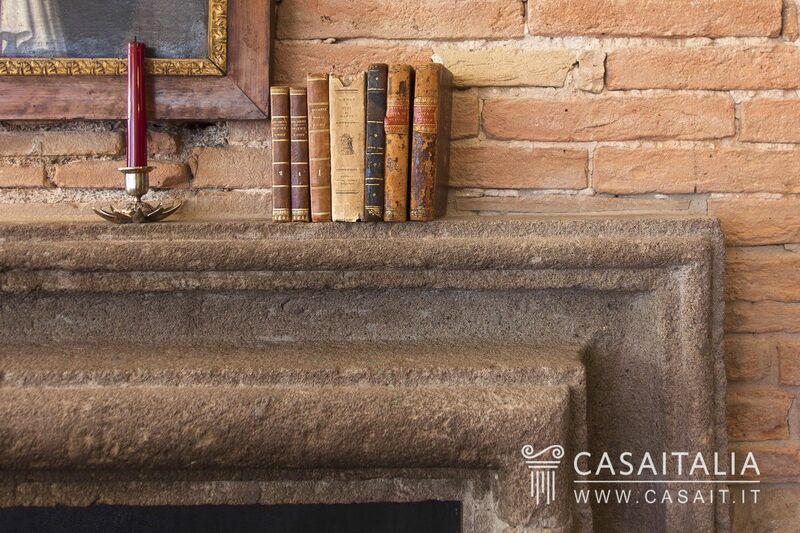 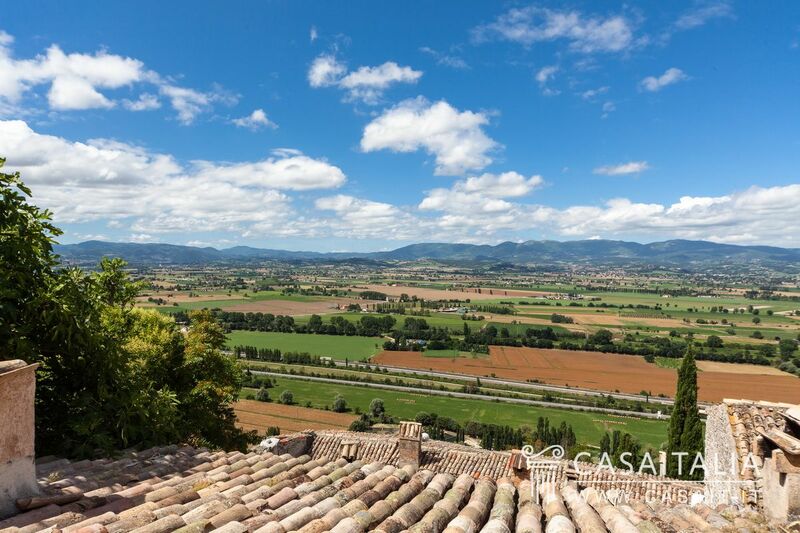 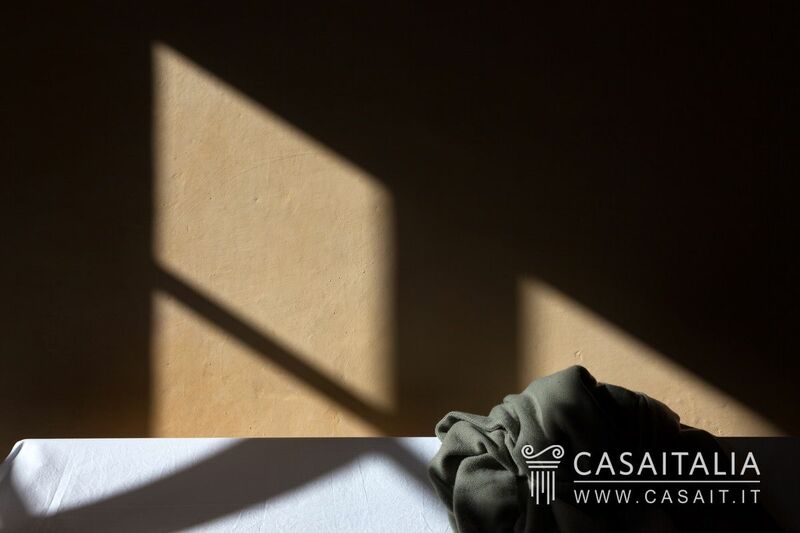 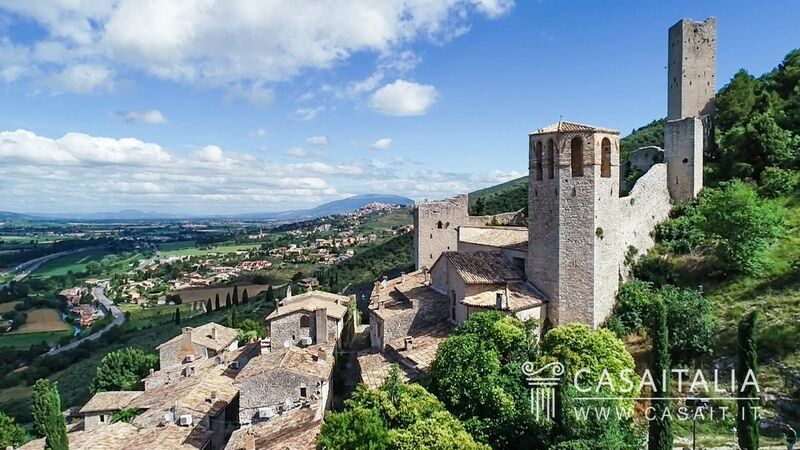 Apartments set in private rural estates in Umbria and Tuscany or in castles, hamlets and historical buildings. 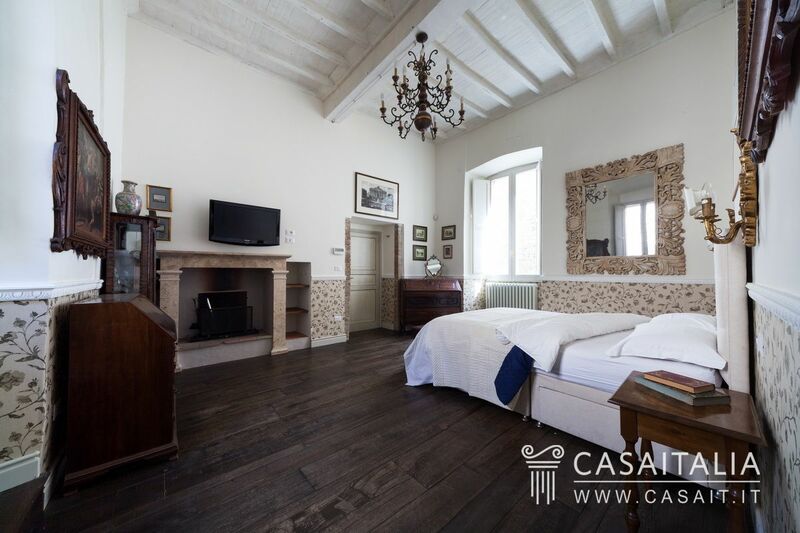 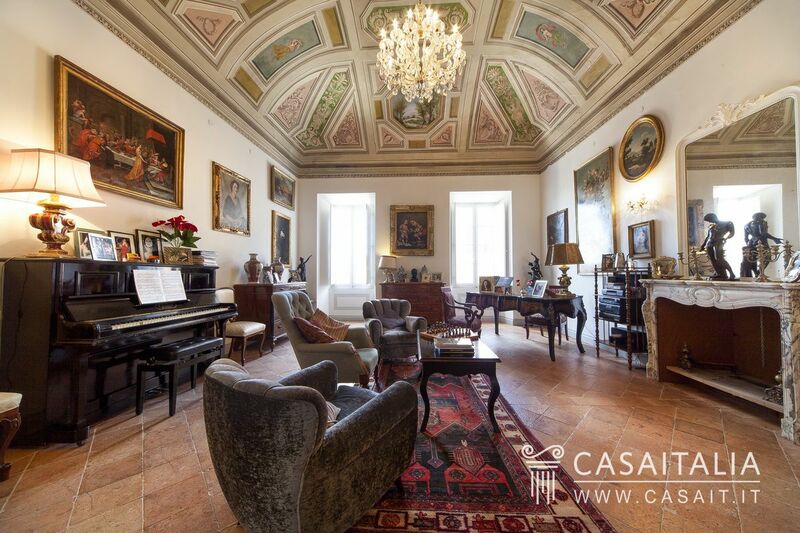 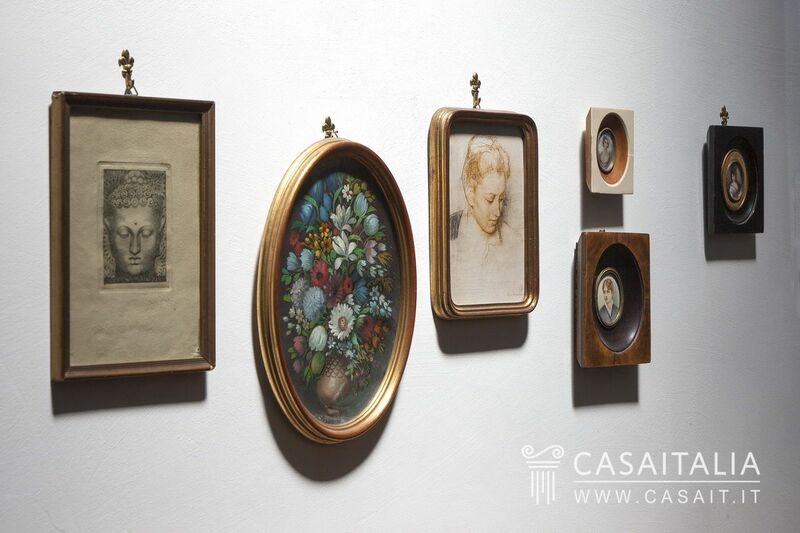 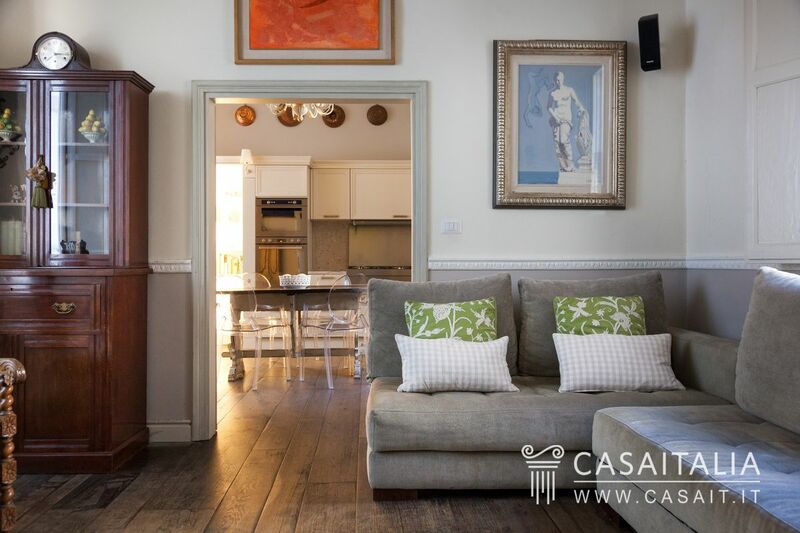 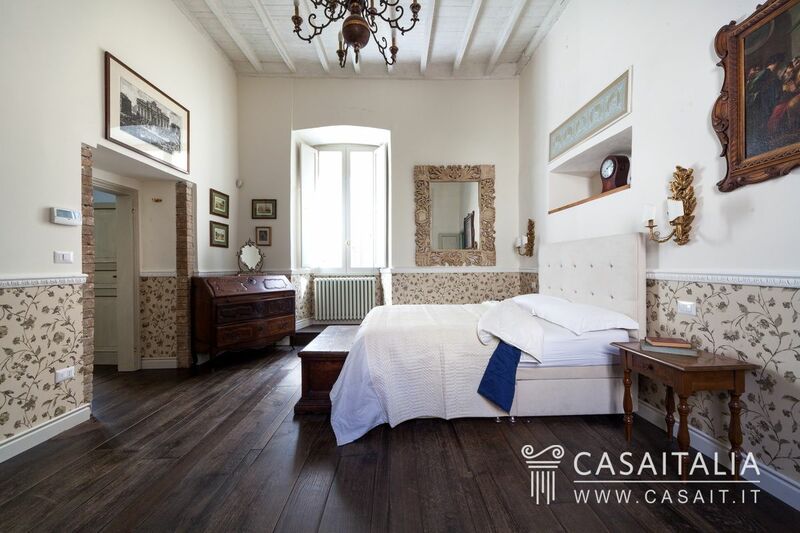 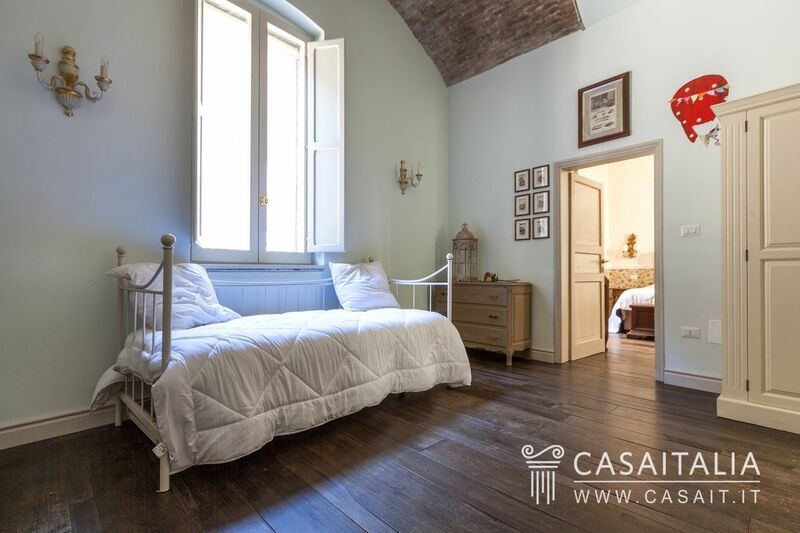 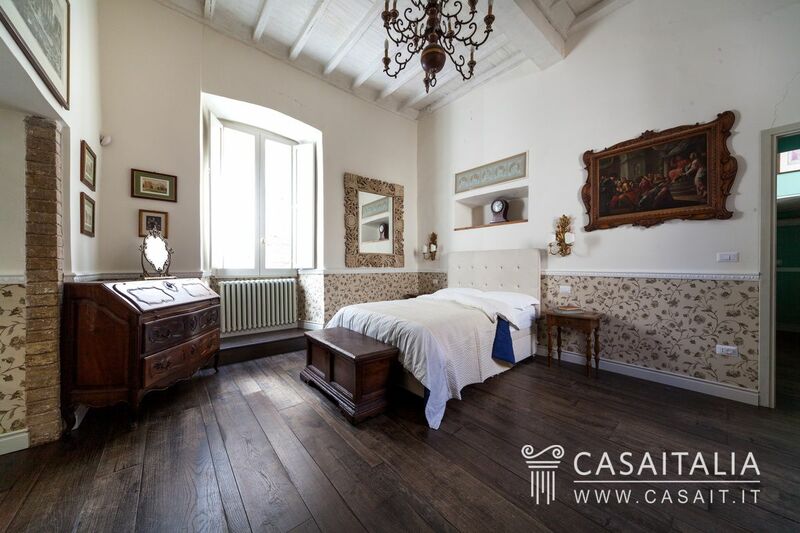 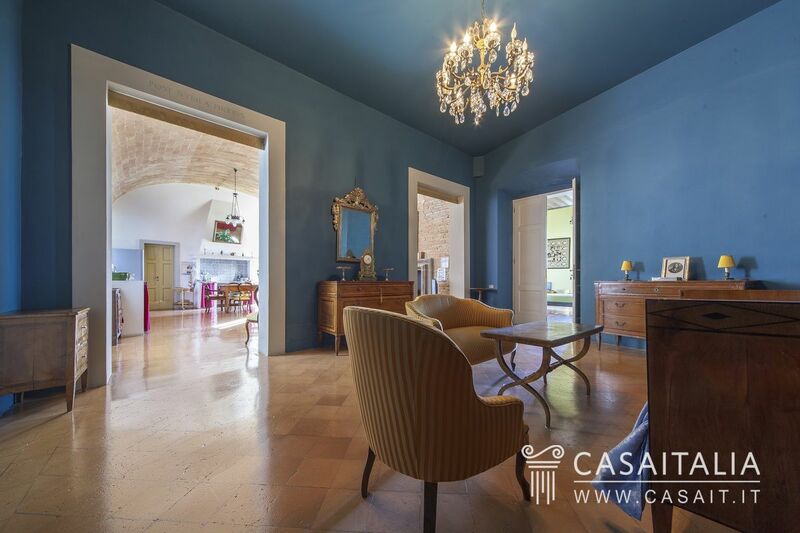 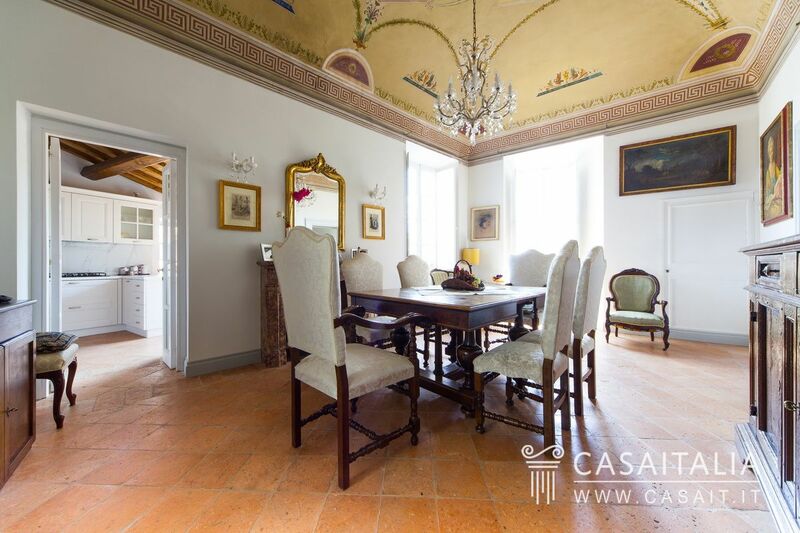 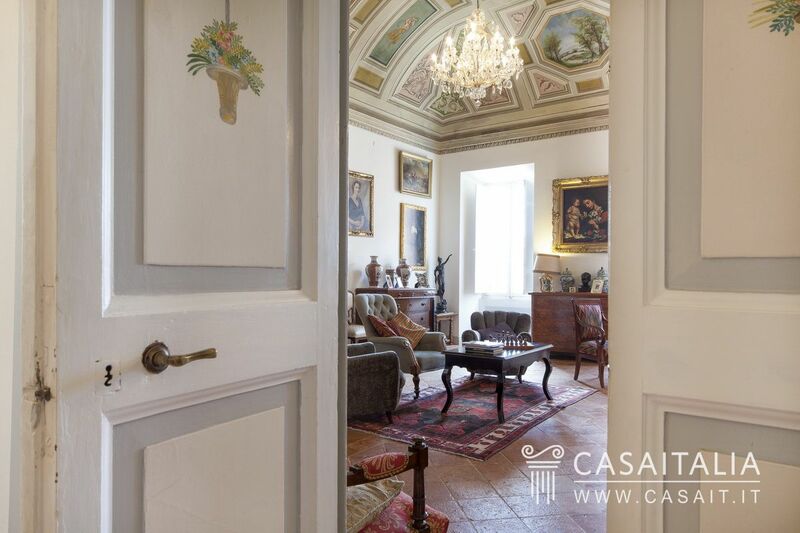 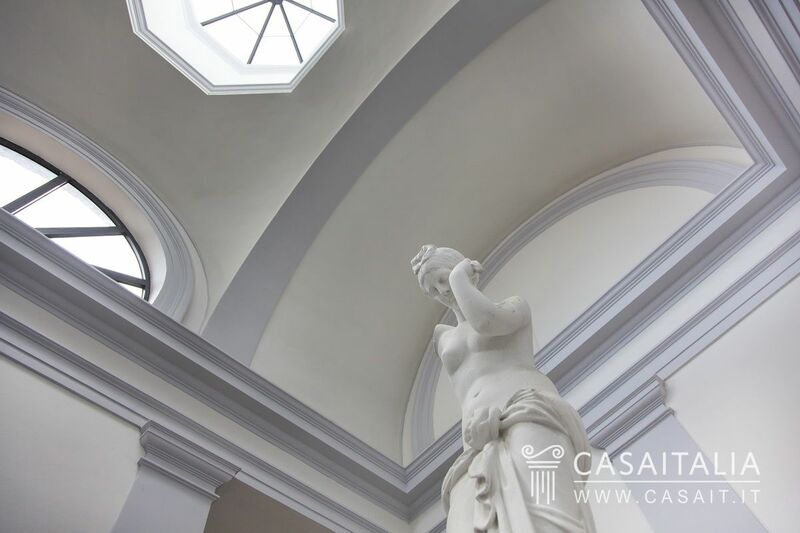 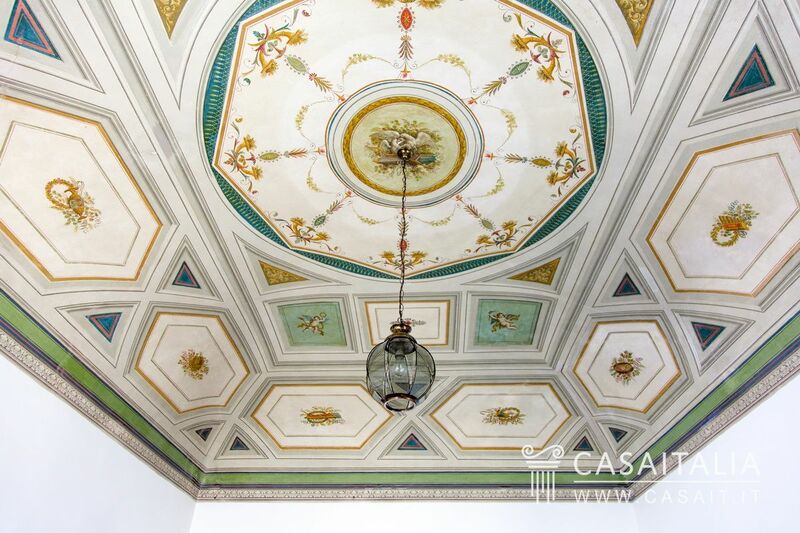 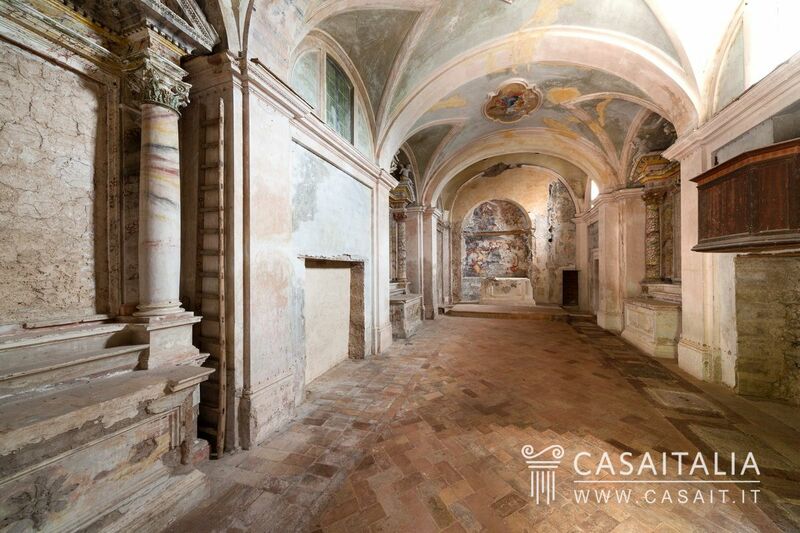 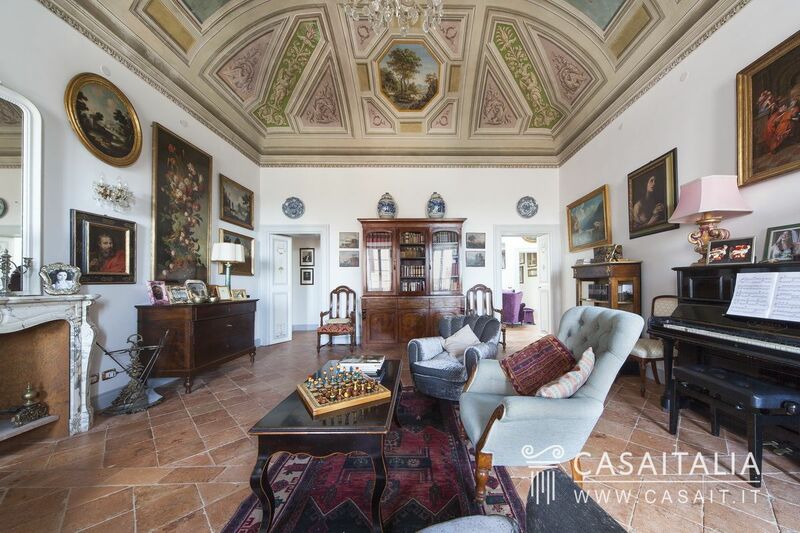 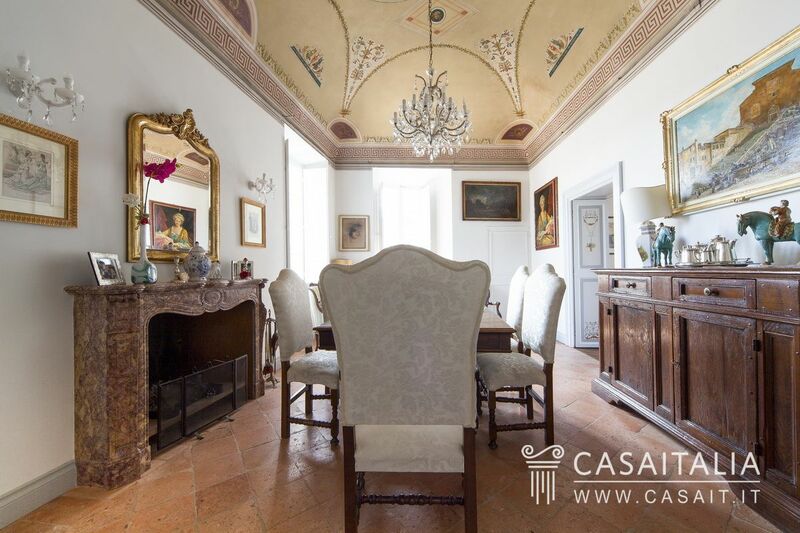 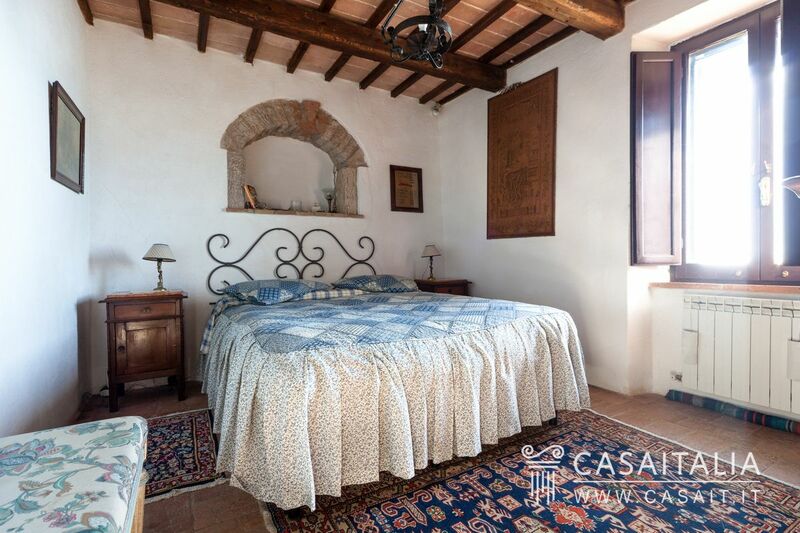 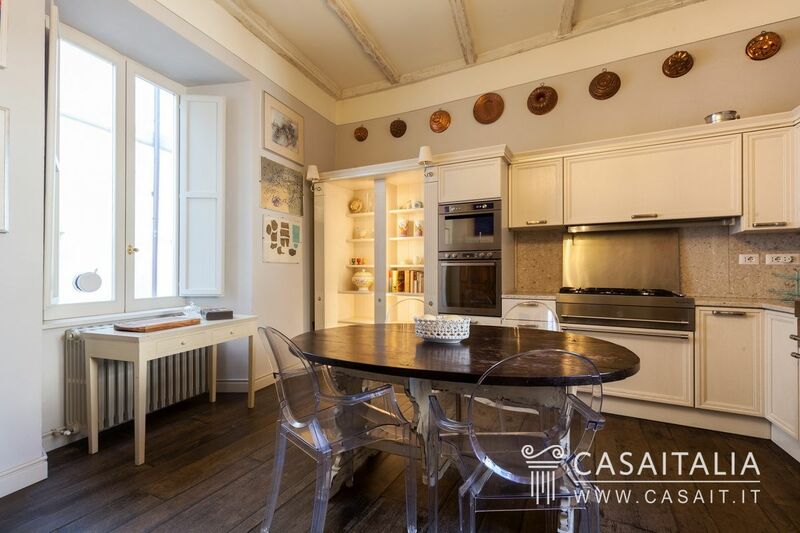 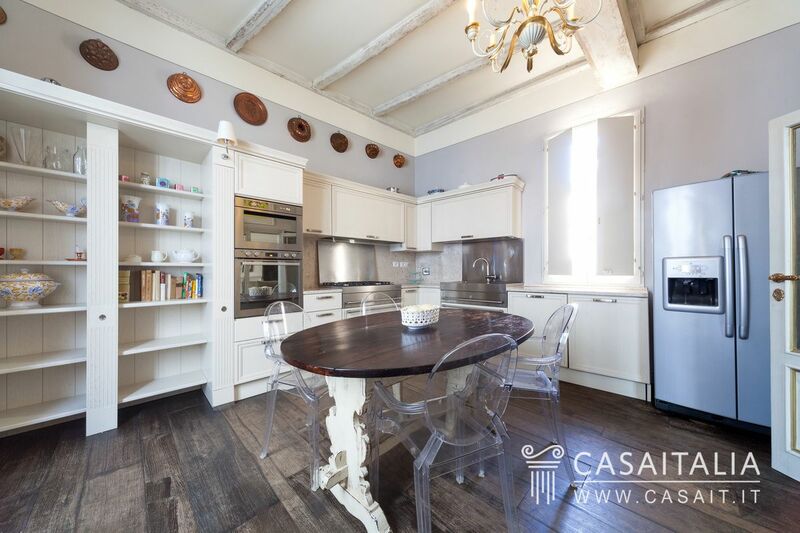 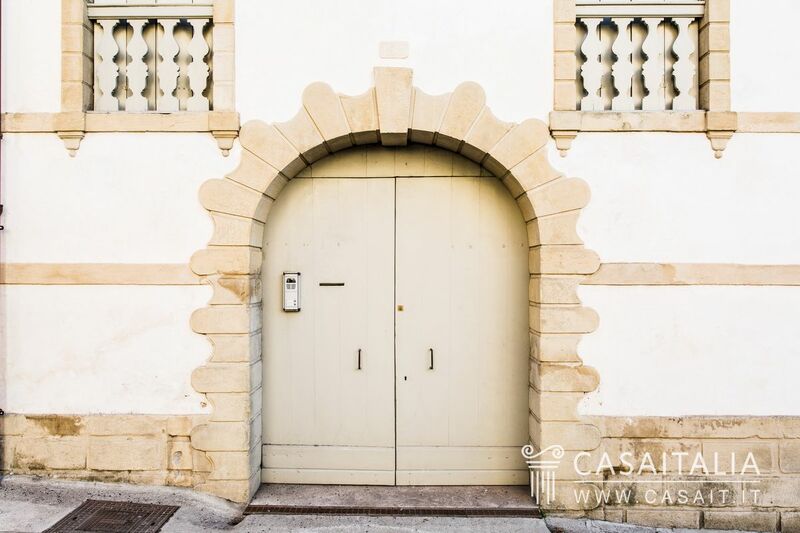 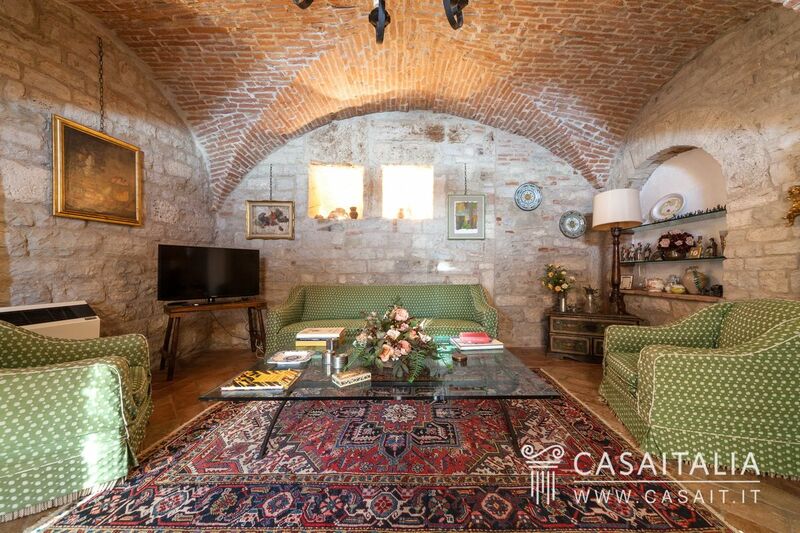 Picturesque, restored apartment for sale in the most beautiful part of Spoleto’s historic centre. 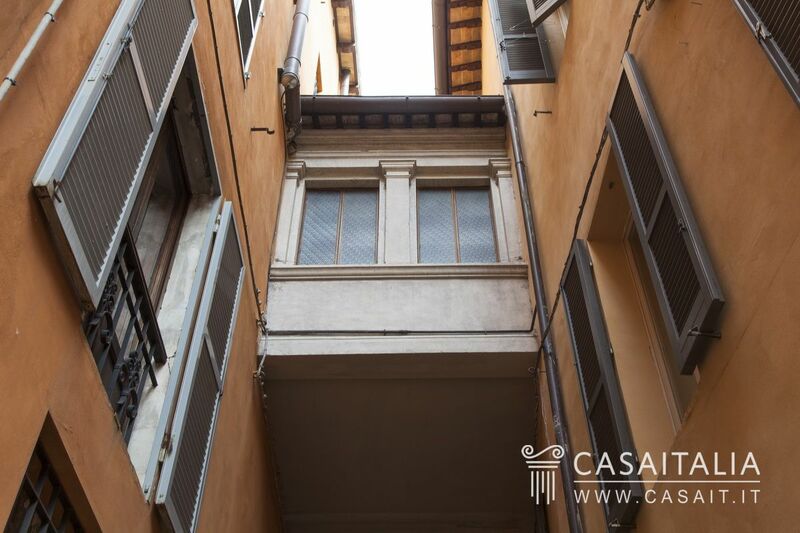 A stone’s throw from the Duomo and Piazza del Mercato, with good connections to the moving walkway that takes you to the city’s covered parking area. 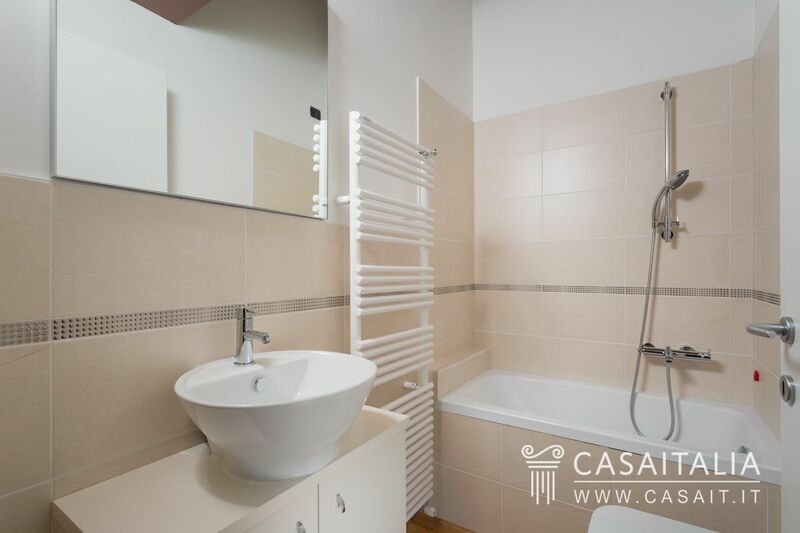 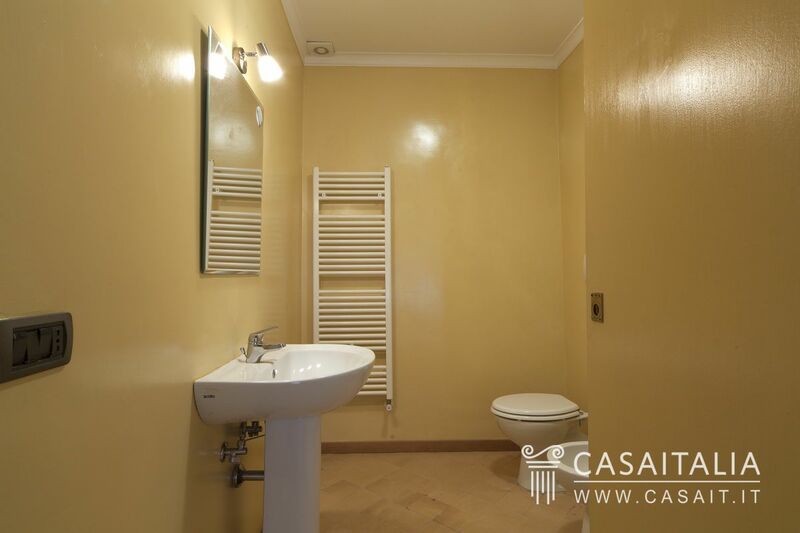 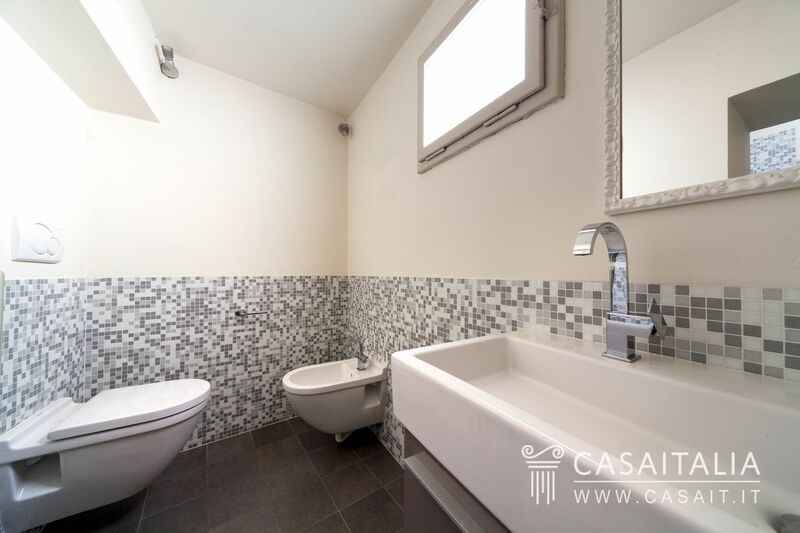 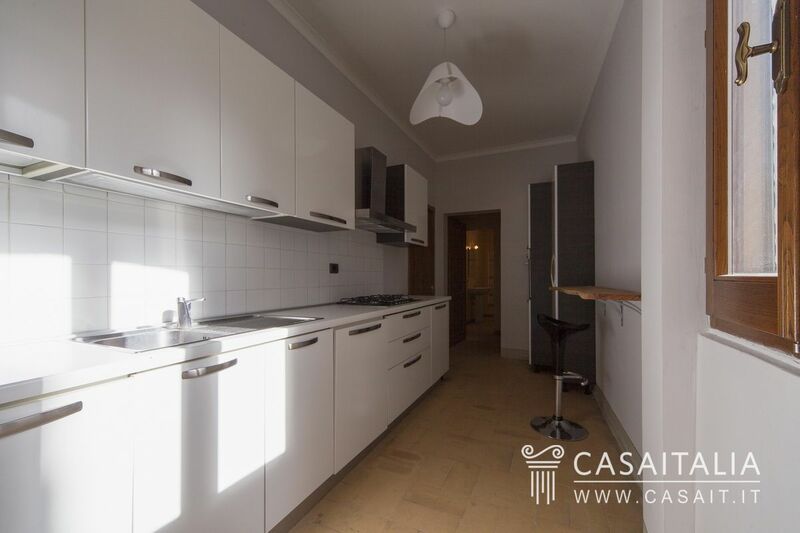 Comprises living room, large kitchen, two bedrooms and a studio (possible third, single bedroom) and two bathrooms, measuring 146 sq.m in total. 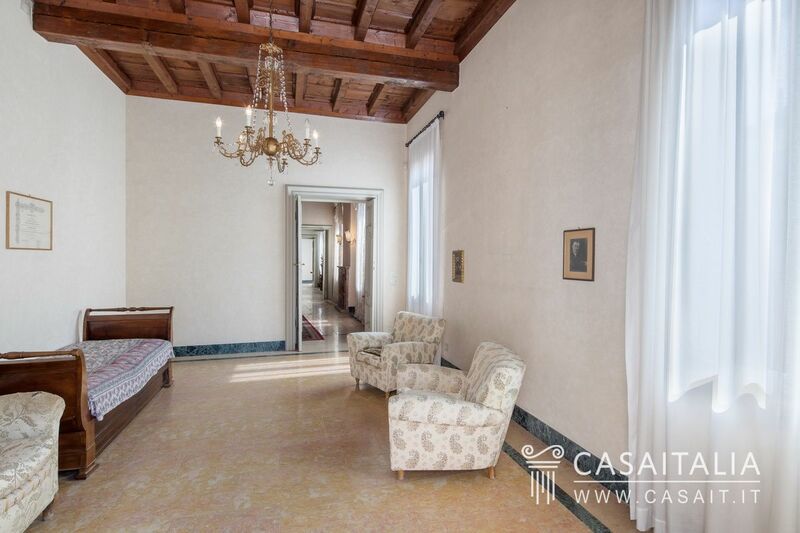 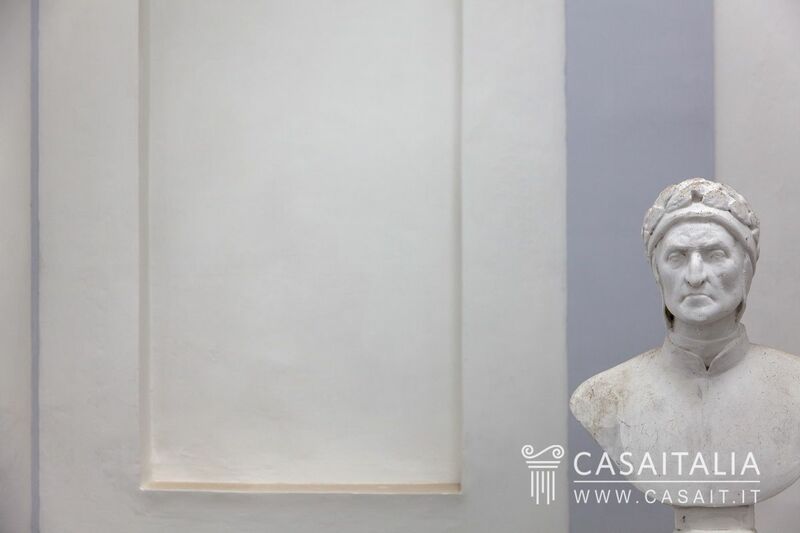 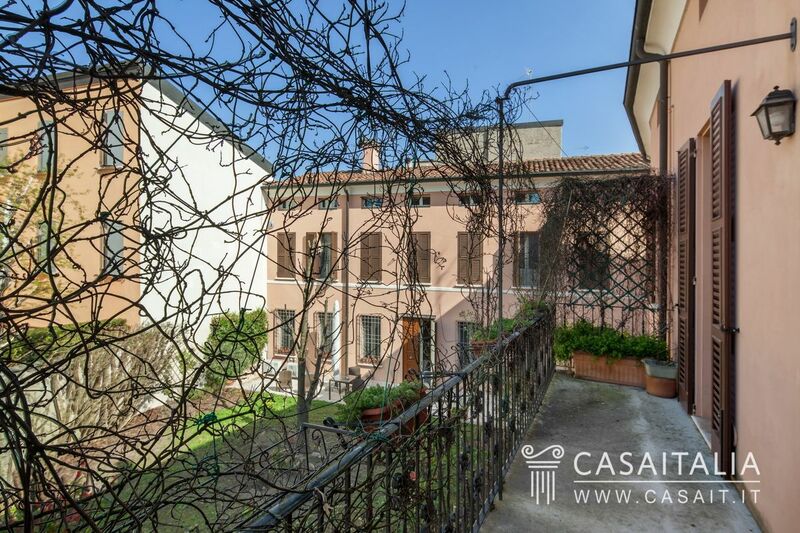 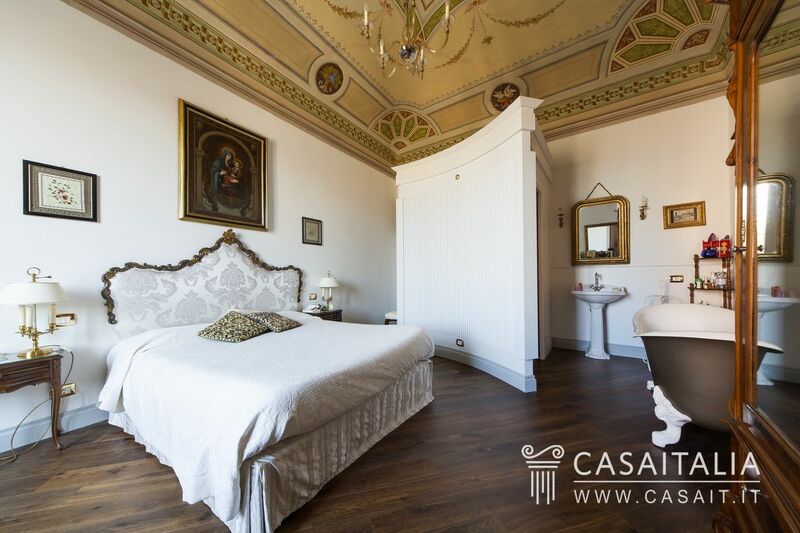 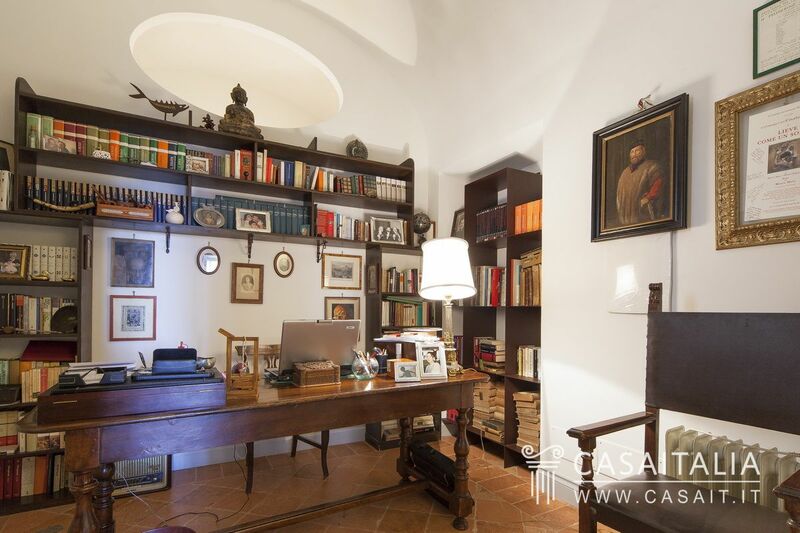 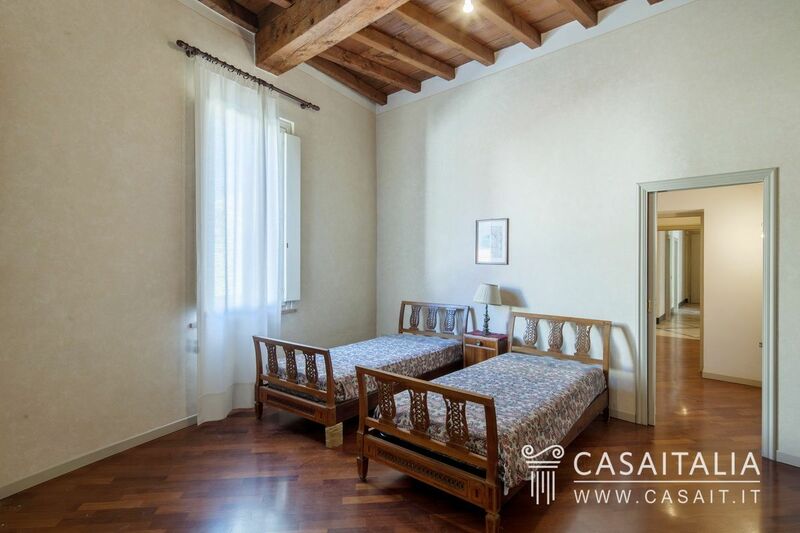 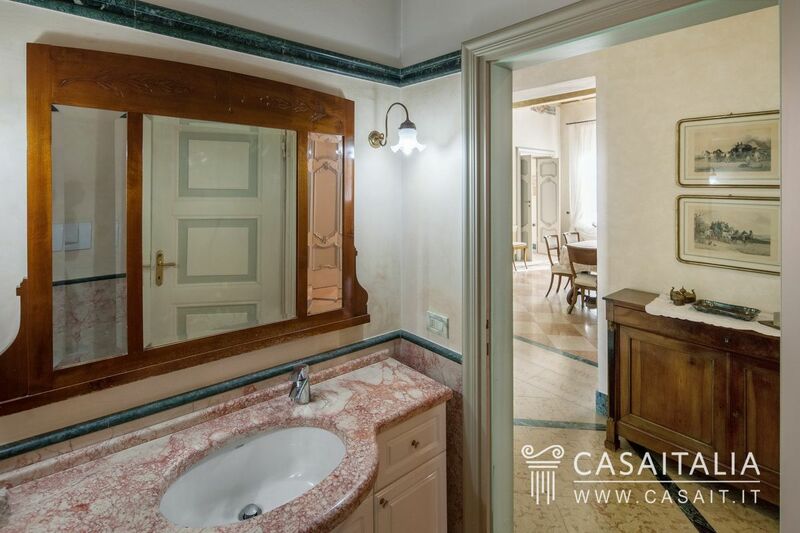 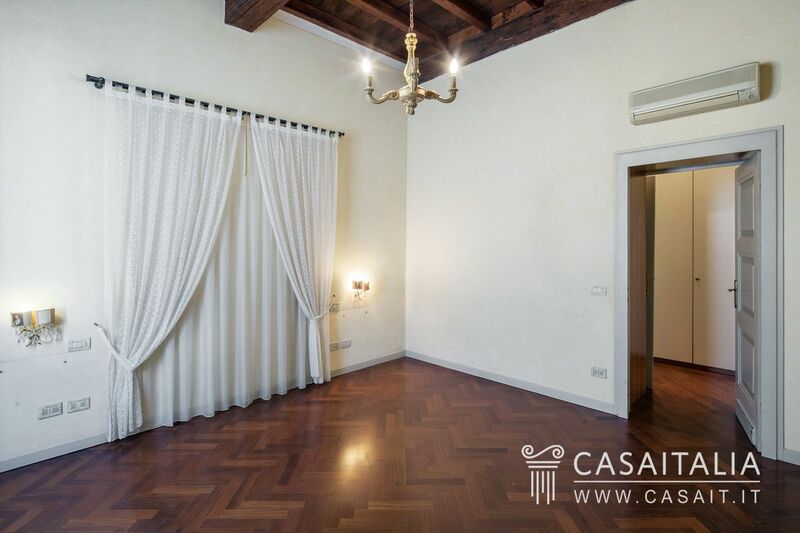 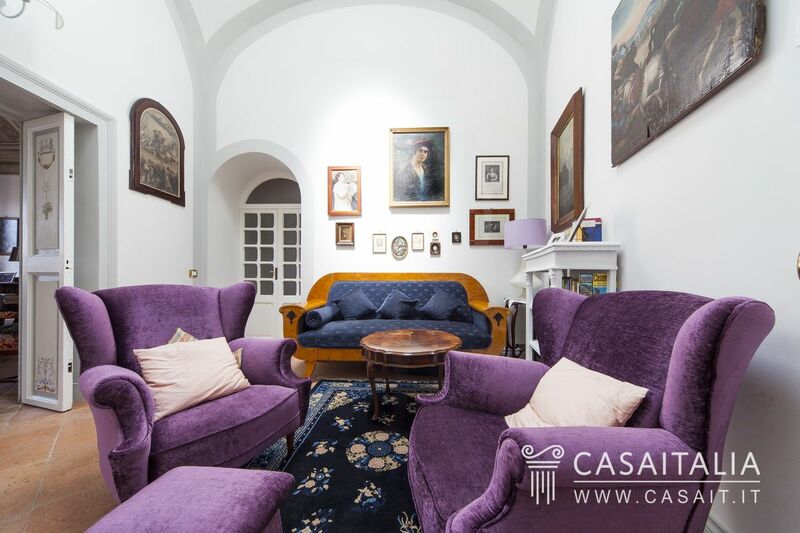 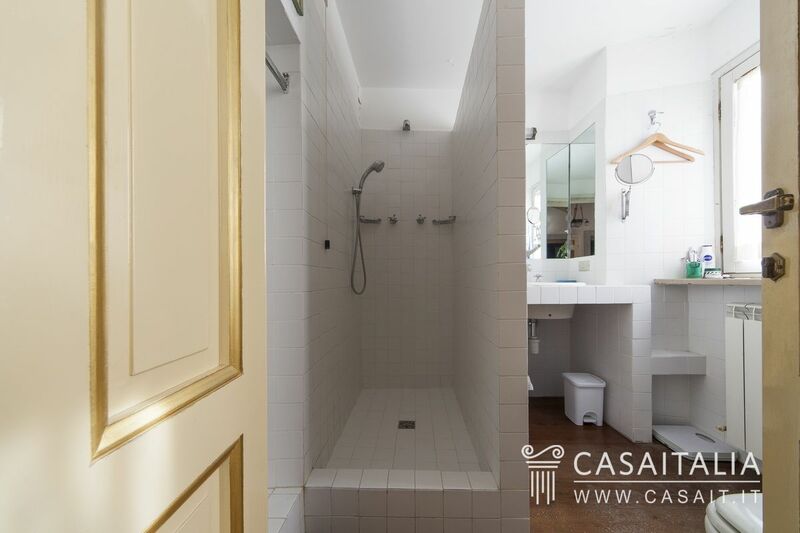 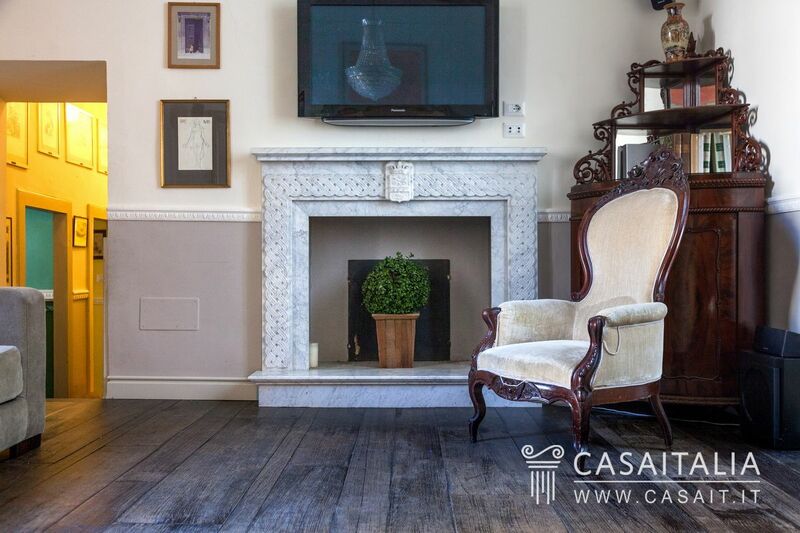 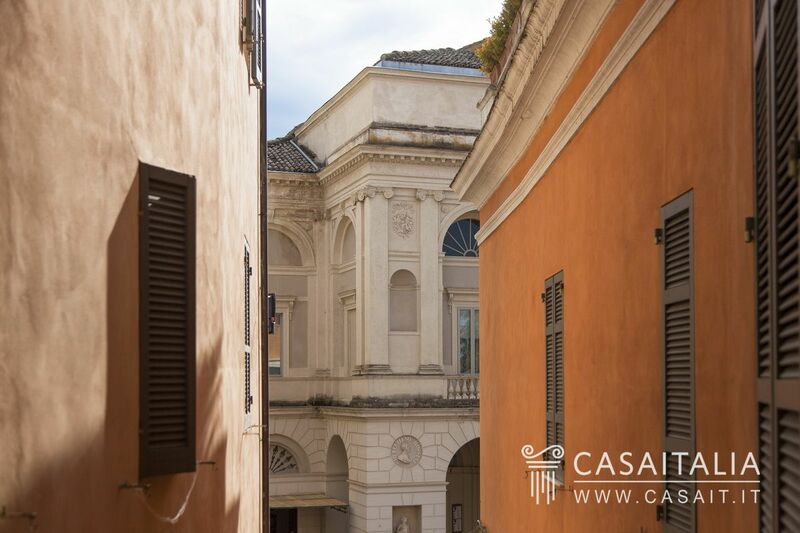 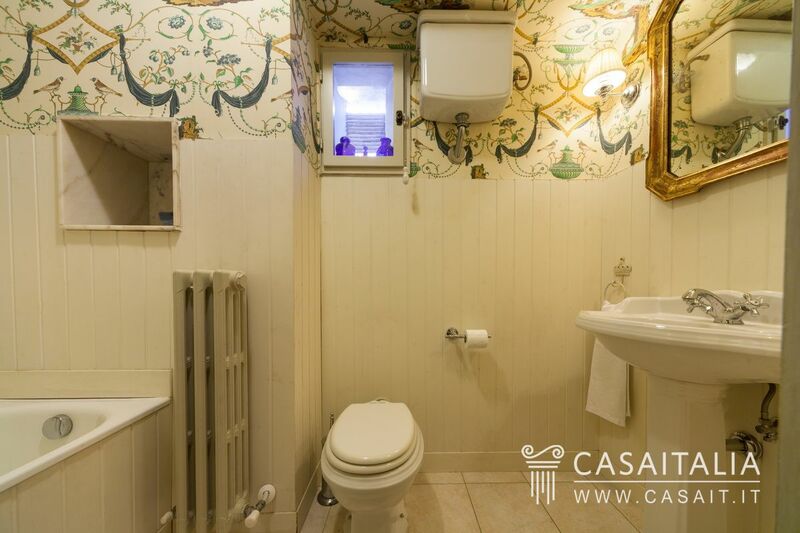 Period apartment on the second floor of a historic stately home in the historic centre of Trevi, 30 metres from the main square. 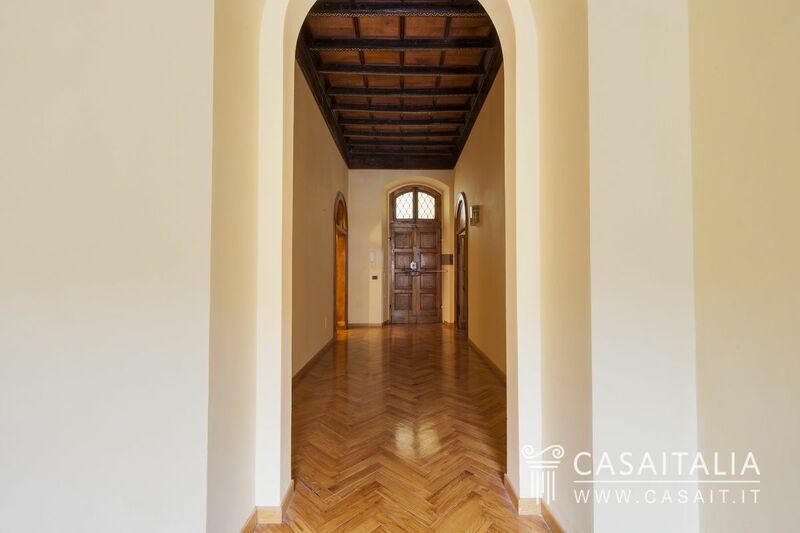 Comprising entrance hall, three bedrooms, bathroom, study and large kitchen with fireplace. 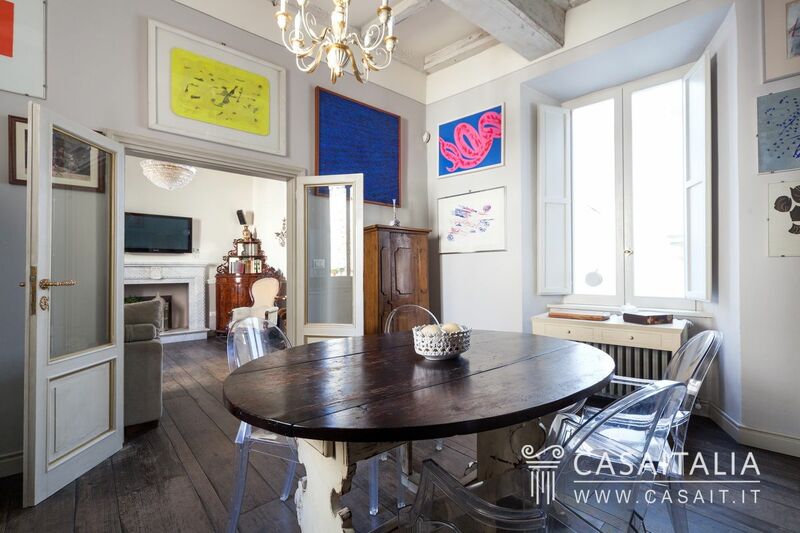 Spacious, bright rooms with large windows and high ceilings. 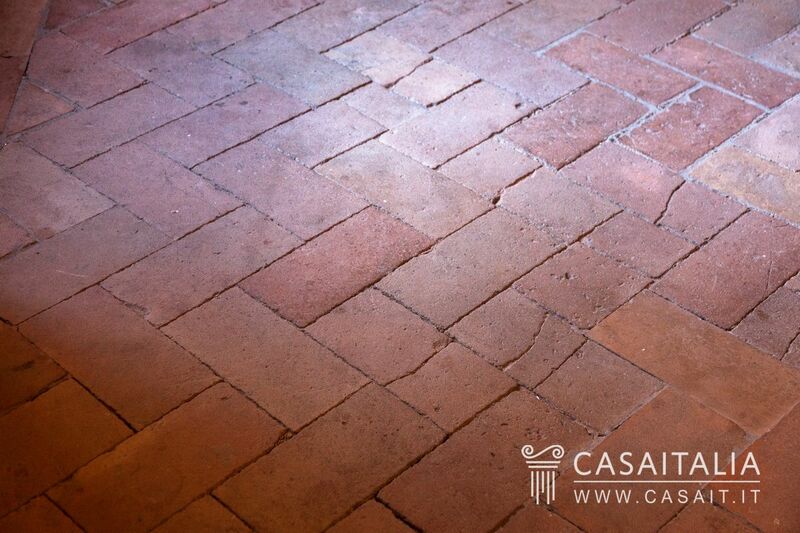 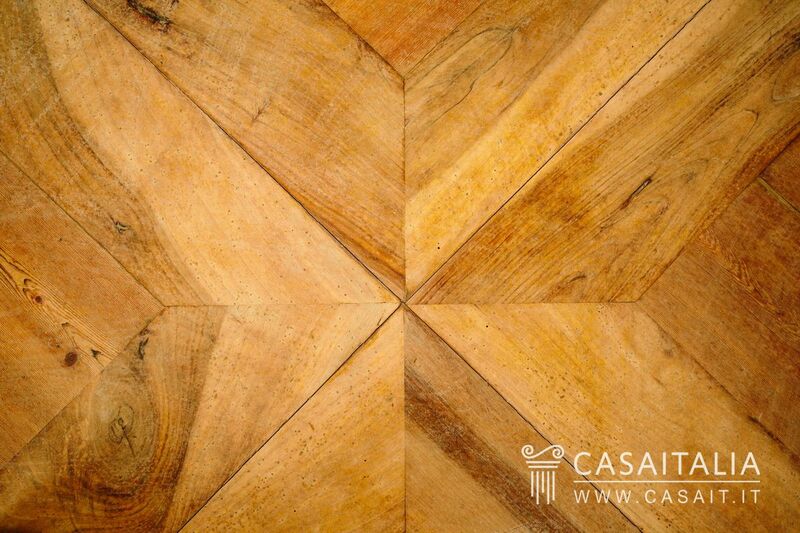 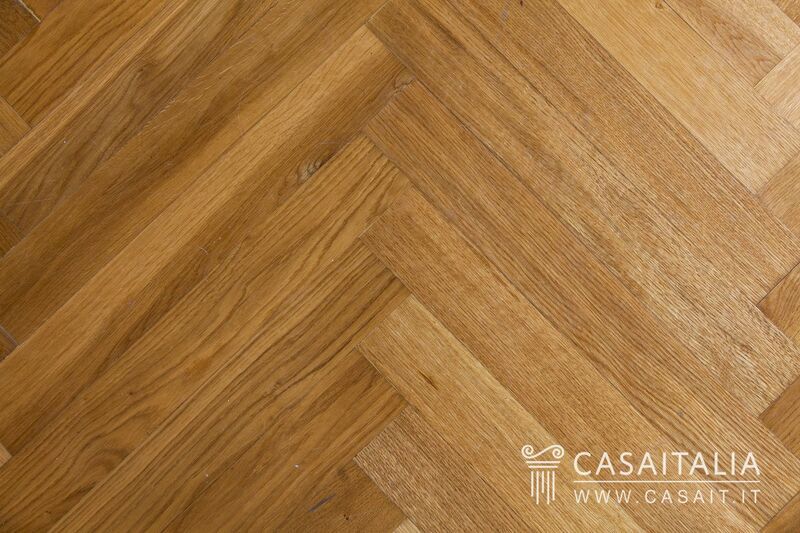 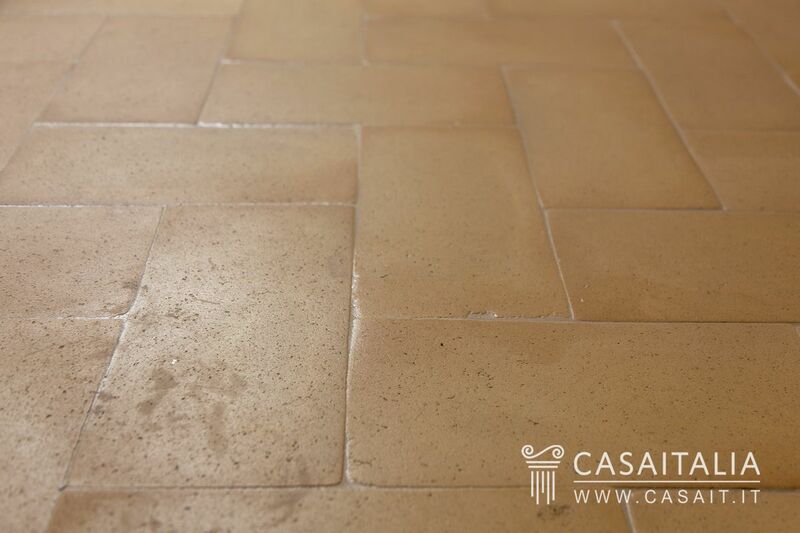 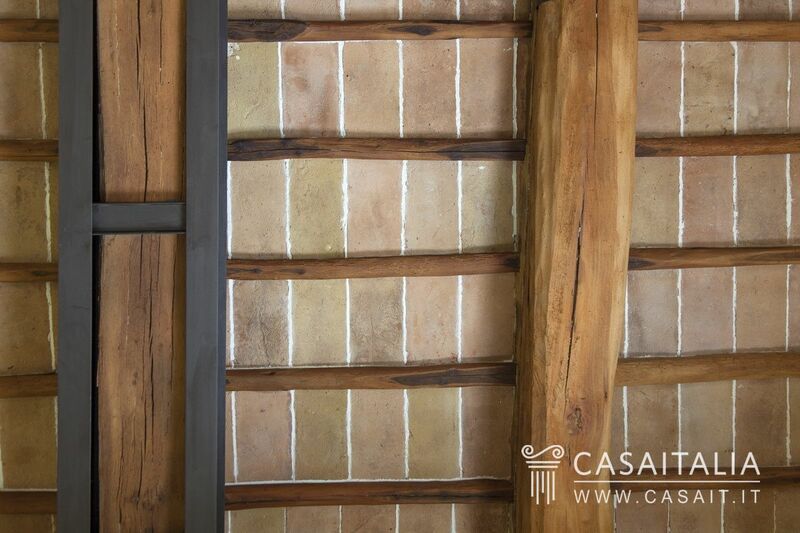 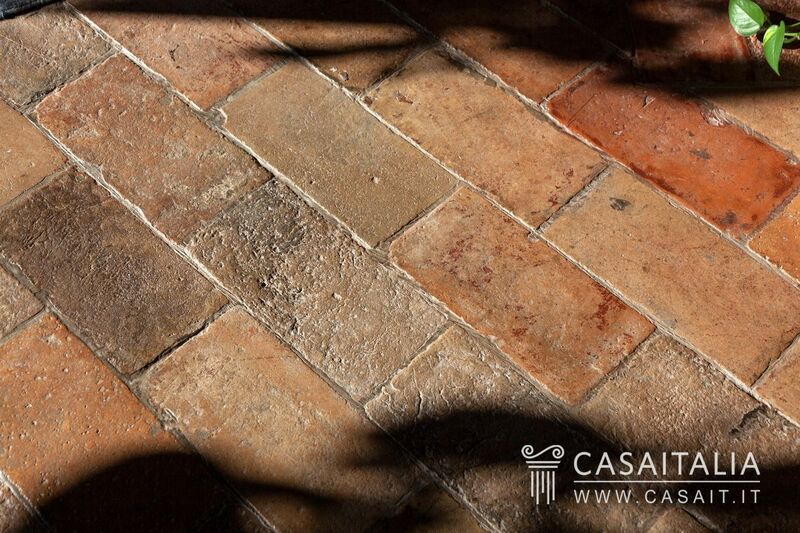 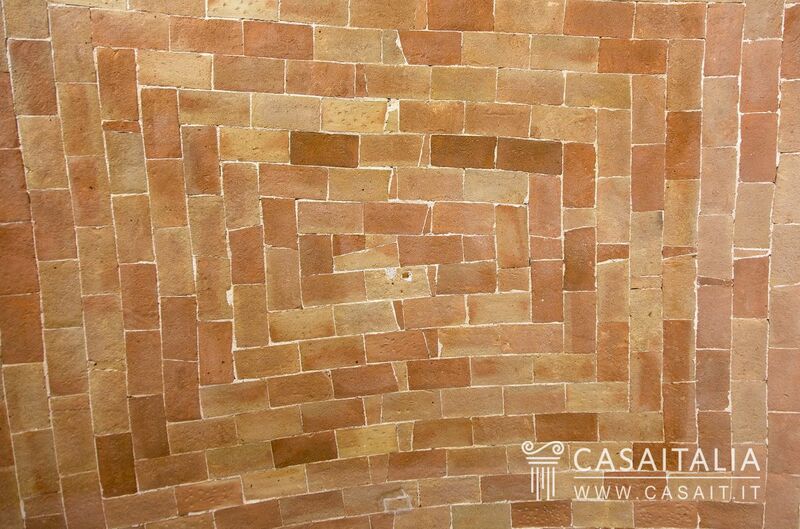 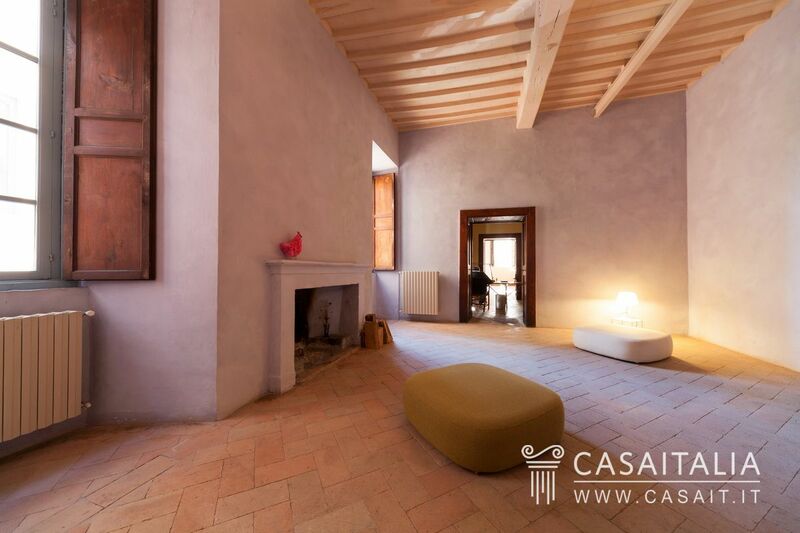 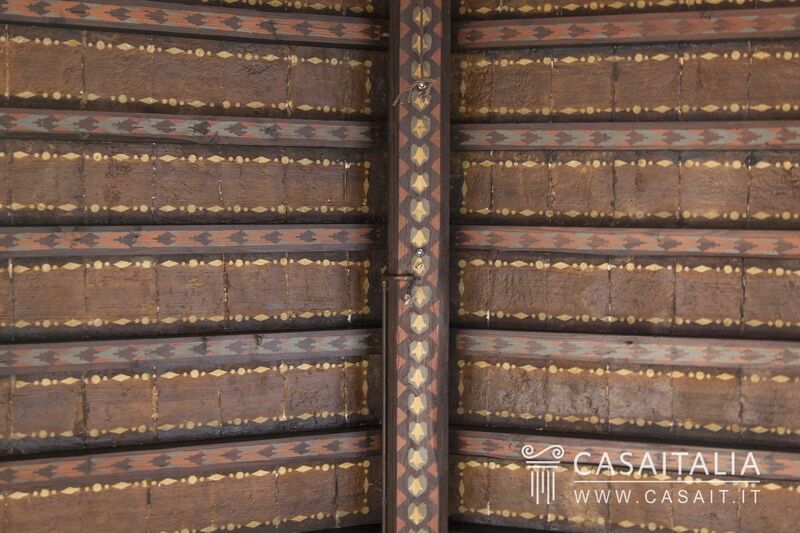 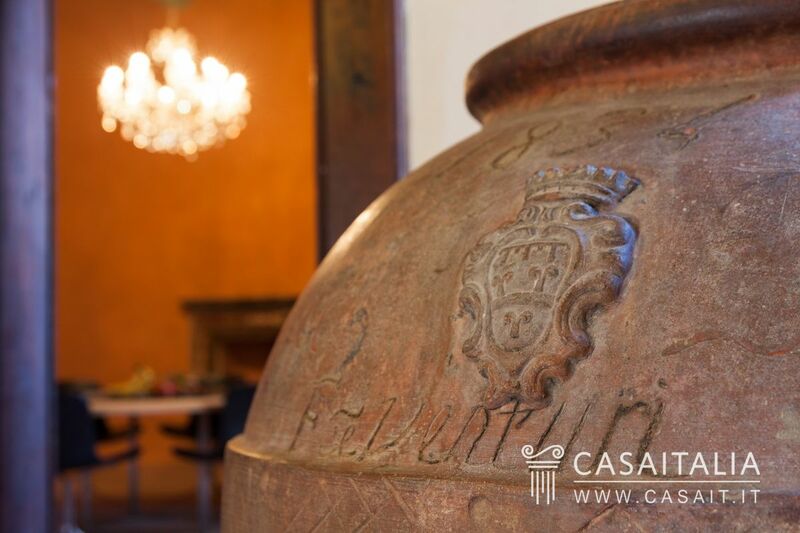 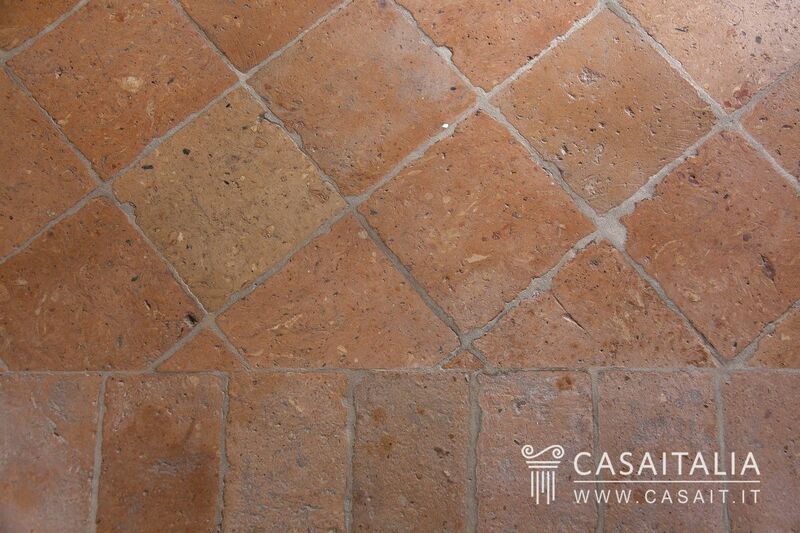 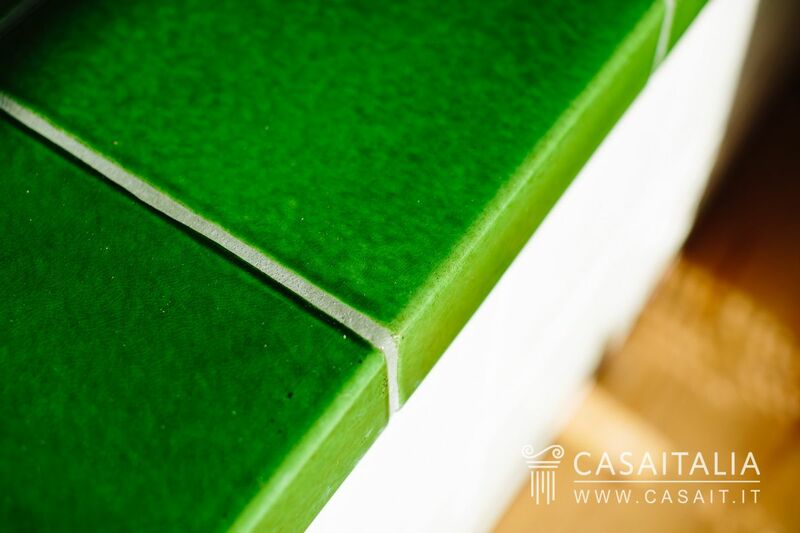 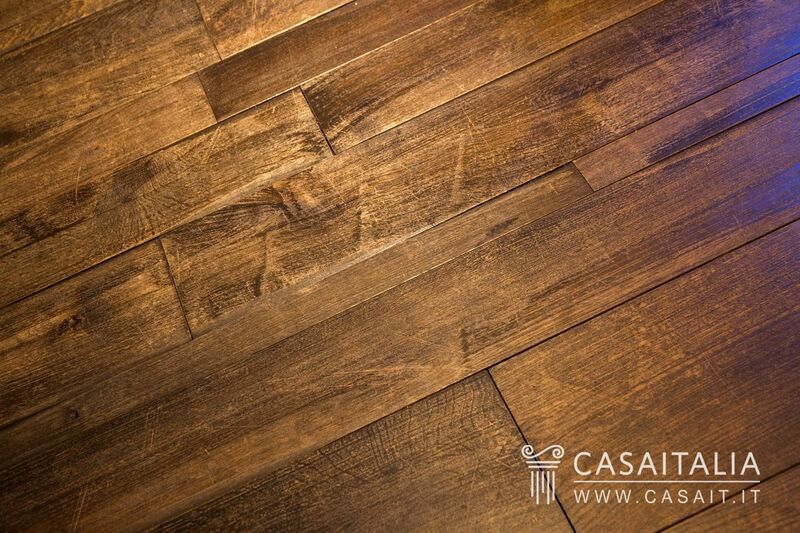 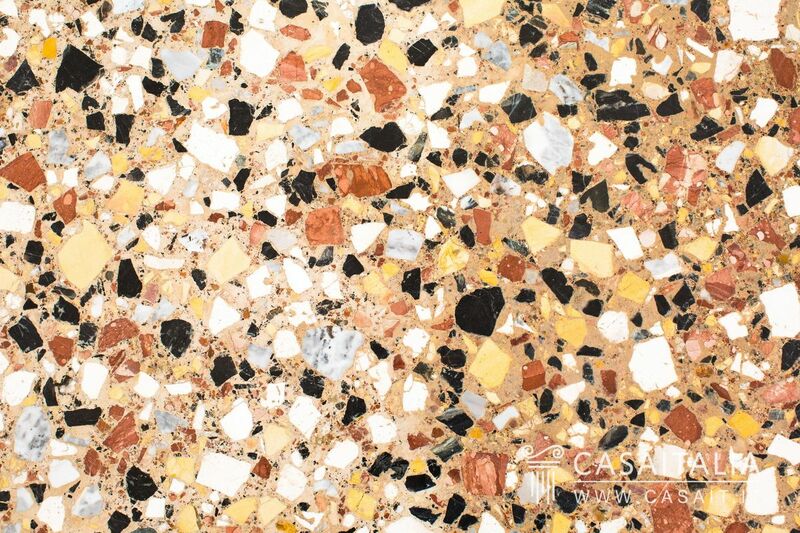 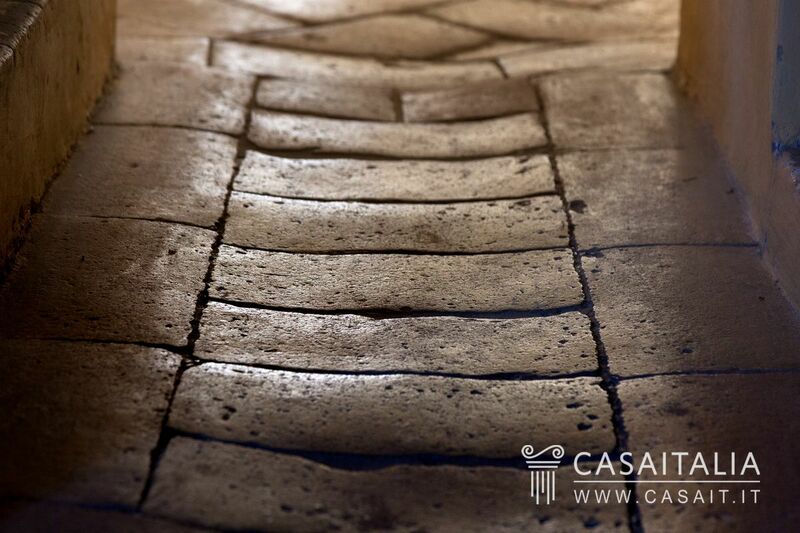 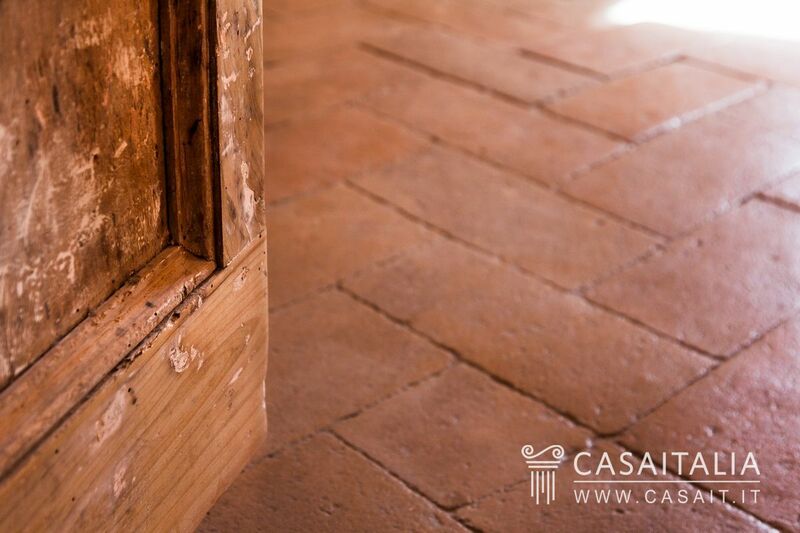 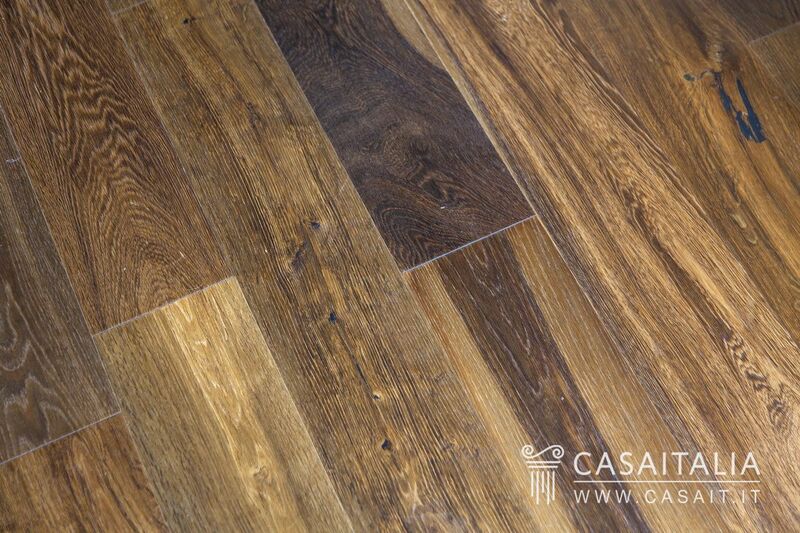 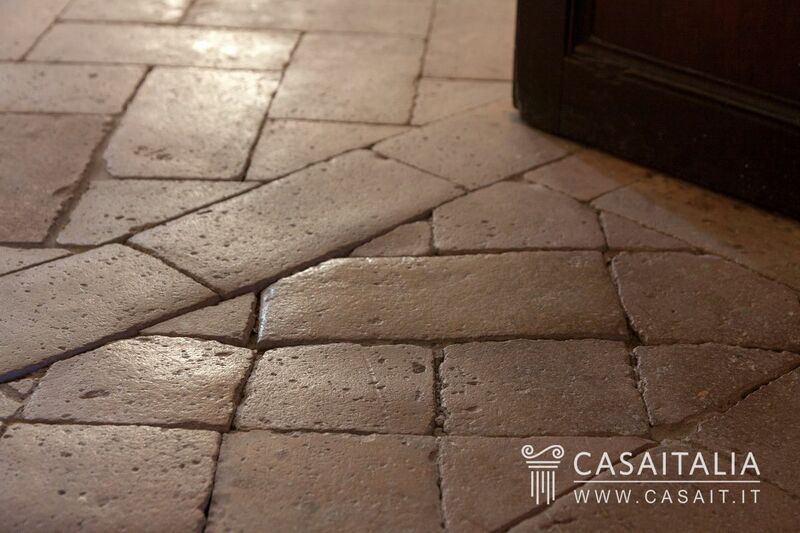 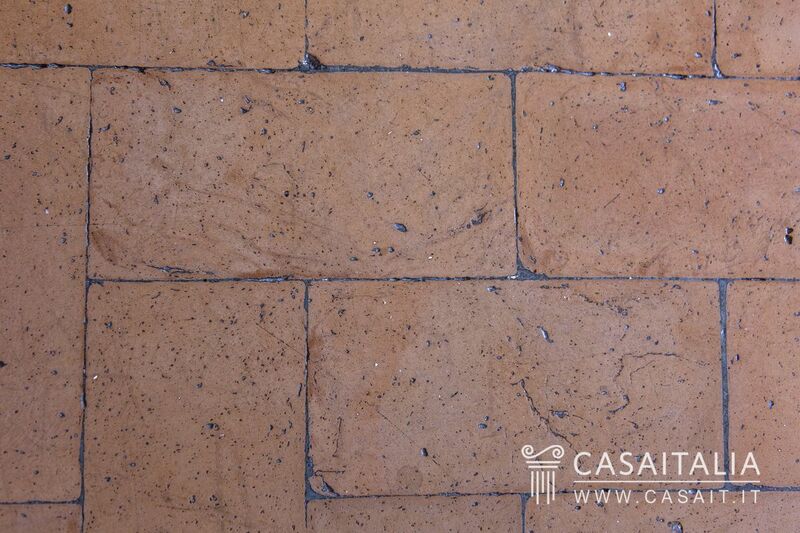 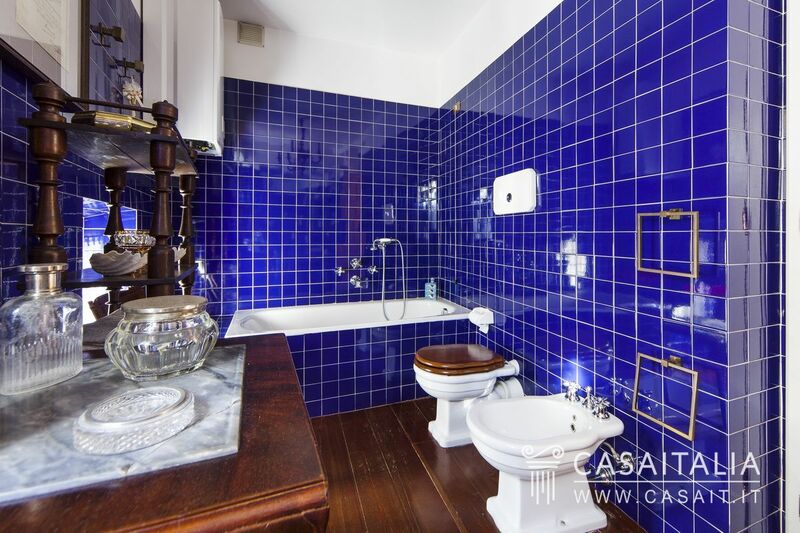 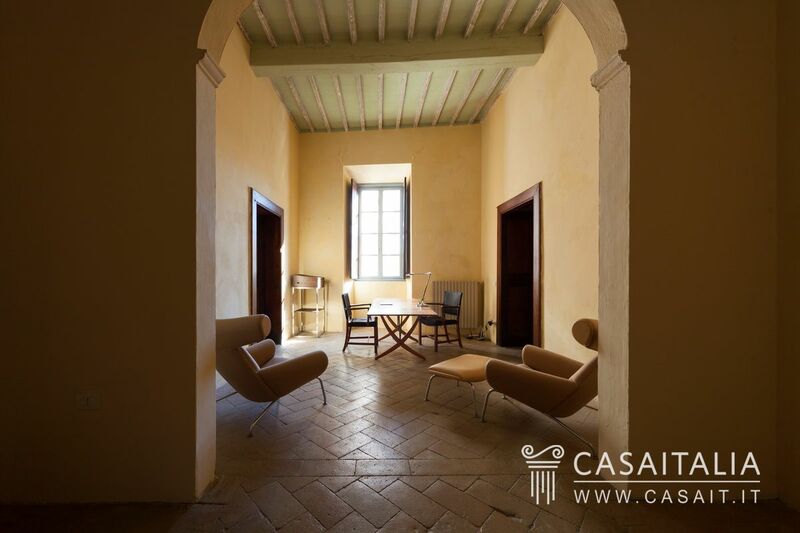 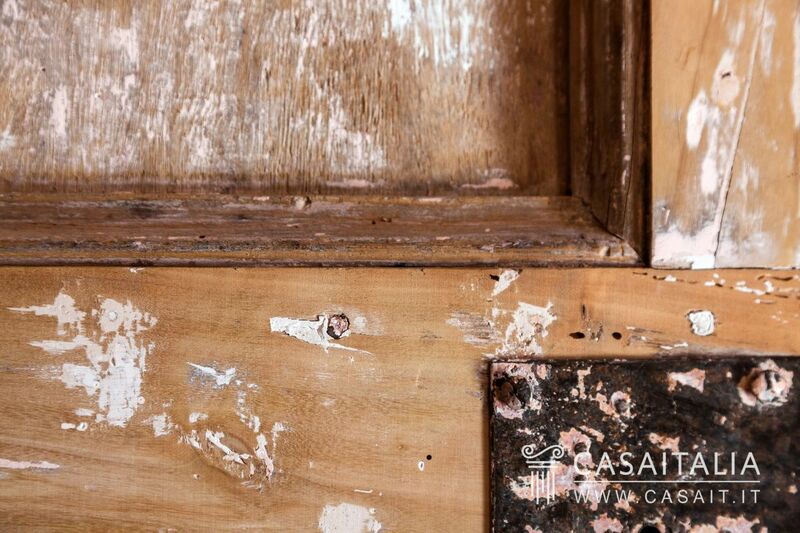 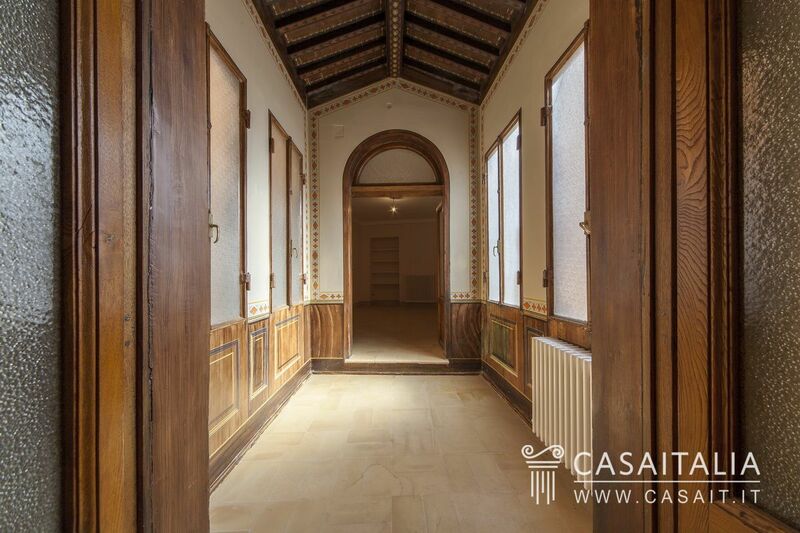 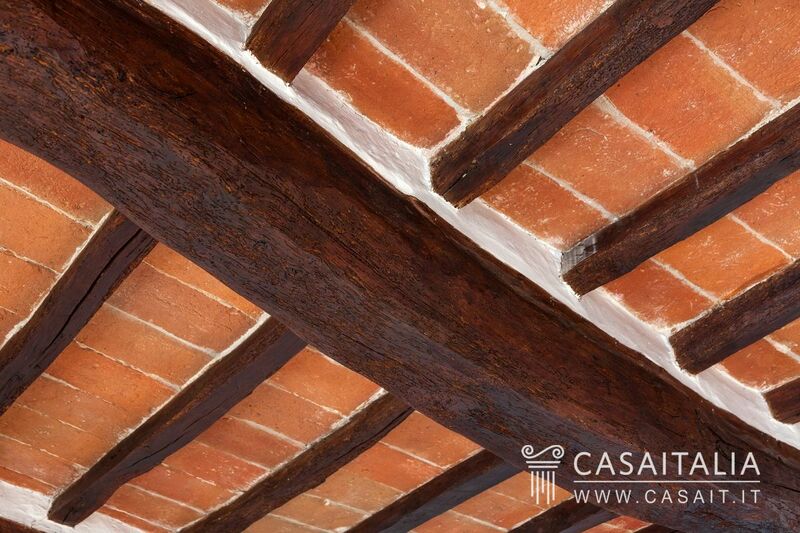 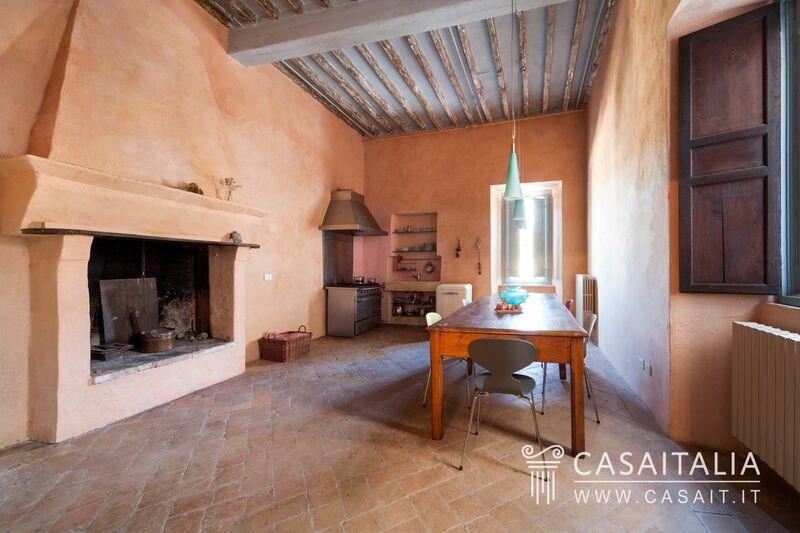 Restored with the original antique terracotta tile flooring. 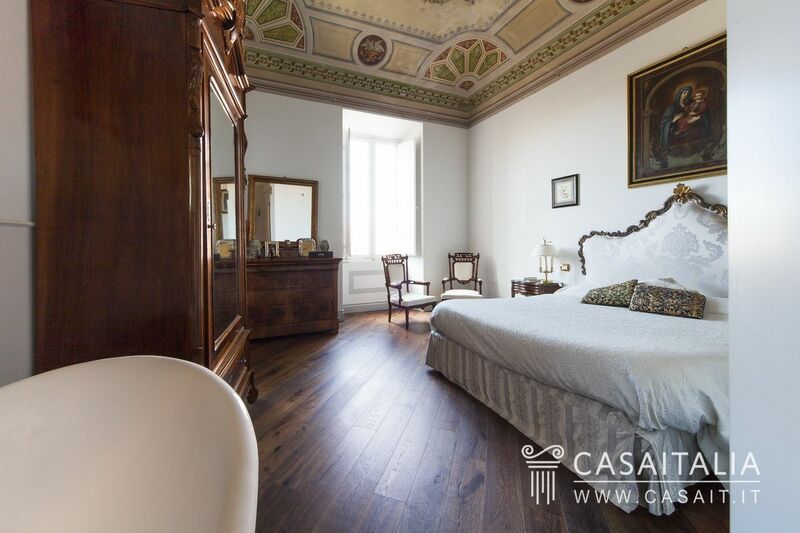 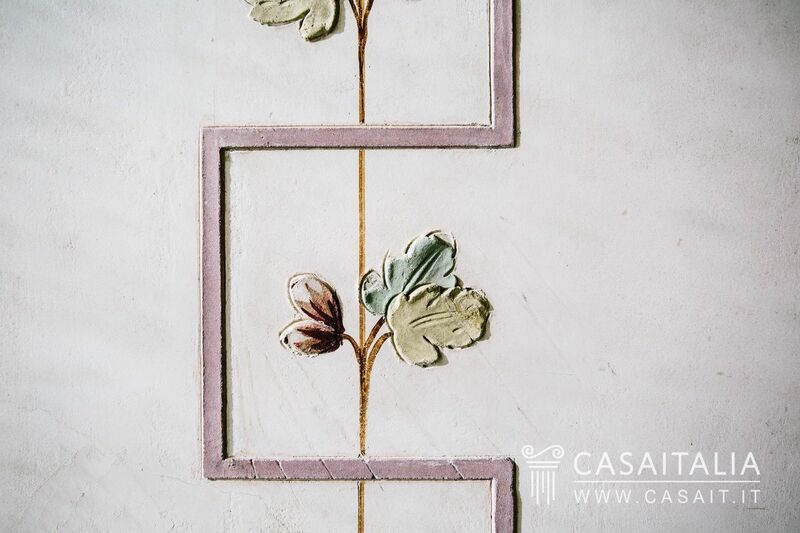 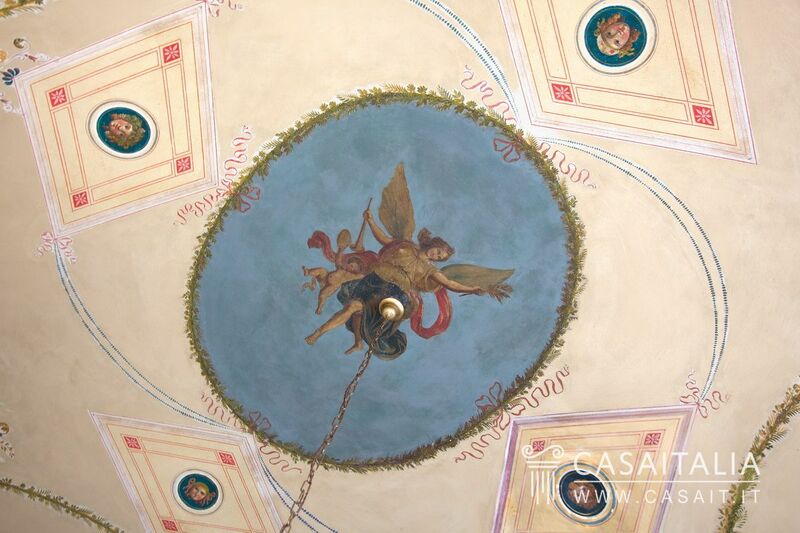 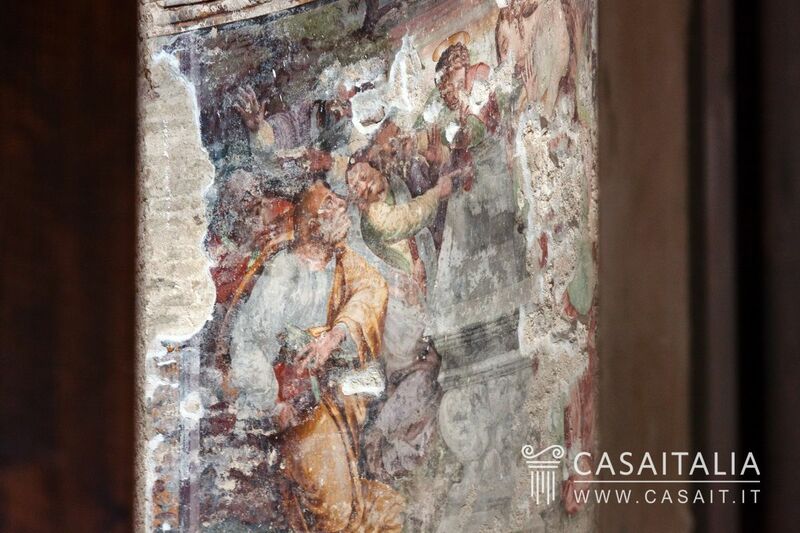 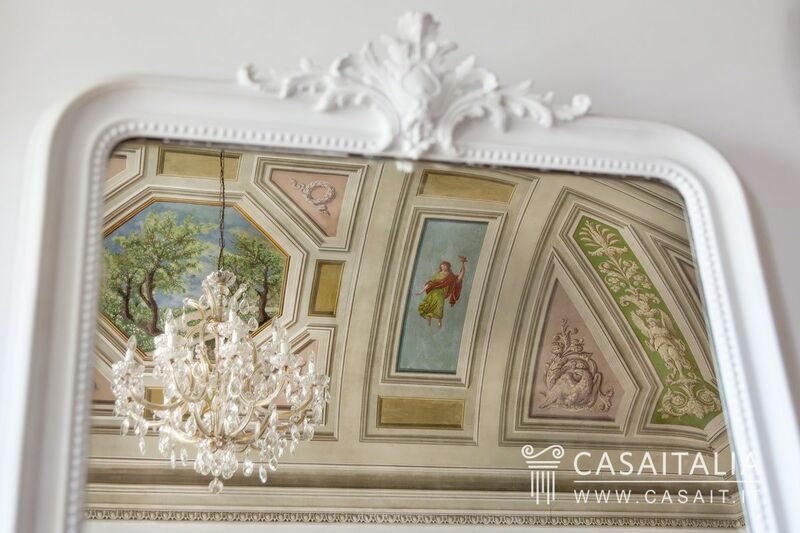 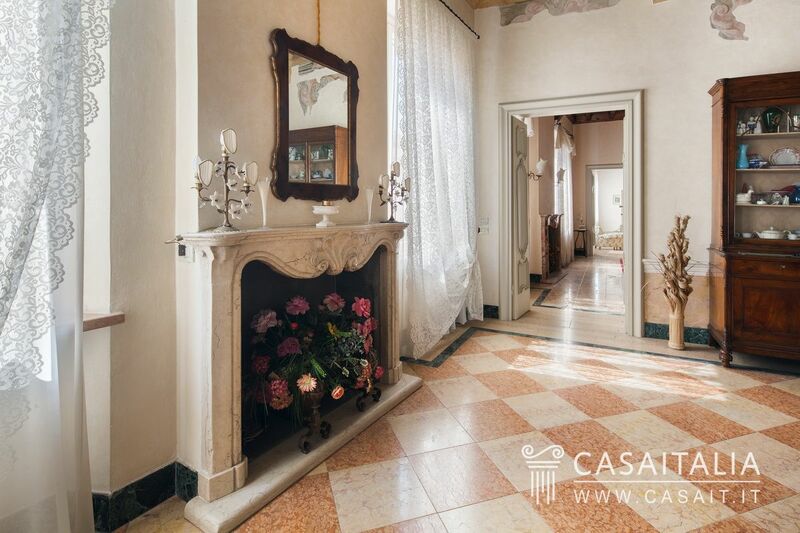 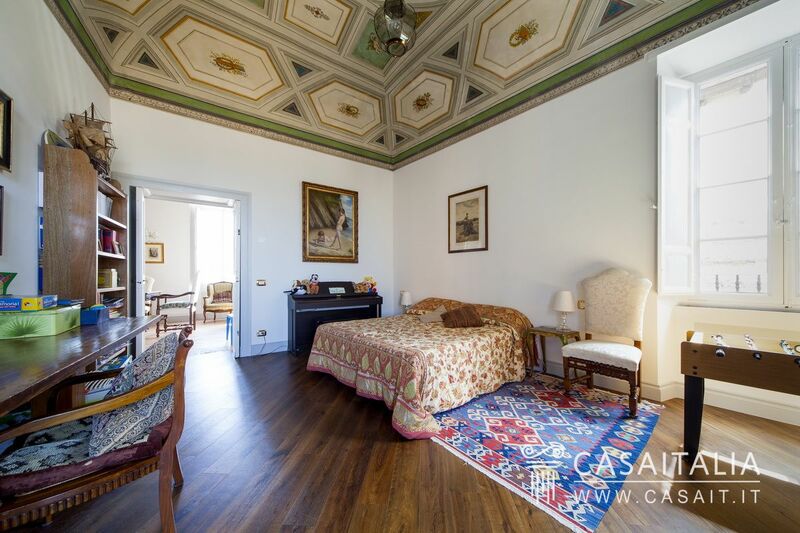 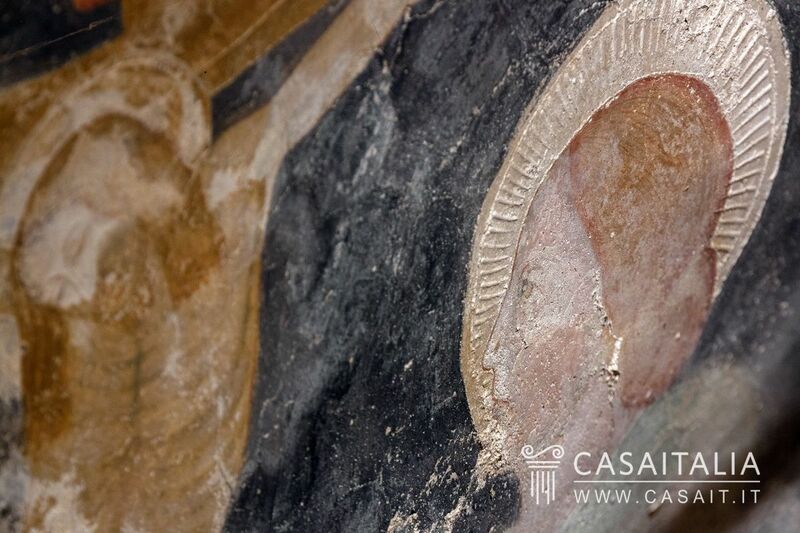 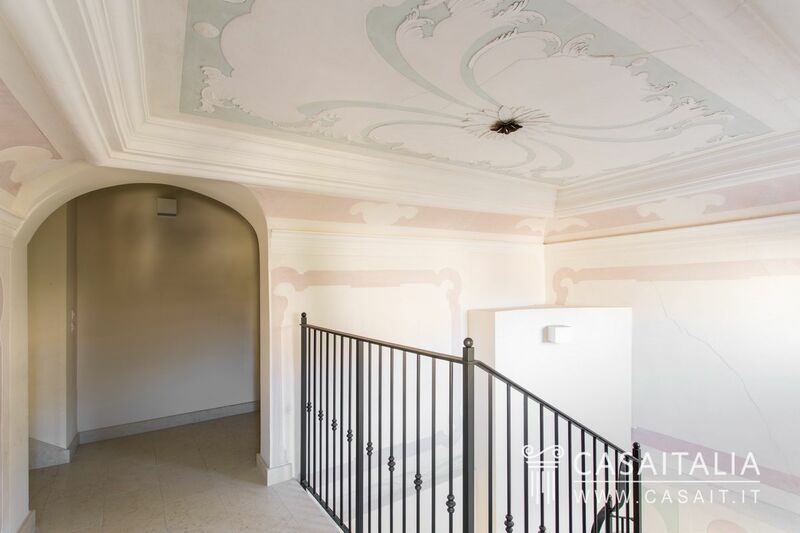 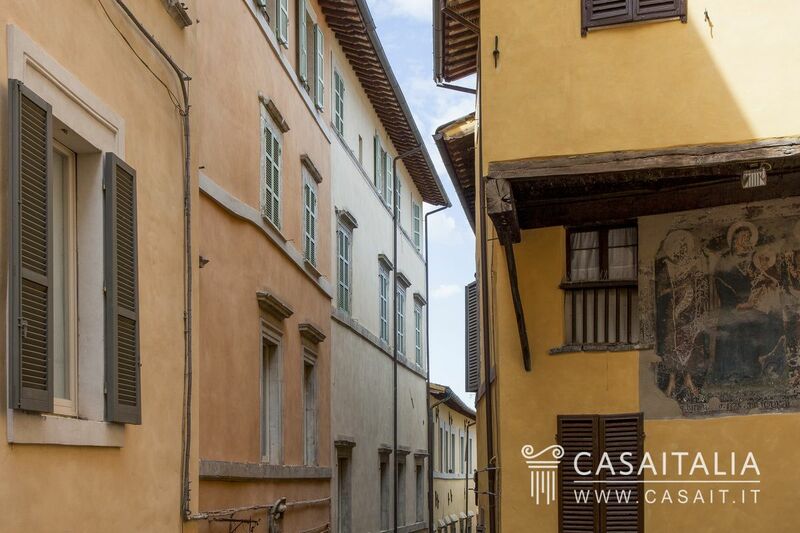 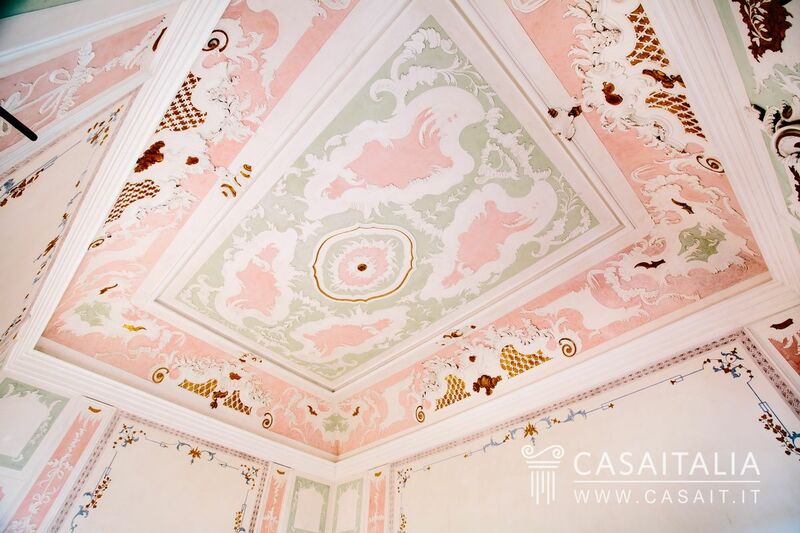 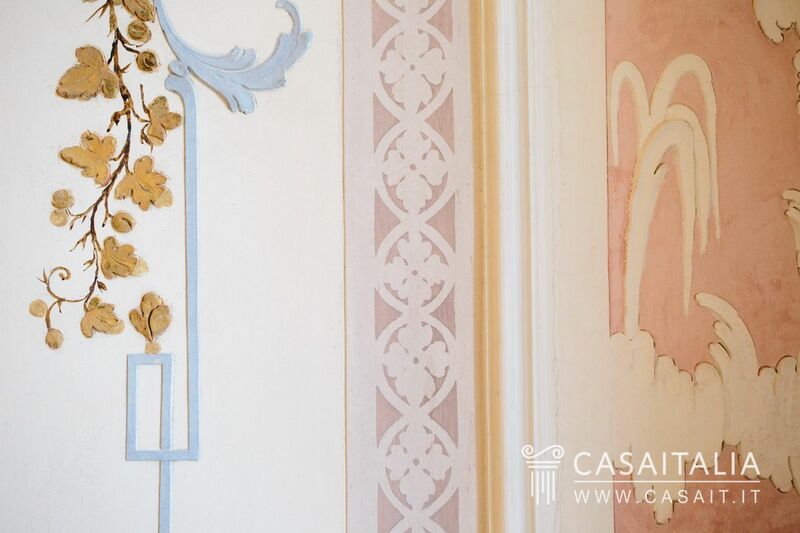 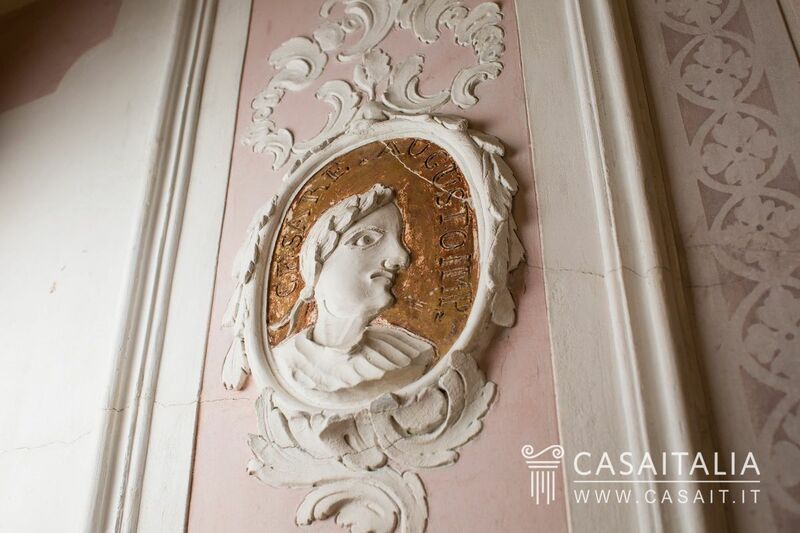 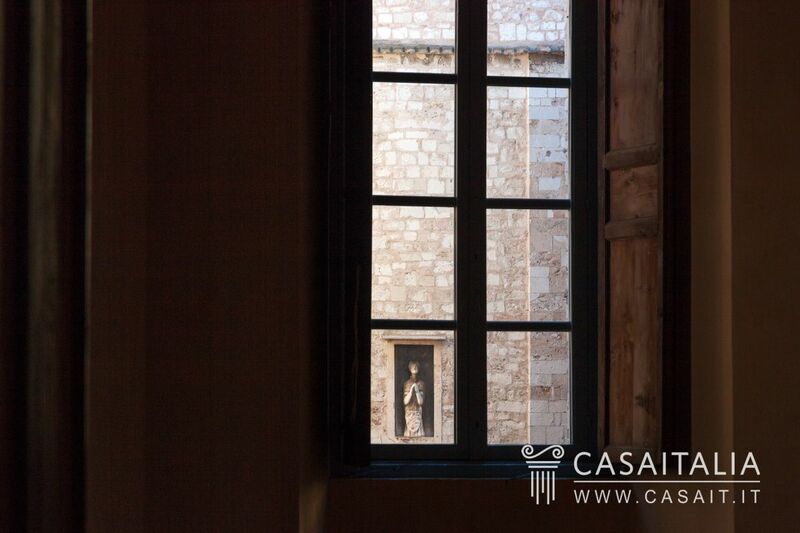 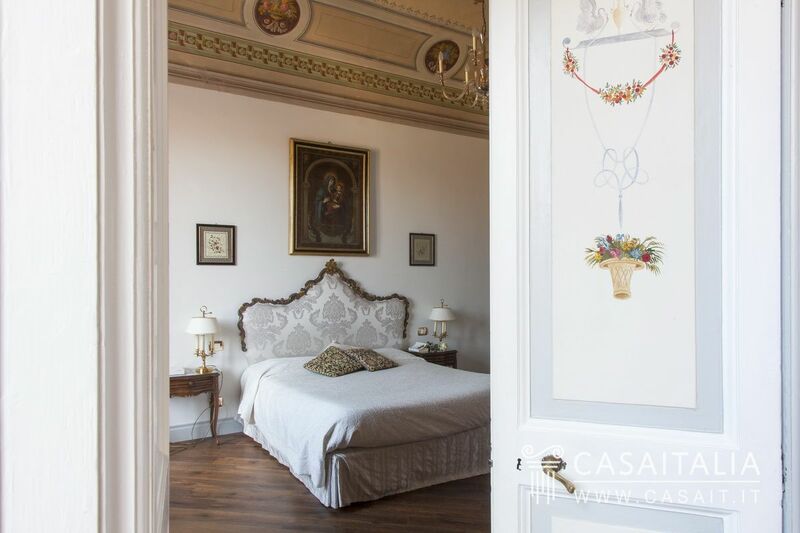 On the second floor of an old palazzo in Amelia’s historic centre, this frescoed apartment measures around 264 sq.m, with spacious living areas for entertaining, kitchen, kitchen, three bedrooms, three bathrooms and a 16 sq.m terrace. 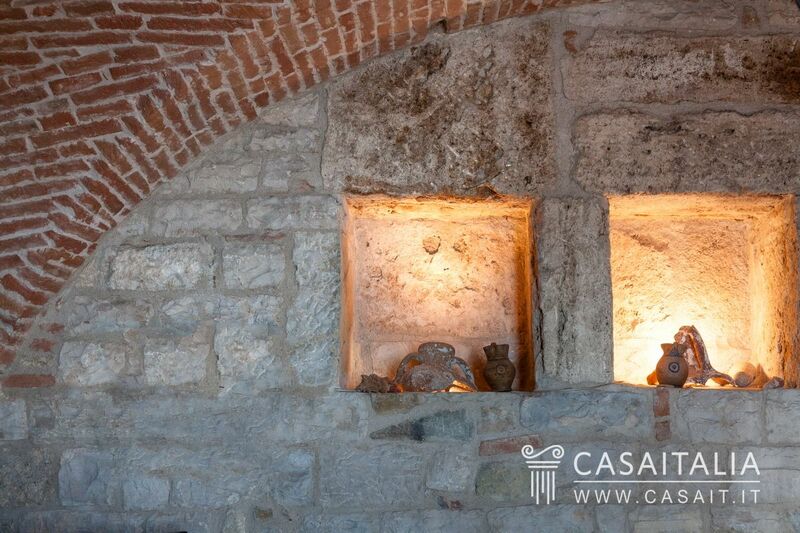 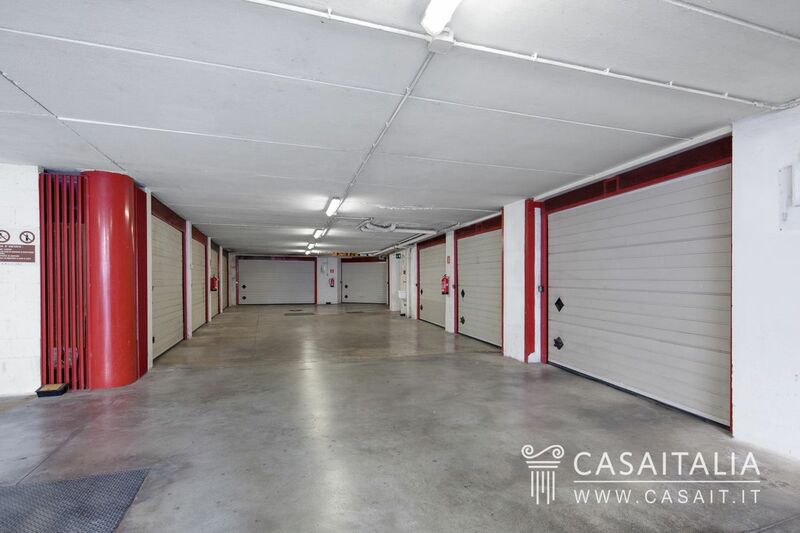 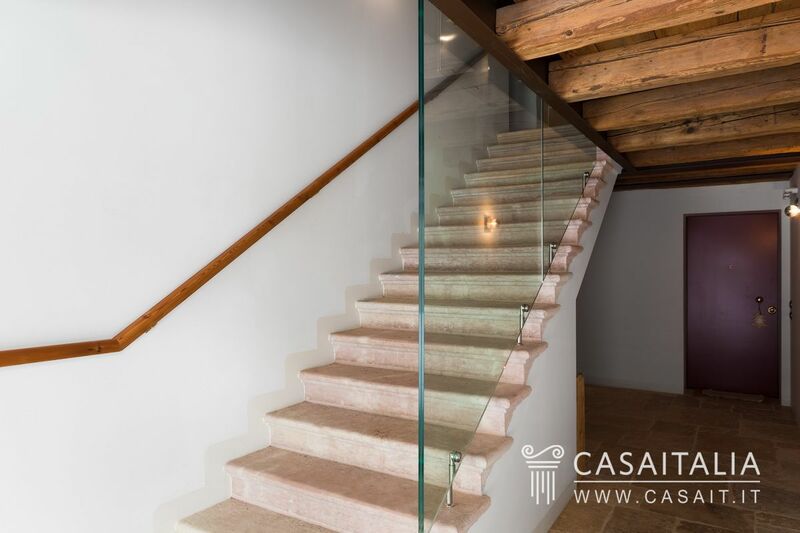 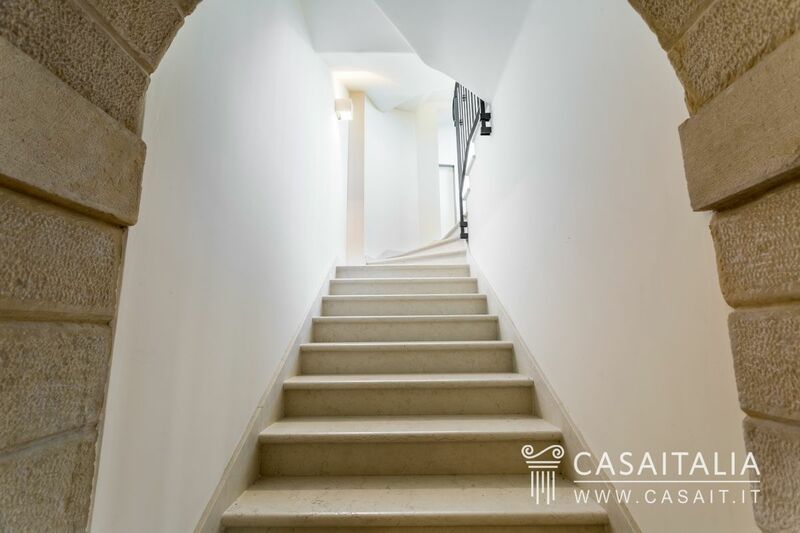 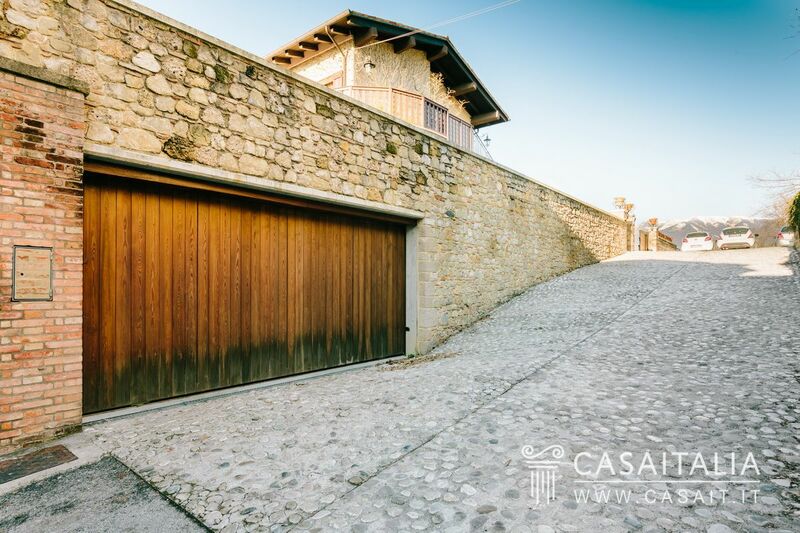 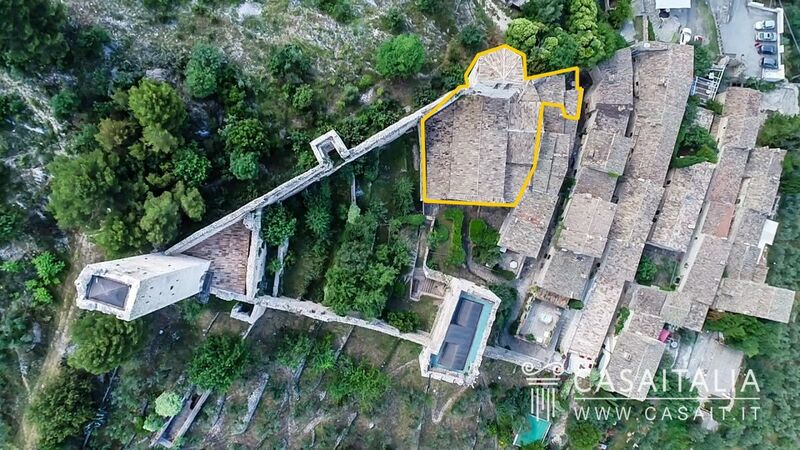 The property is completed by around 45 sq.m of cellar space on the ground floor, 40 sq.m of storage on the mezzanine floor and around 200 sq.m of caves in the basement. 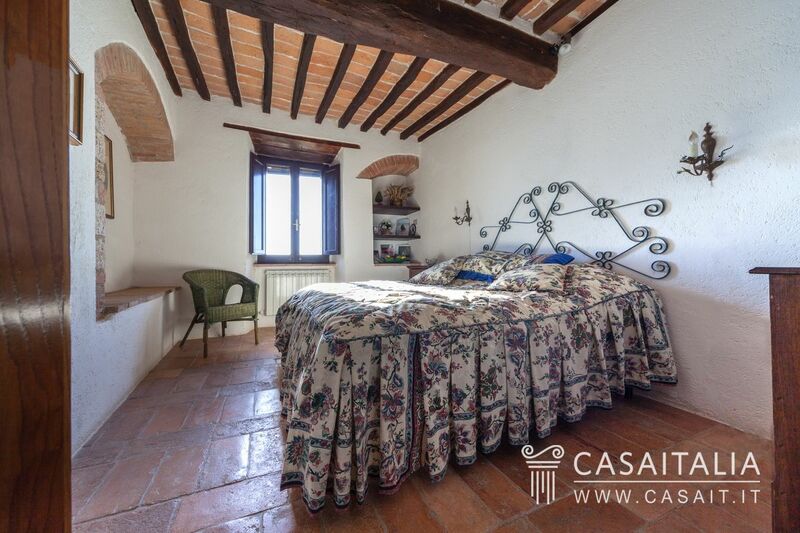 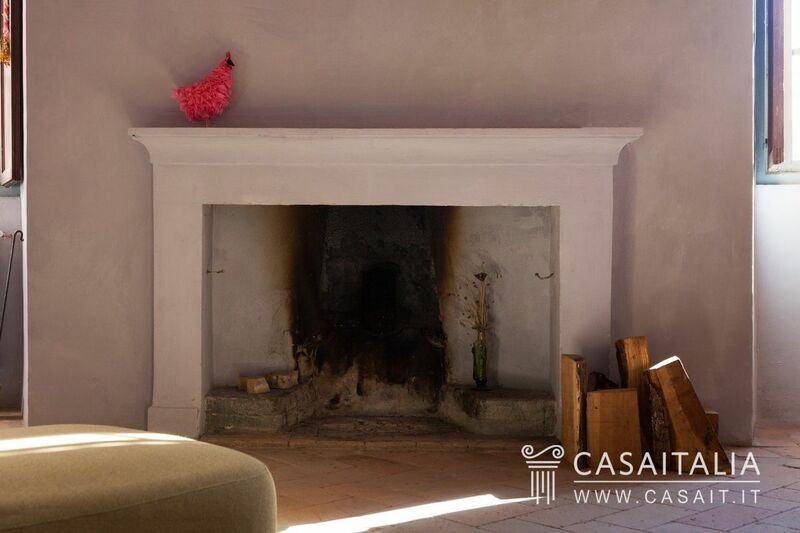 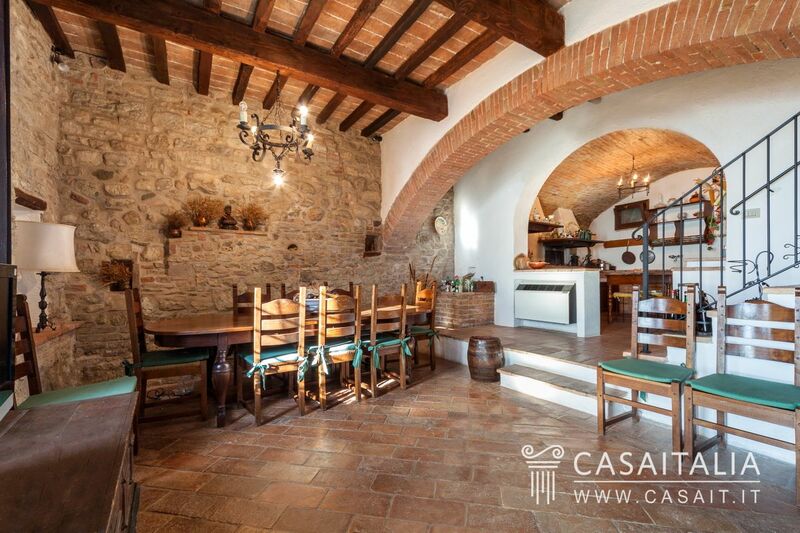 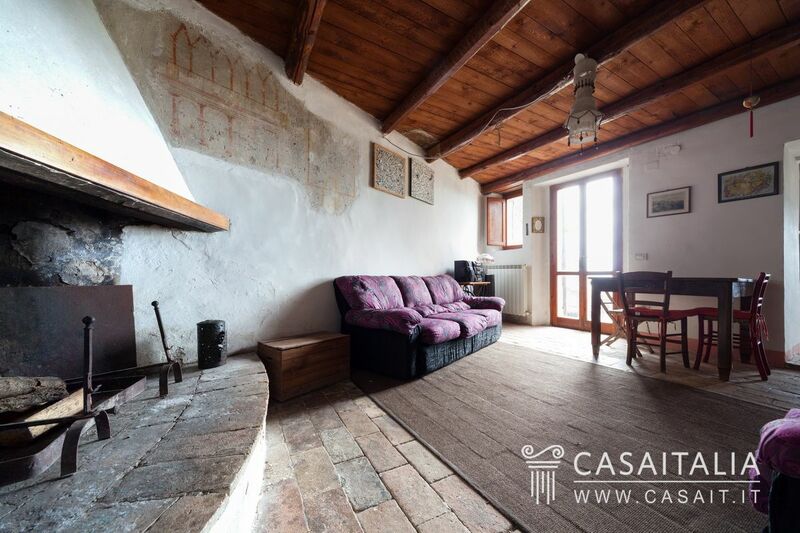 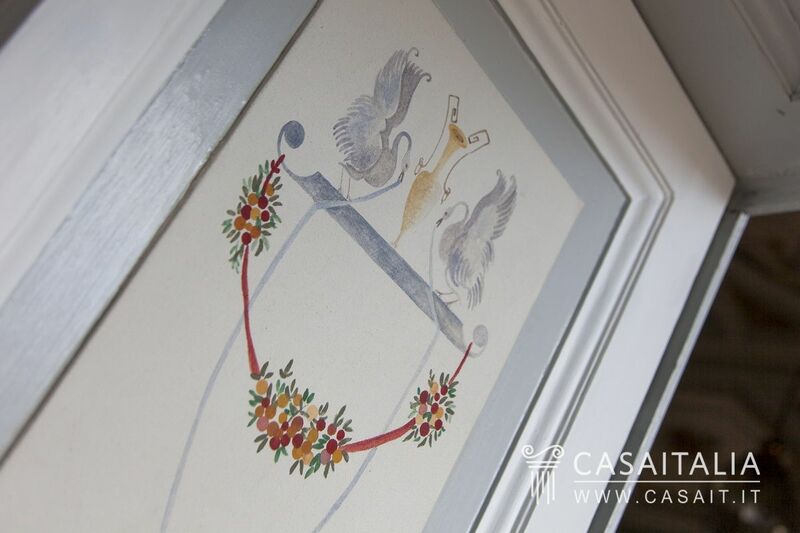 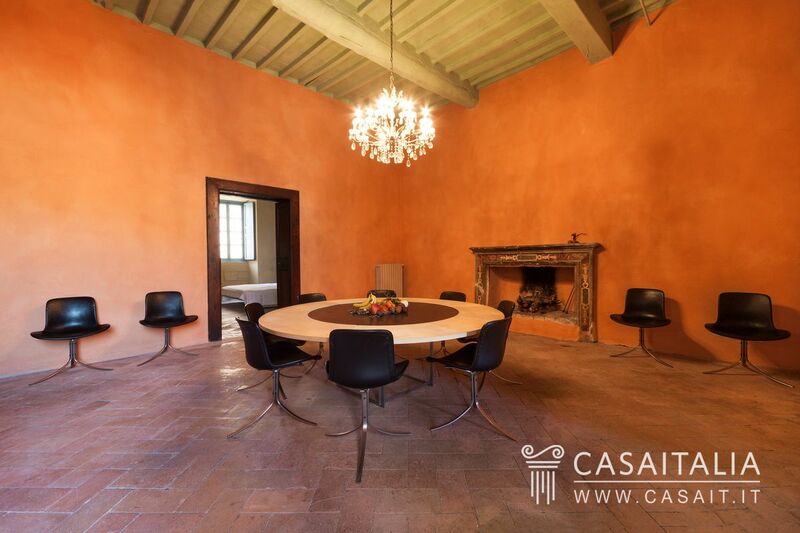 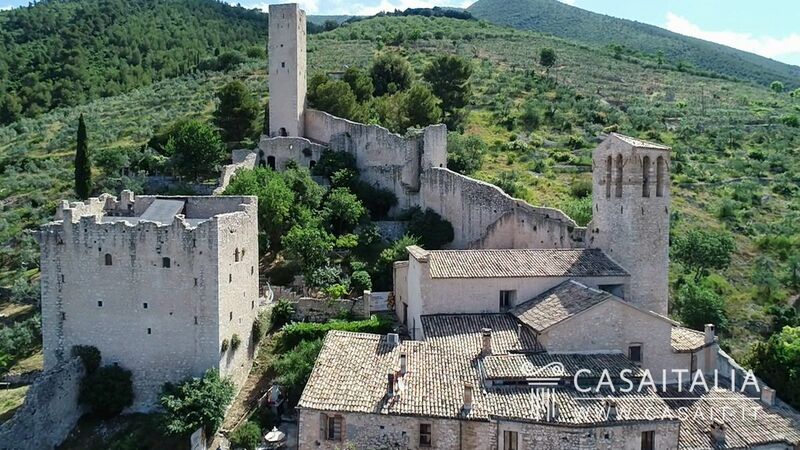 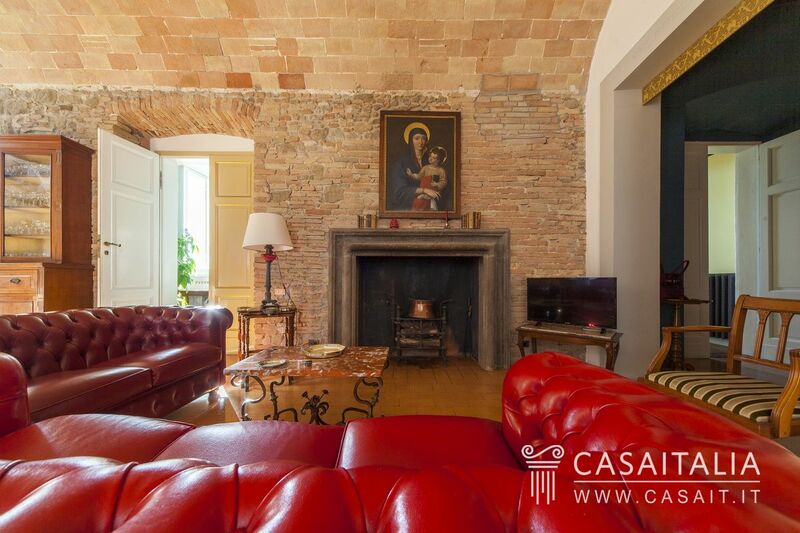 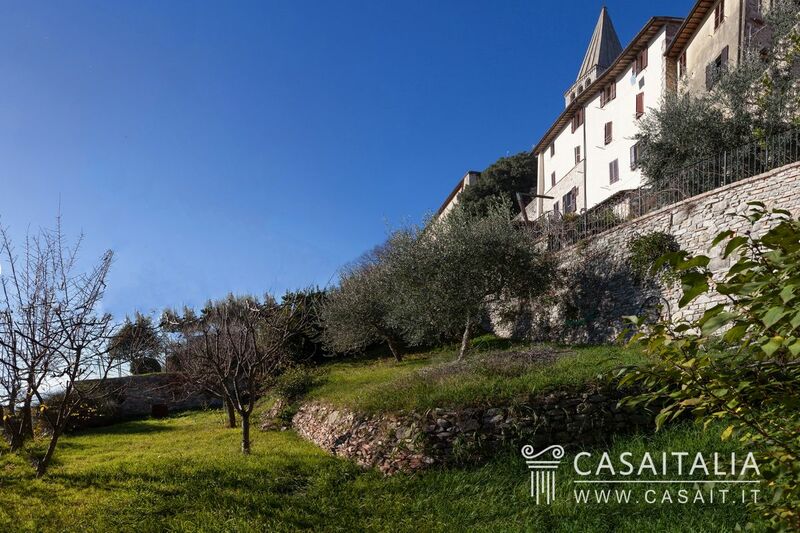 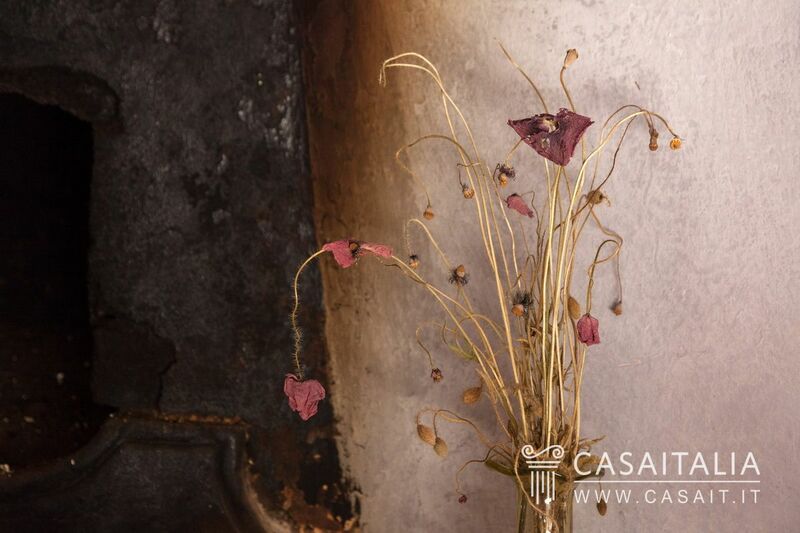 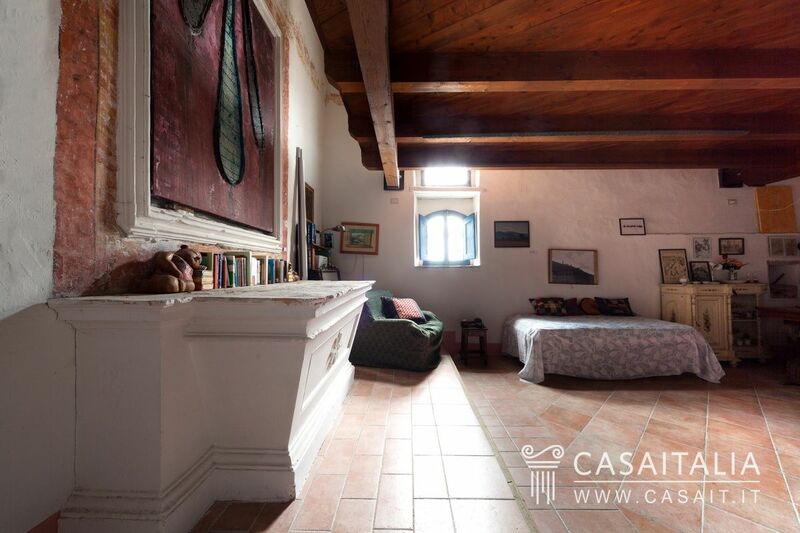 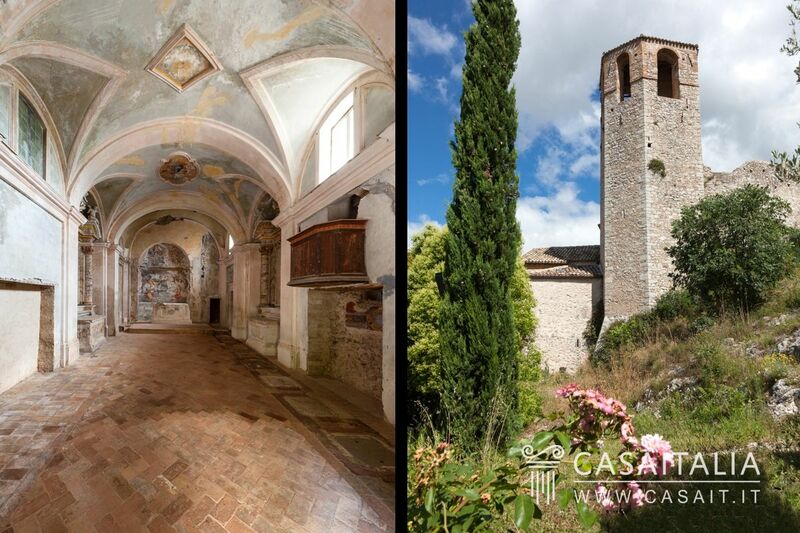 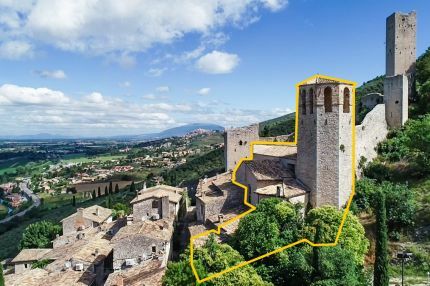 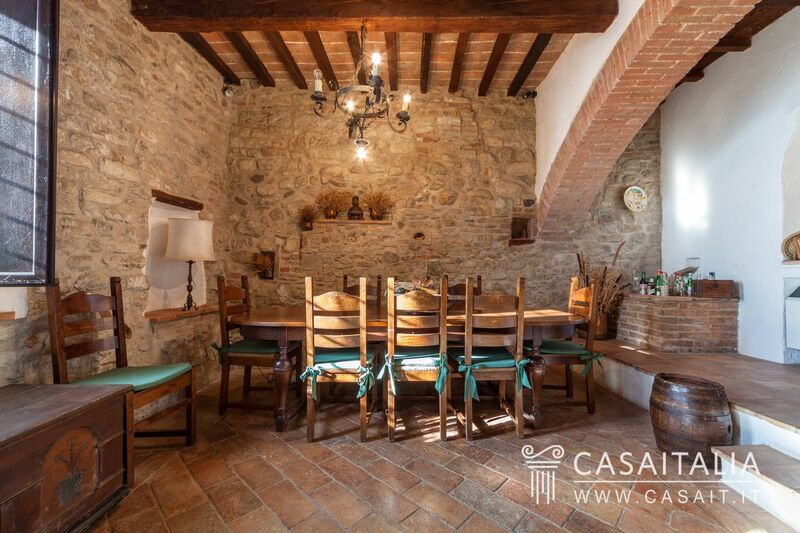 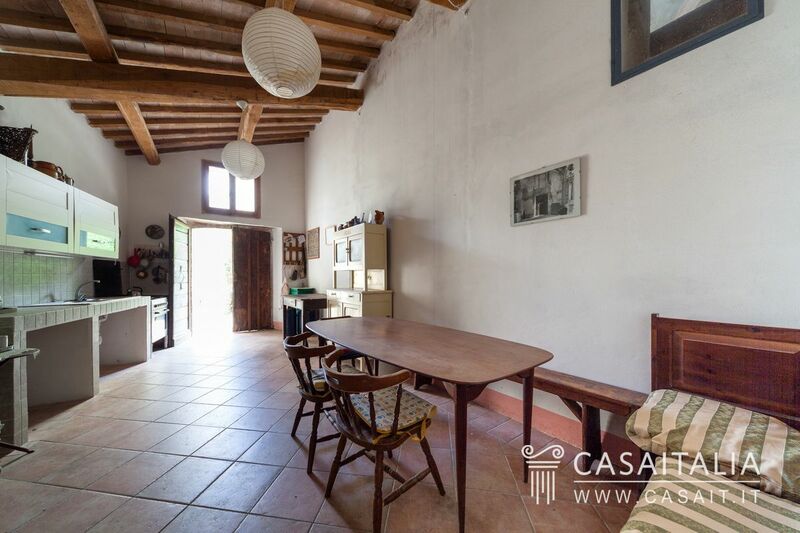 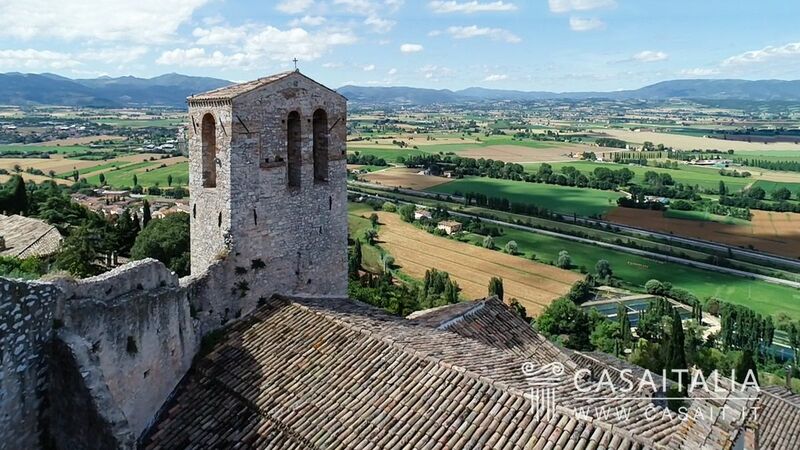 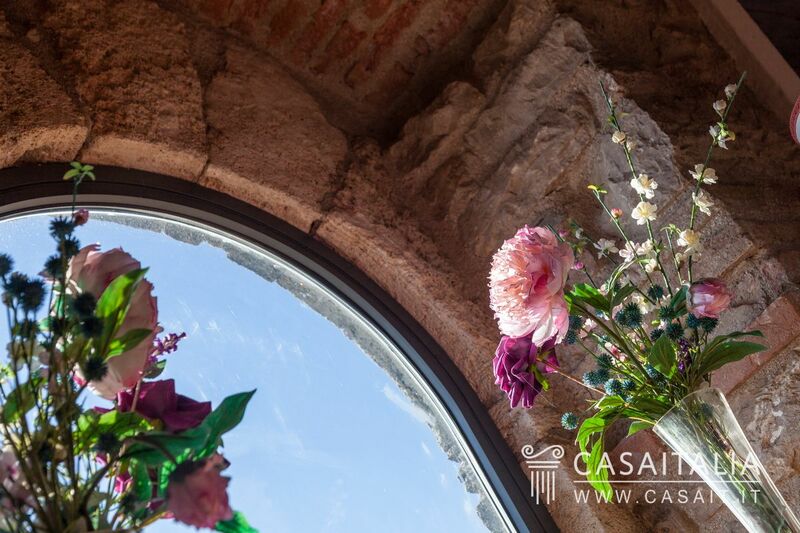 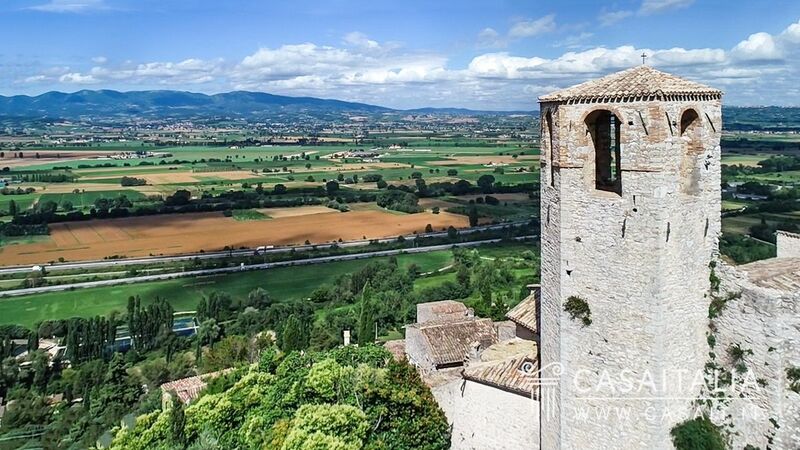 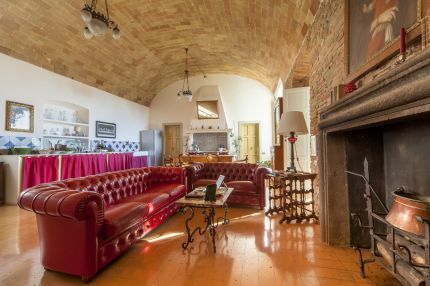 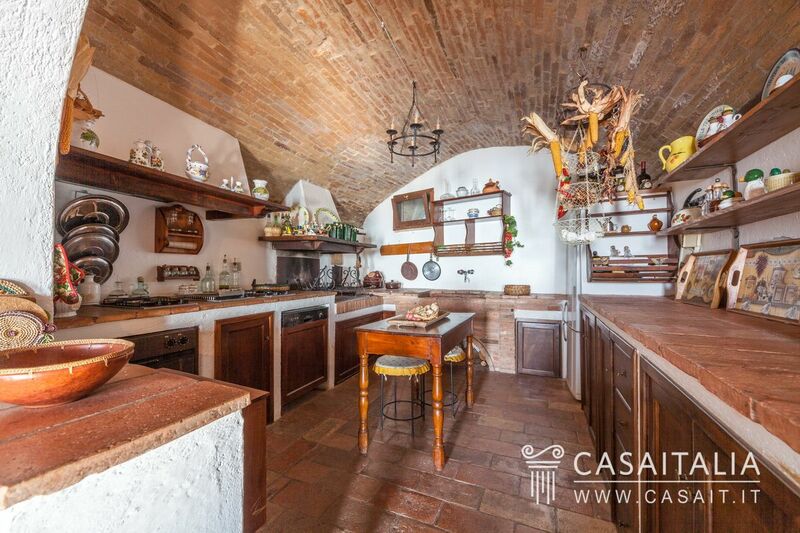 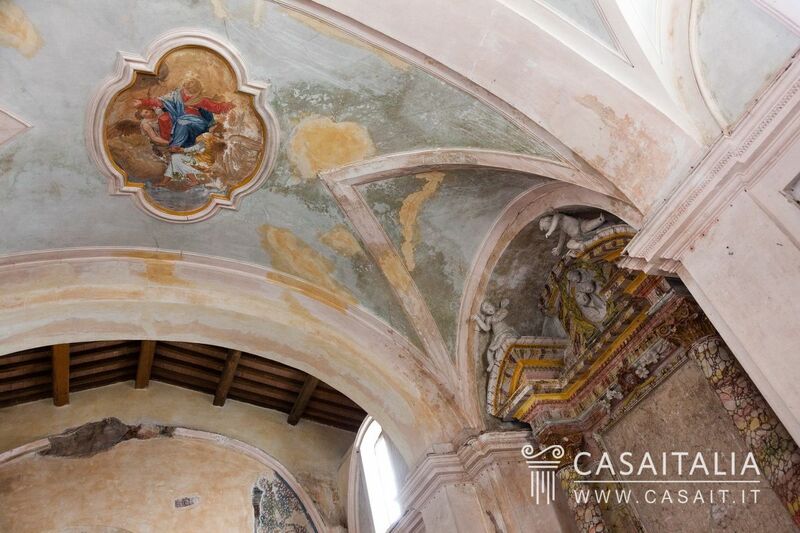 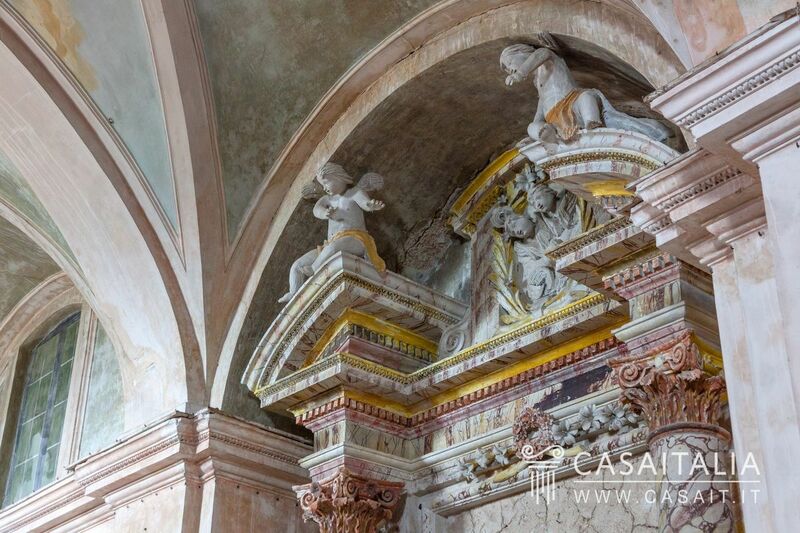 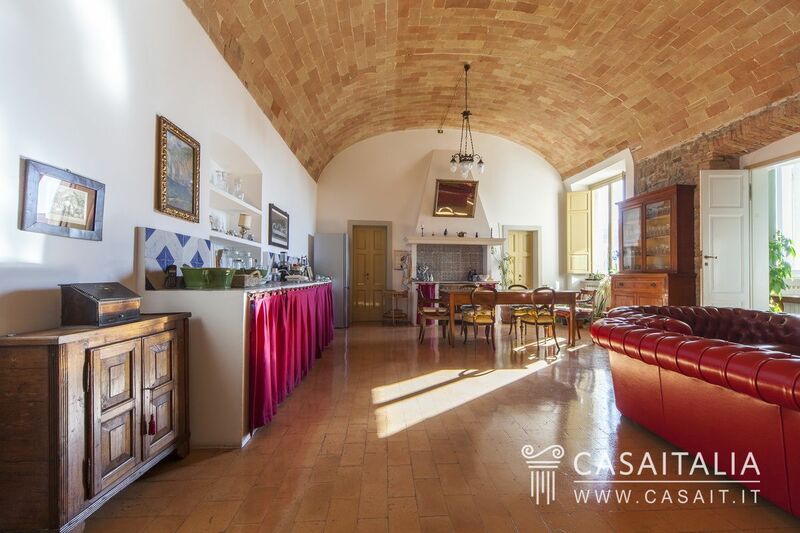 Gorgeous property with magical, spiritual charm, situated in the walls of the castle of Pissignano, between Spoleto and Trevi, including the rectory, converted into a home with 3/4 bedrooms and living areas, the imposing medieval tower and the old church, ideal as an art studio or workshop, with storage areas in need of restoration. 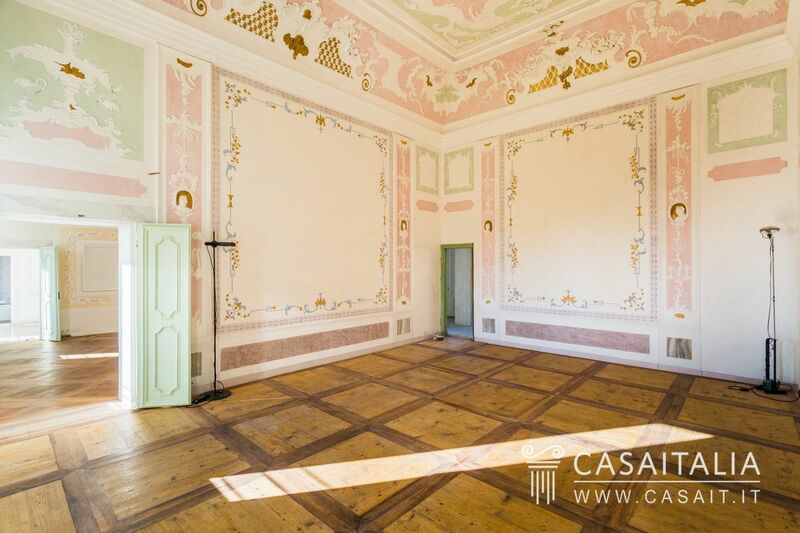 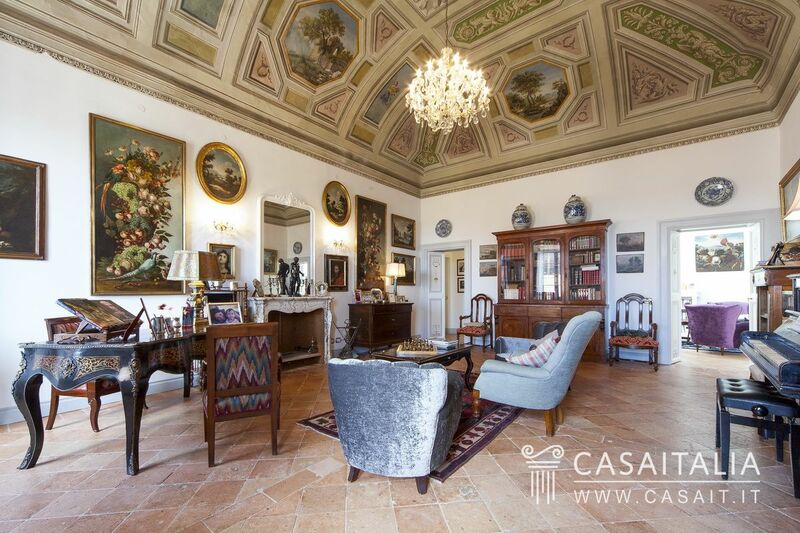 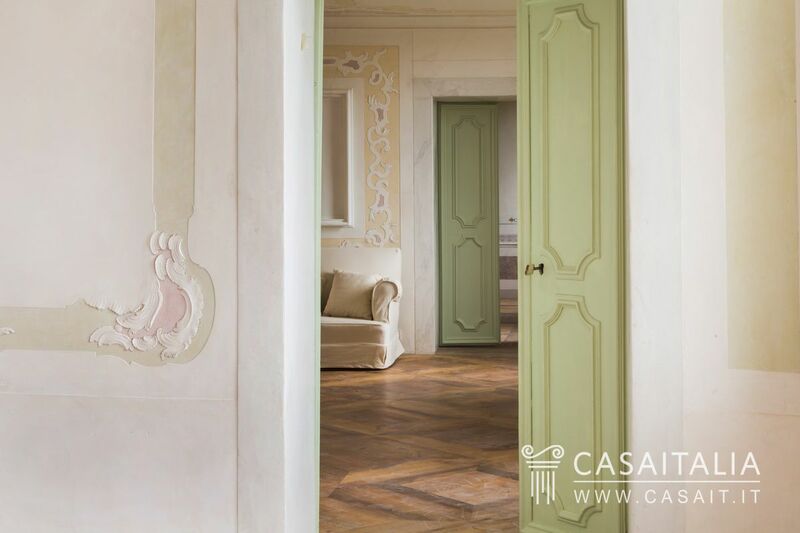 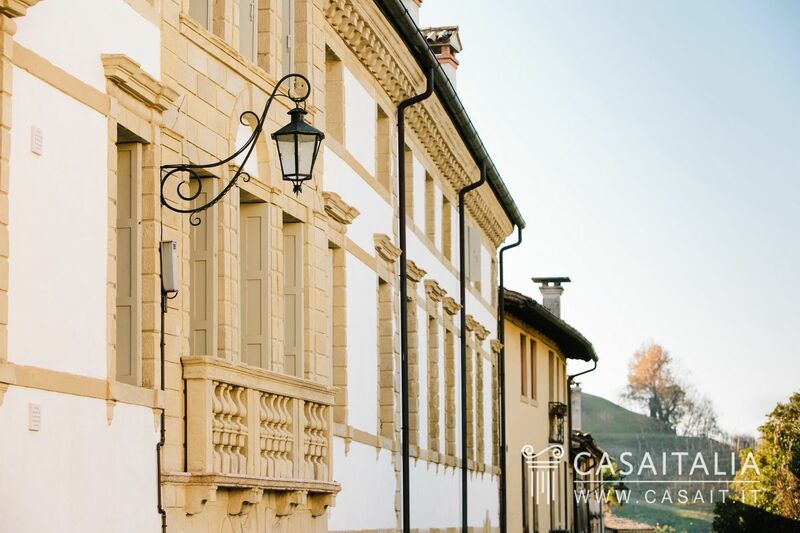 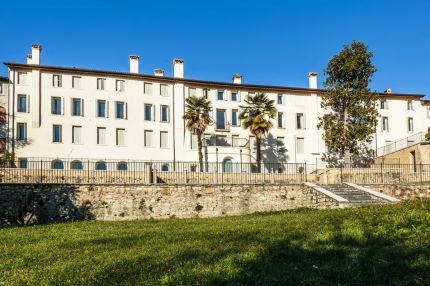 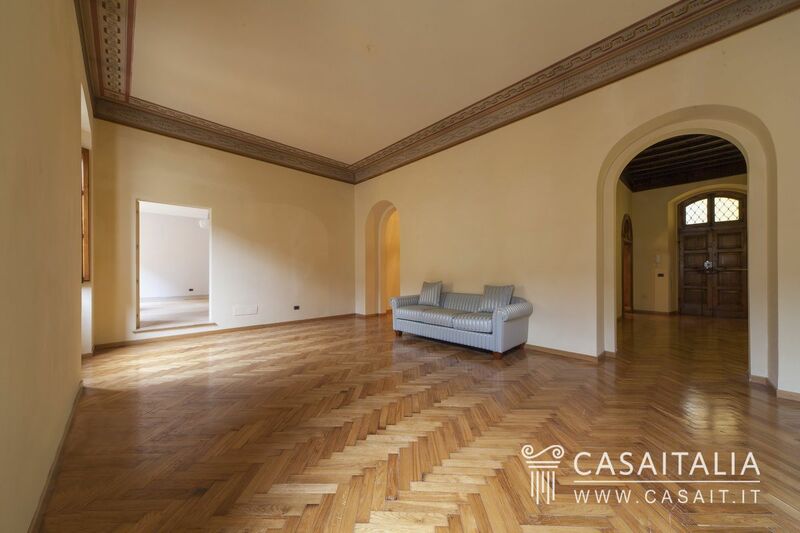 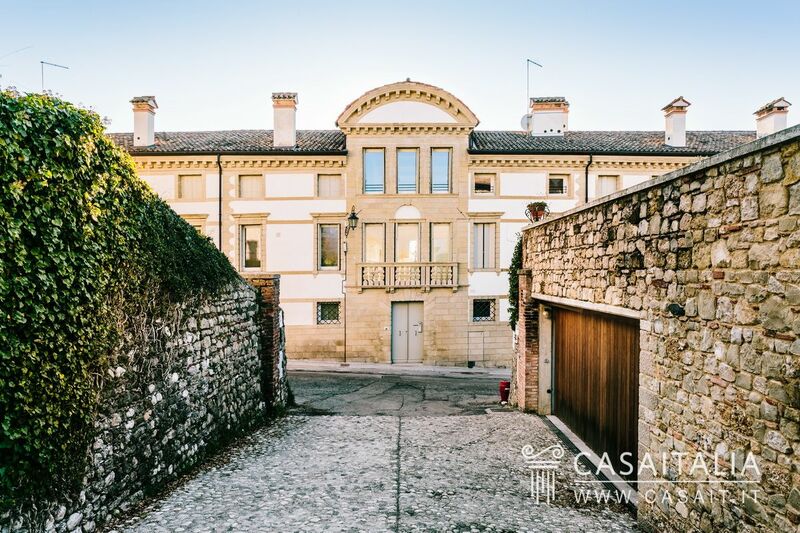 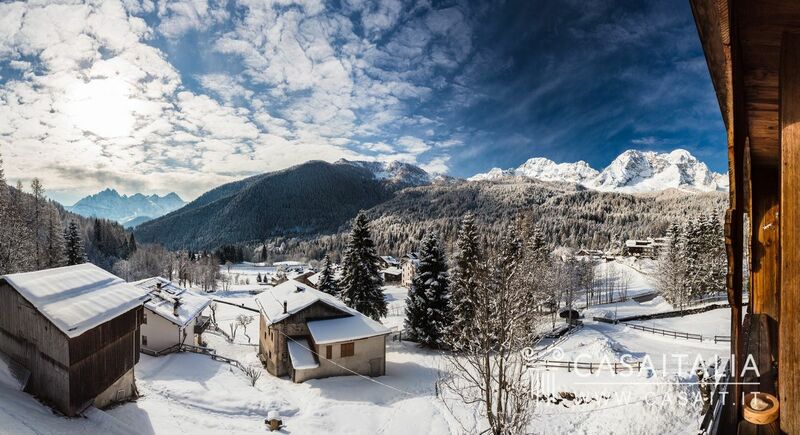 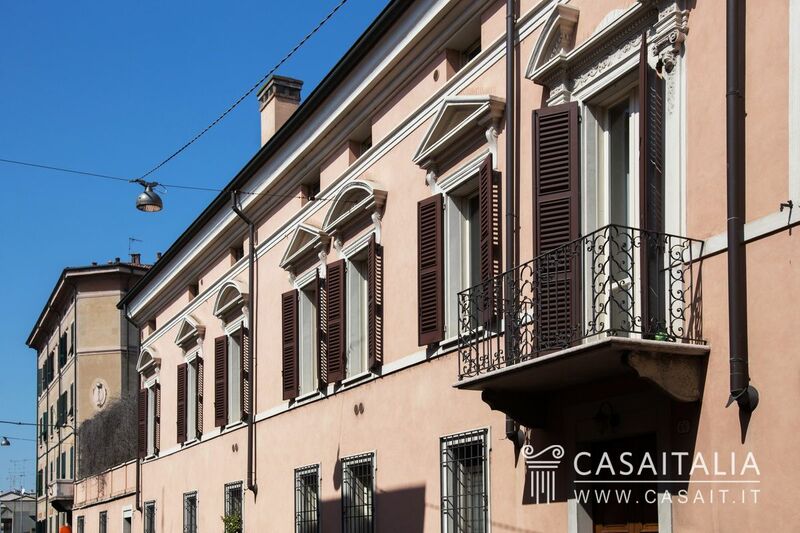 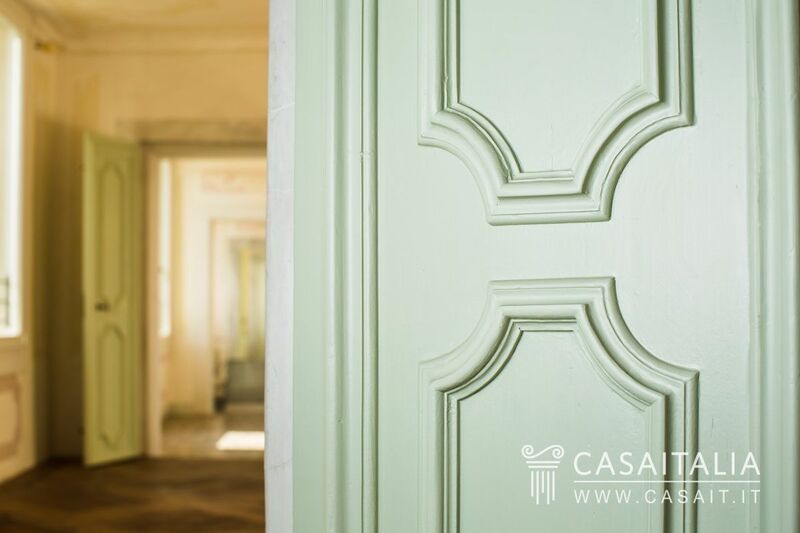 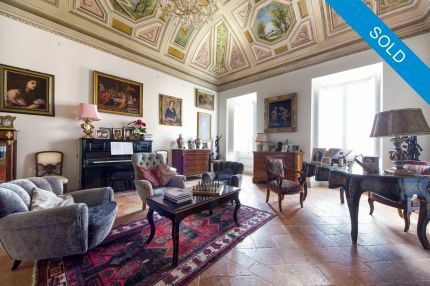 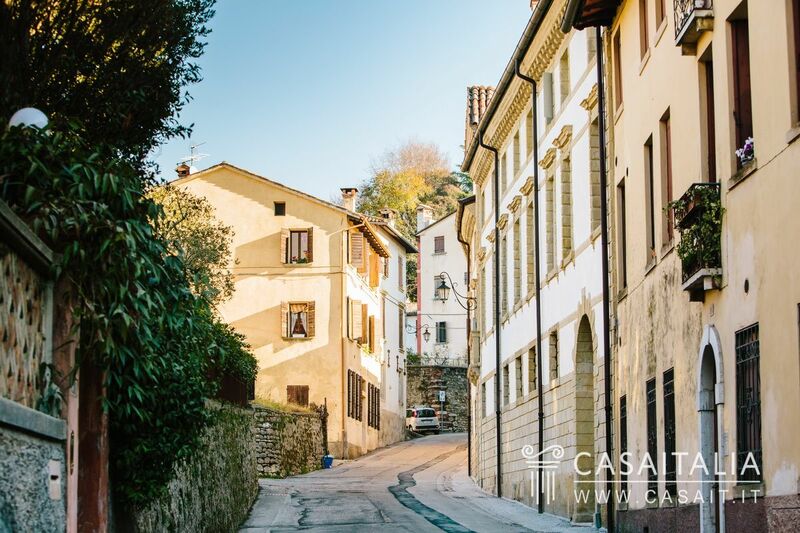 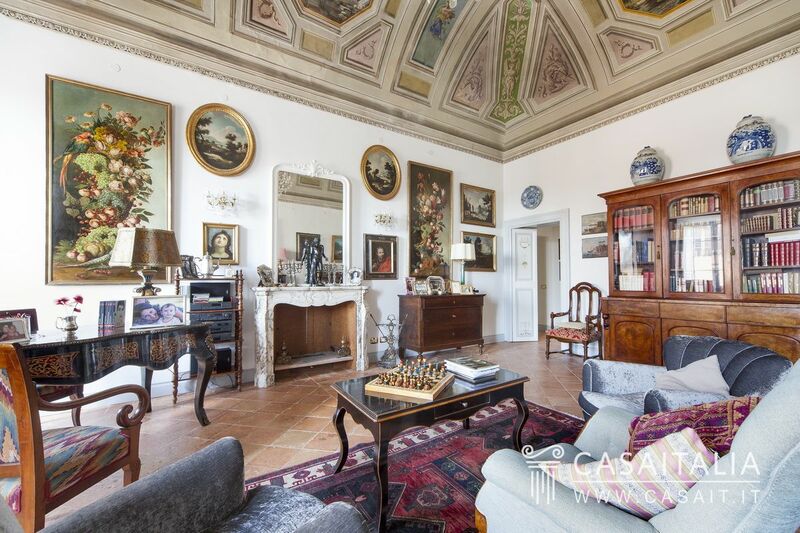 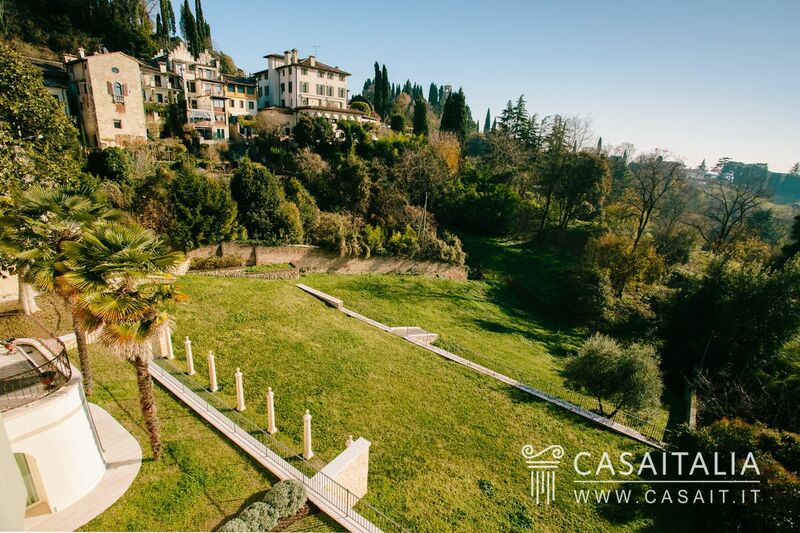 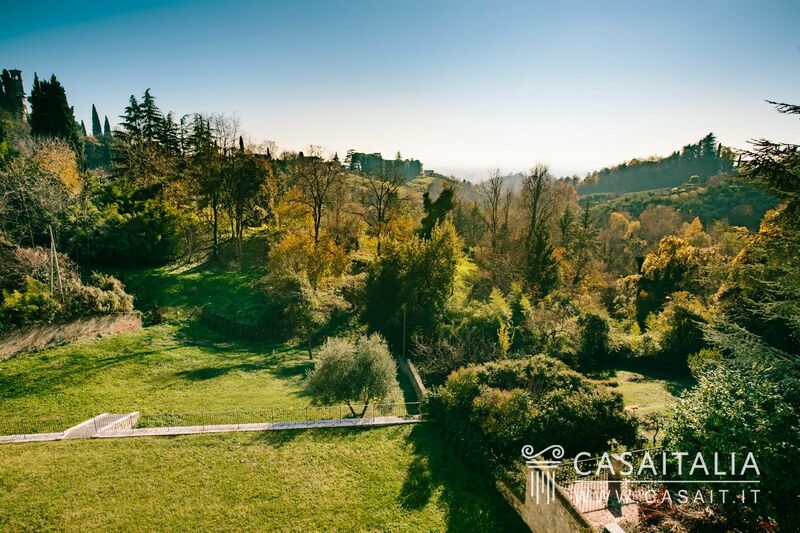 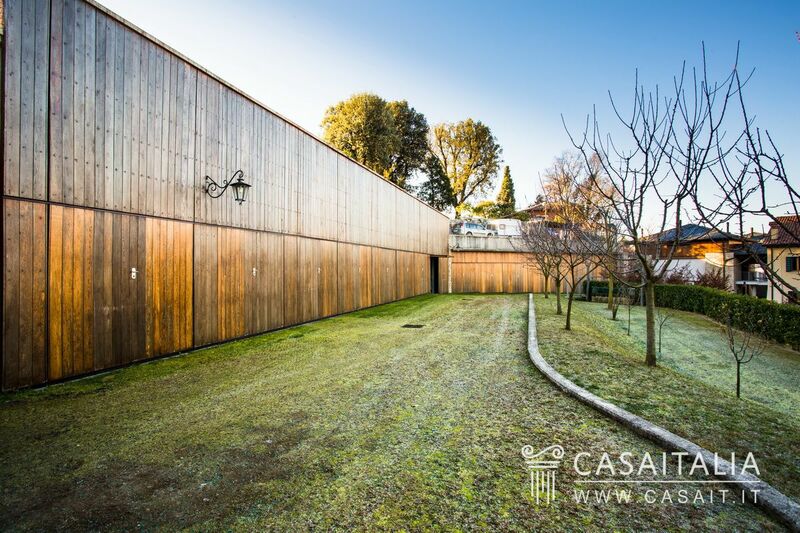 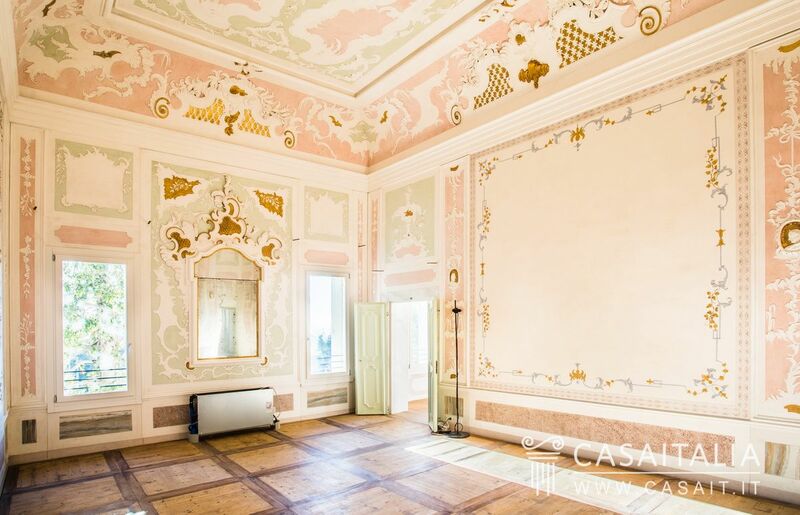 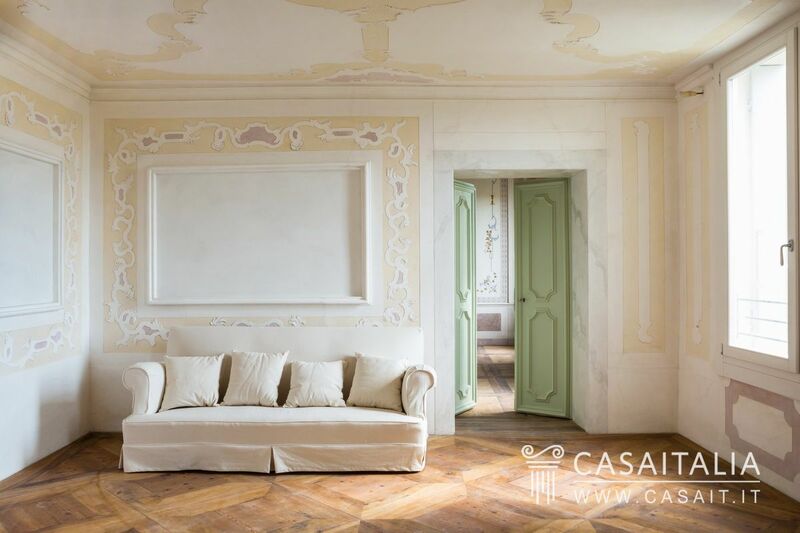 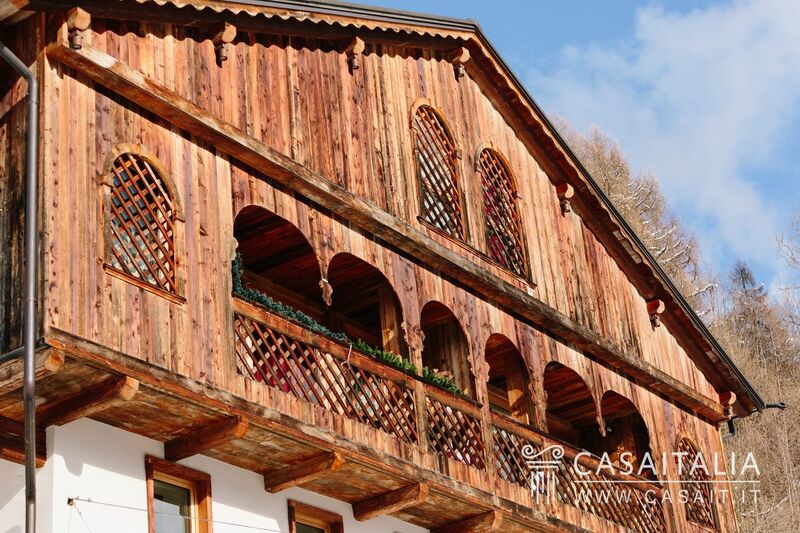 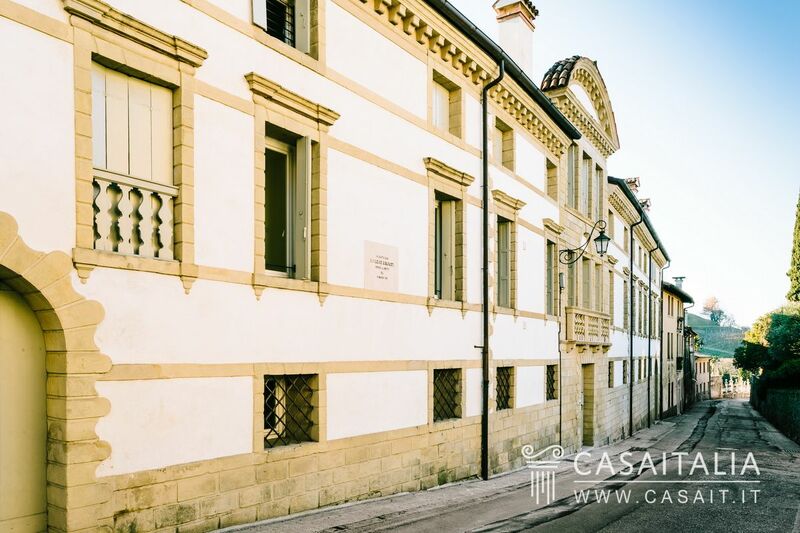 Luxury apartments for sale within a 17th century stately home in the centre of Asolo. 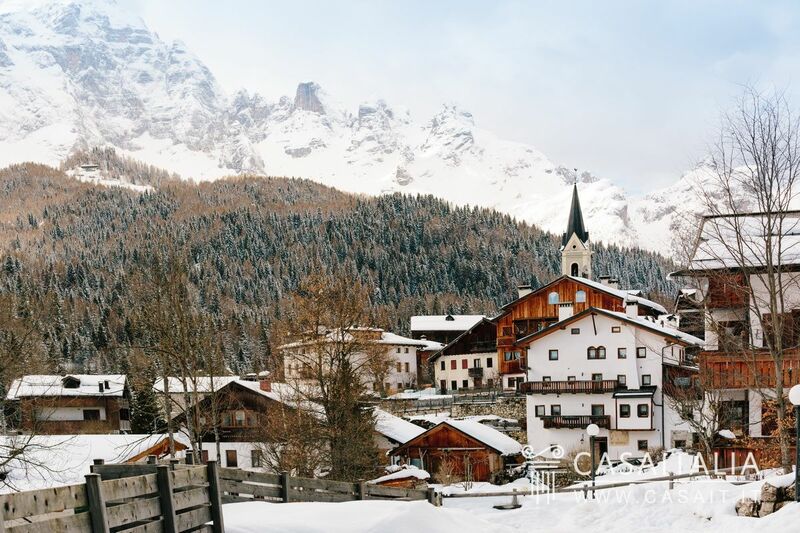 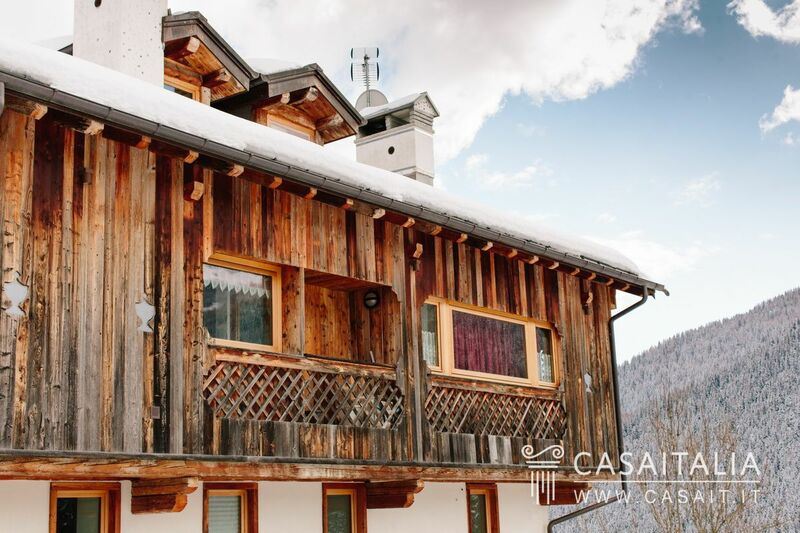 Of various sizes, they are perfect as a main residence or holiday home and/or investment, to put on the weekly holiday rentals market. 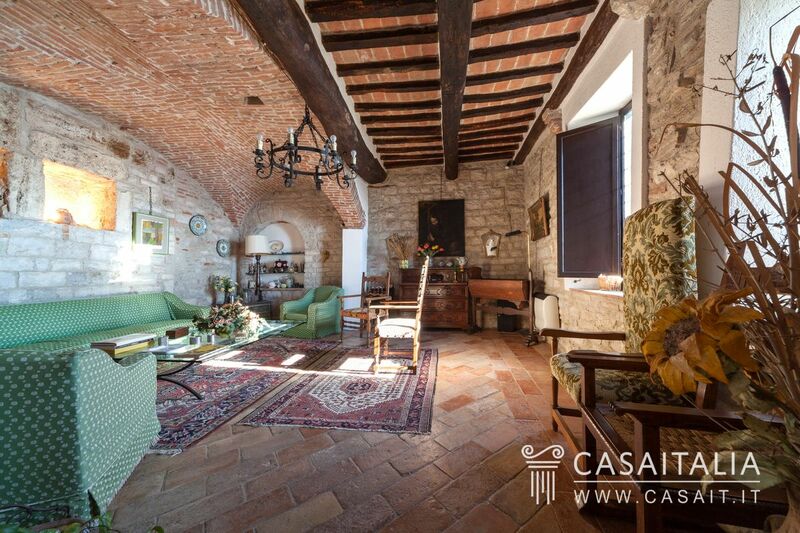 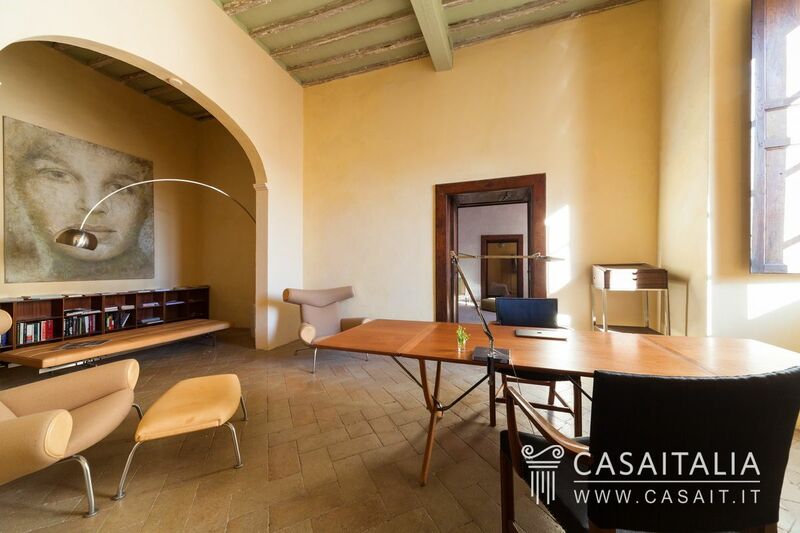 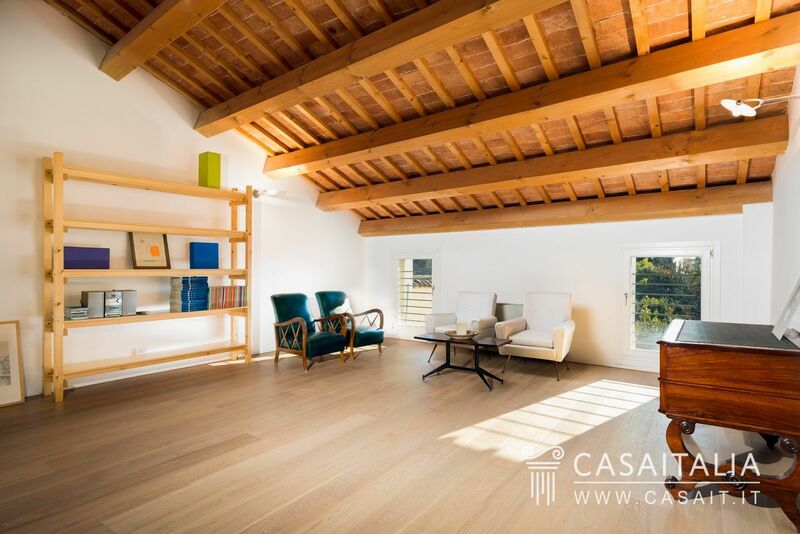 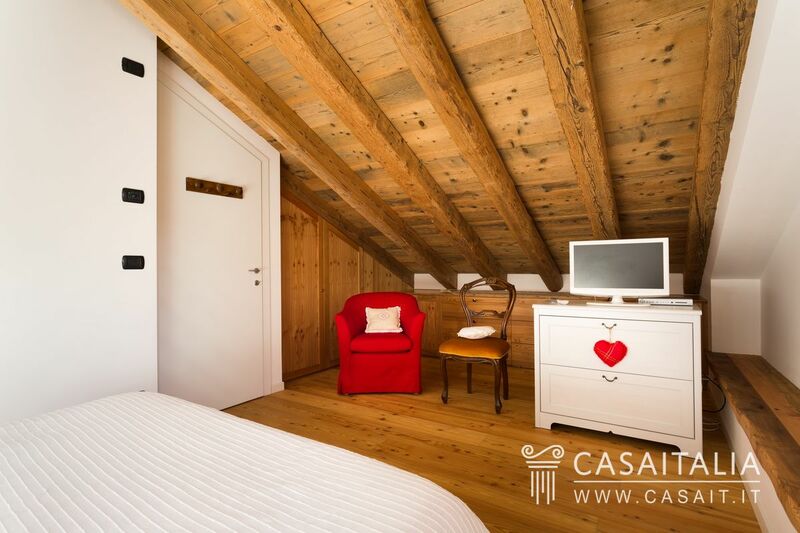 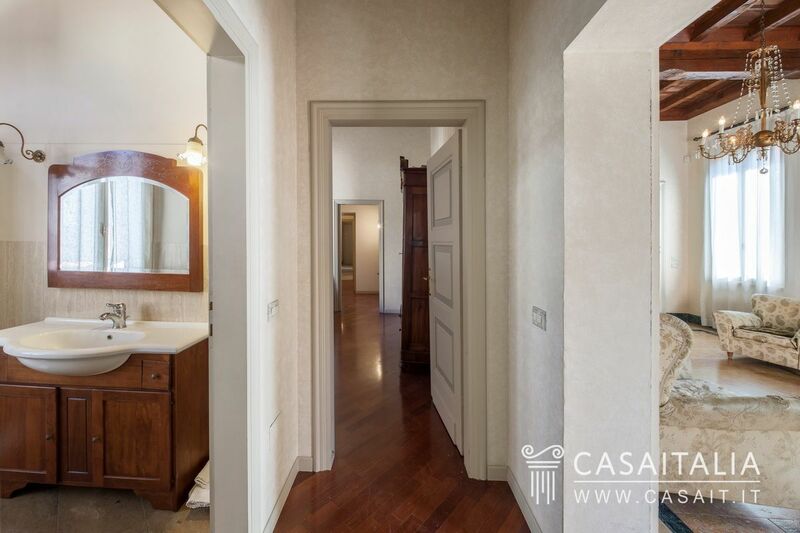 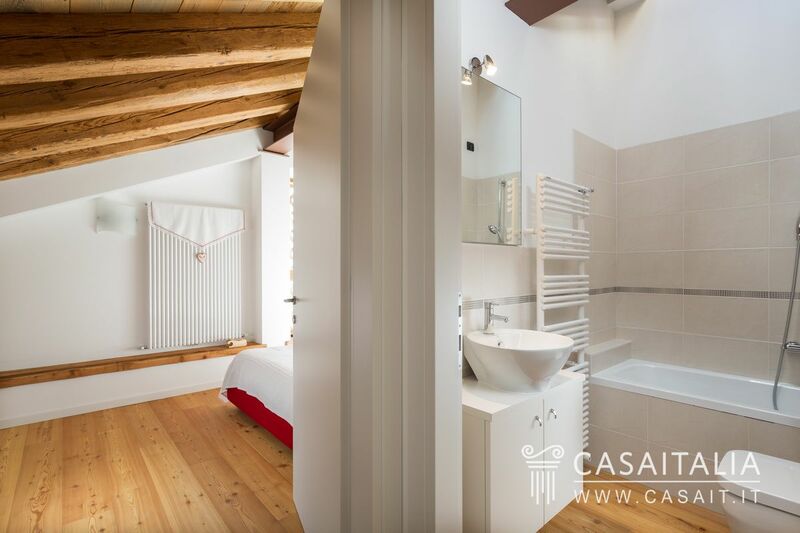 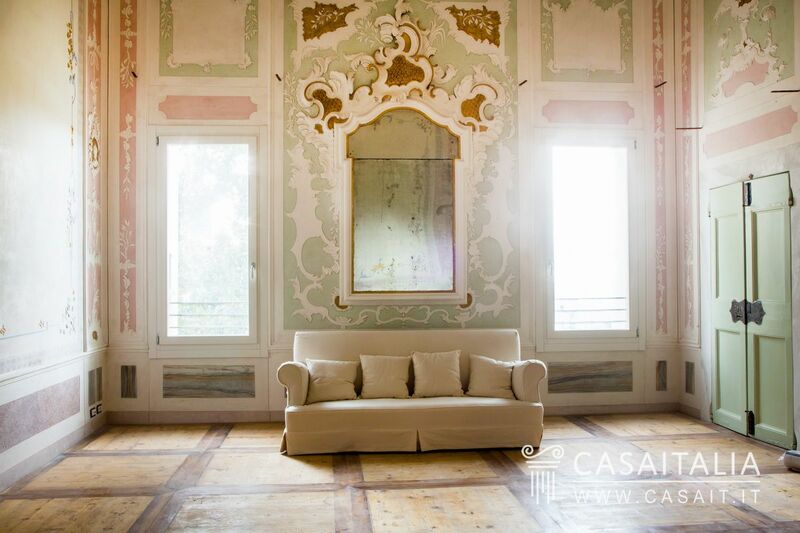 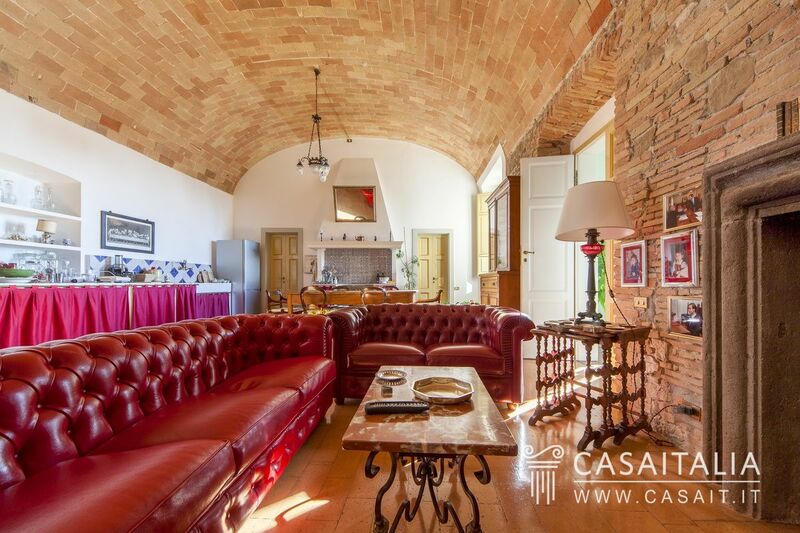 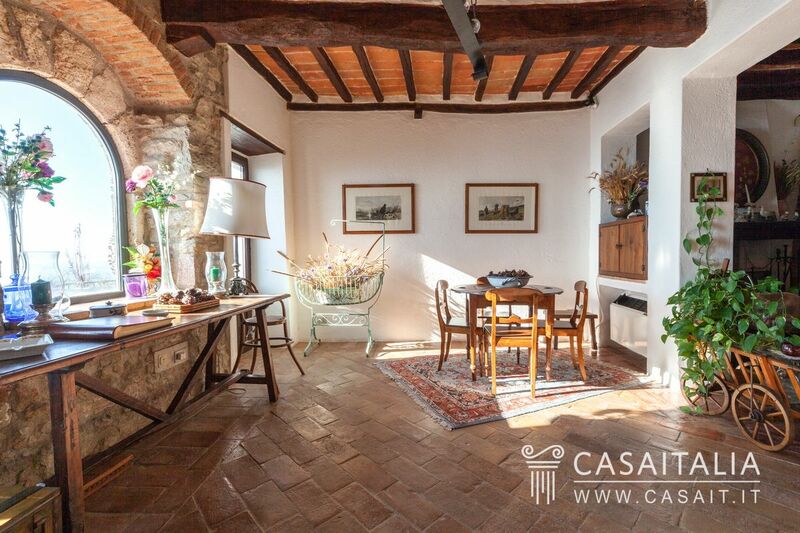 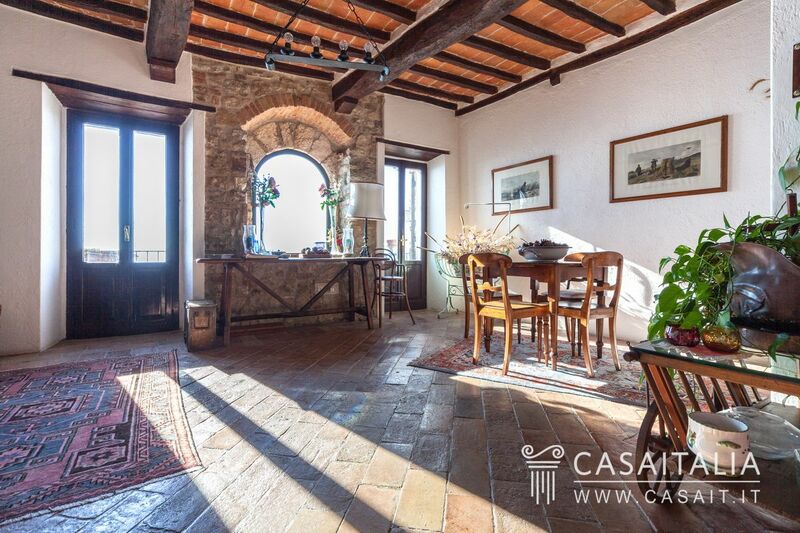 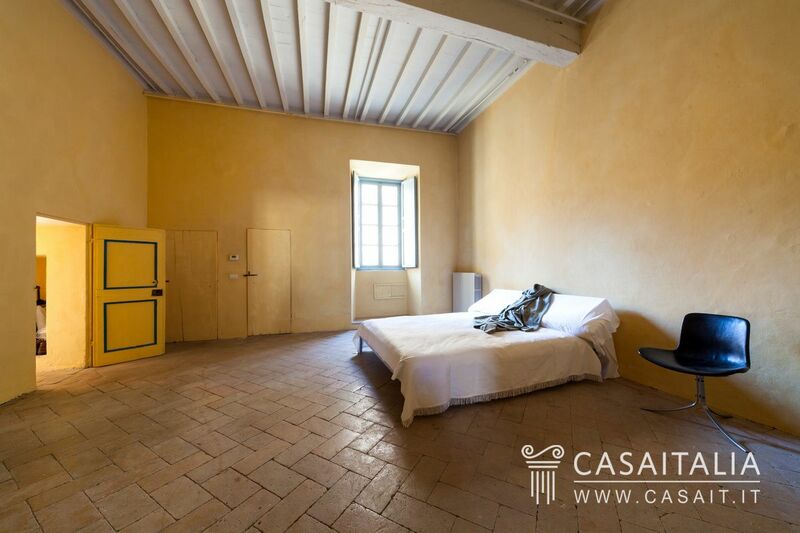 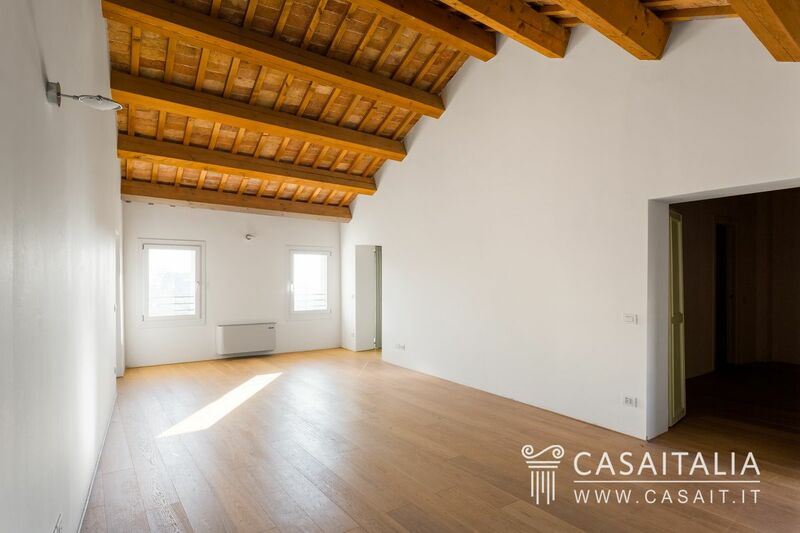 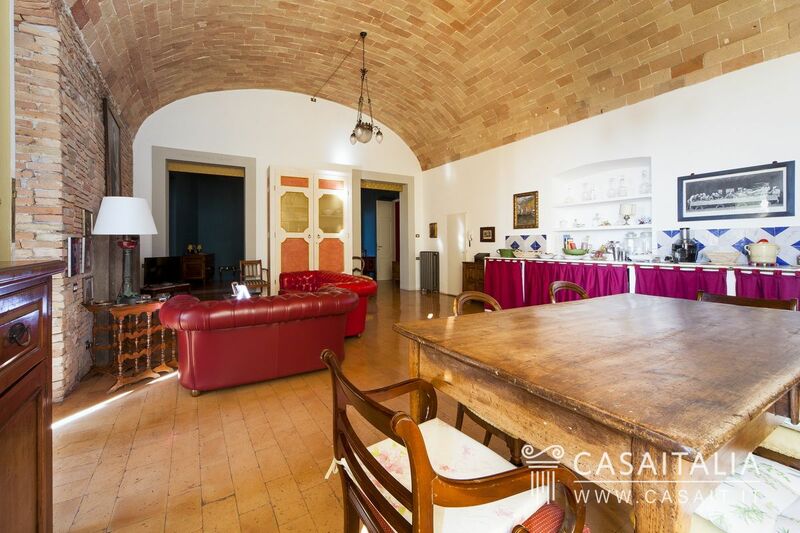 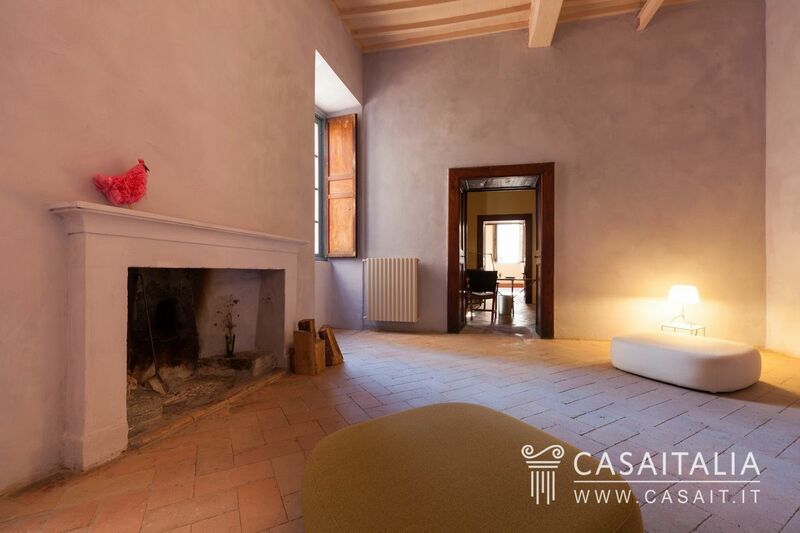 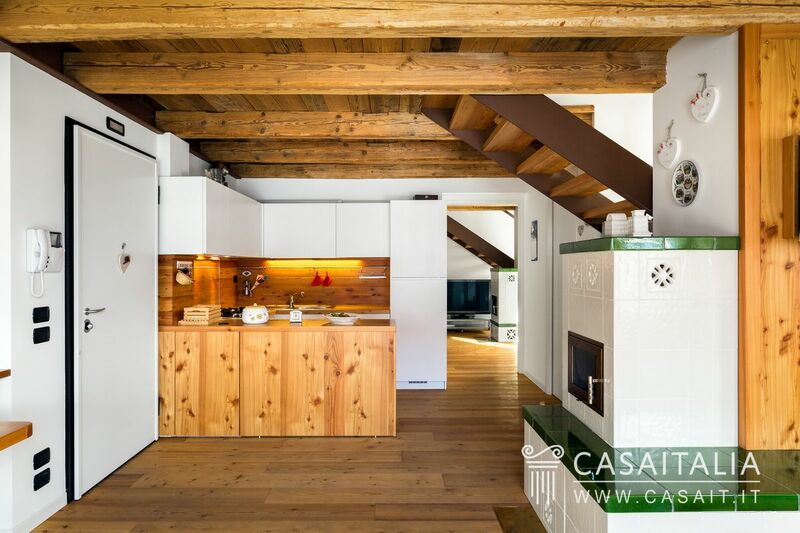 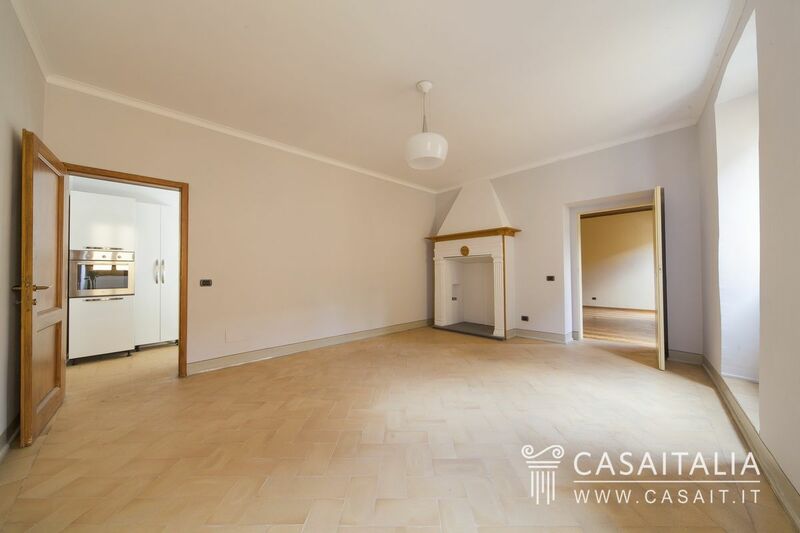 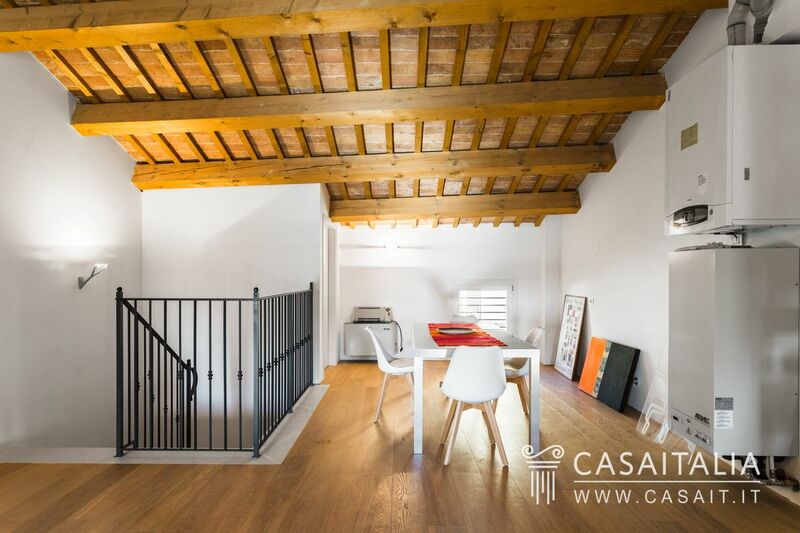 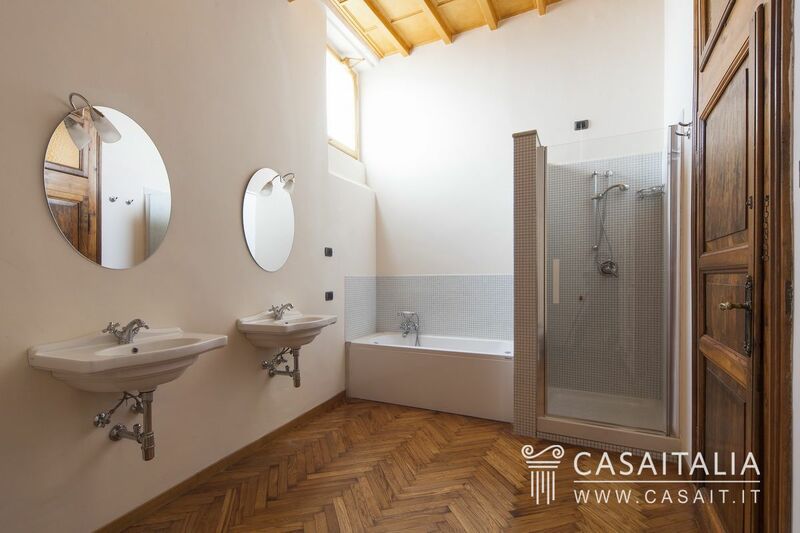 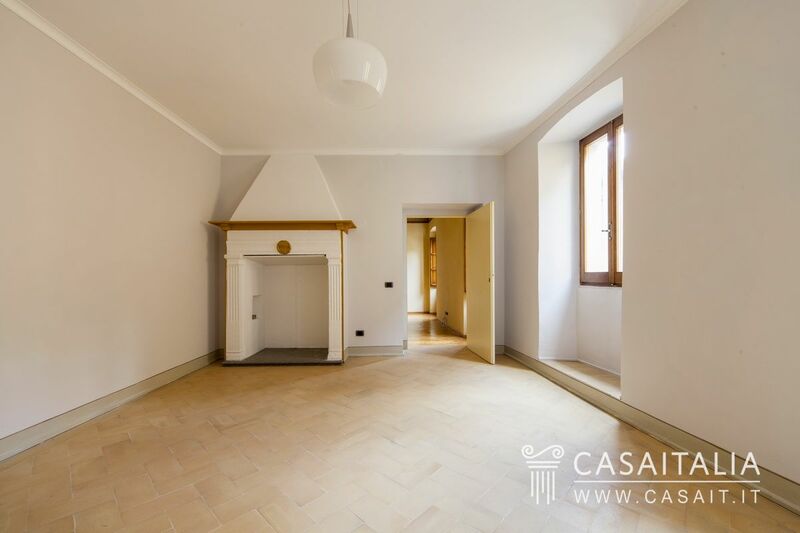 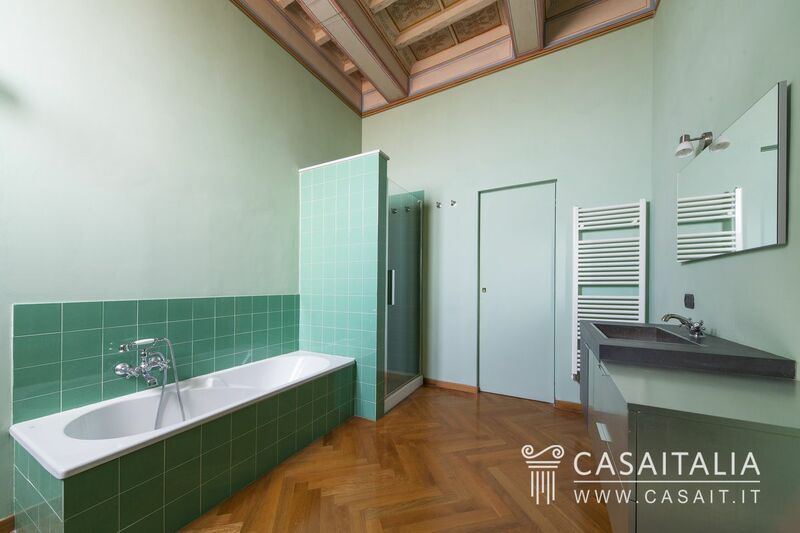 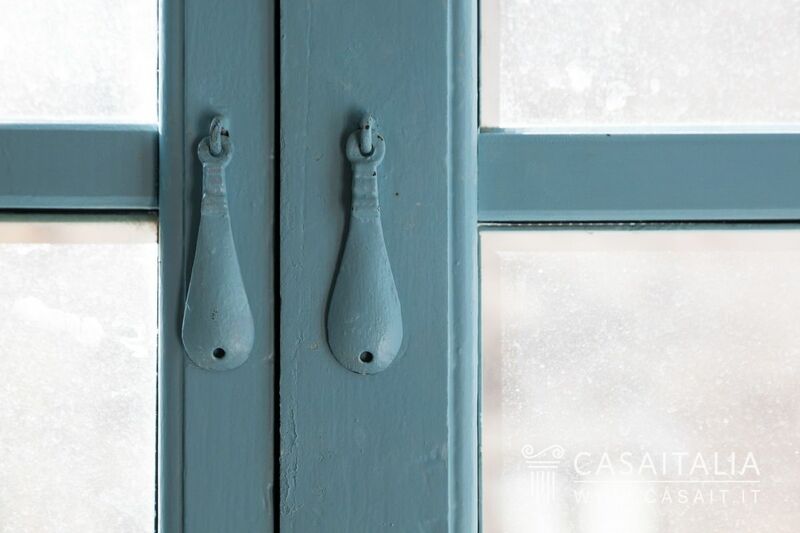 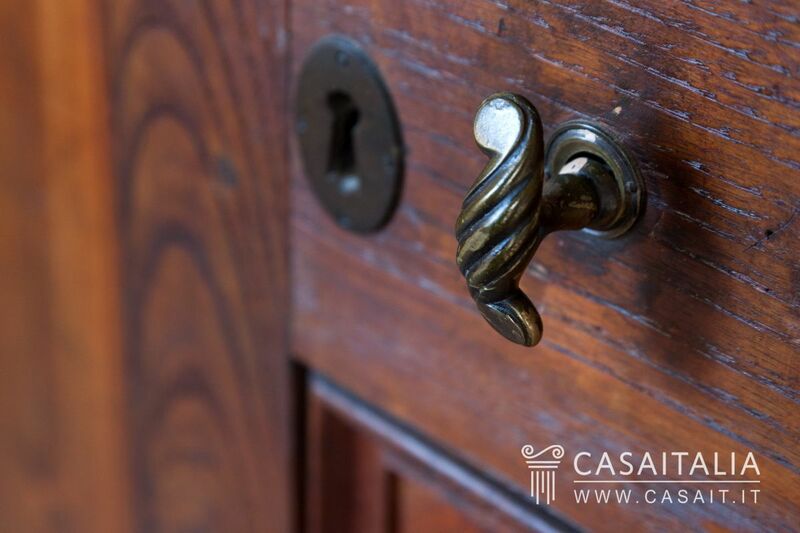 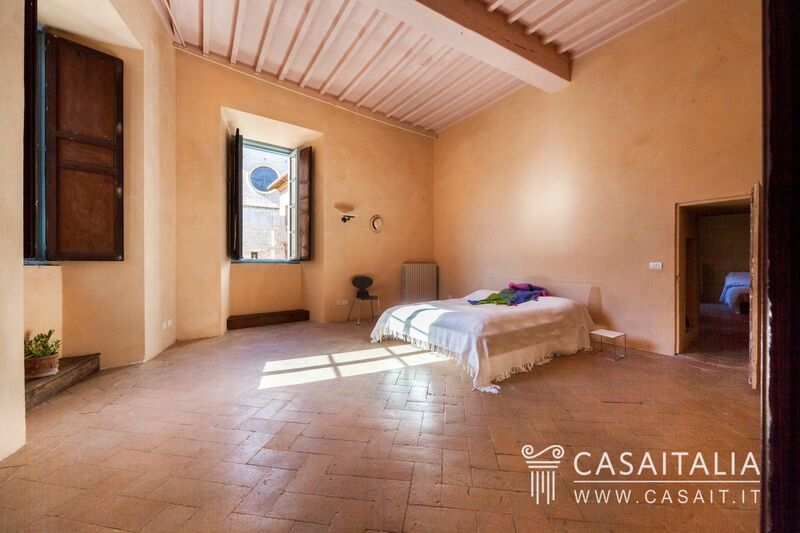 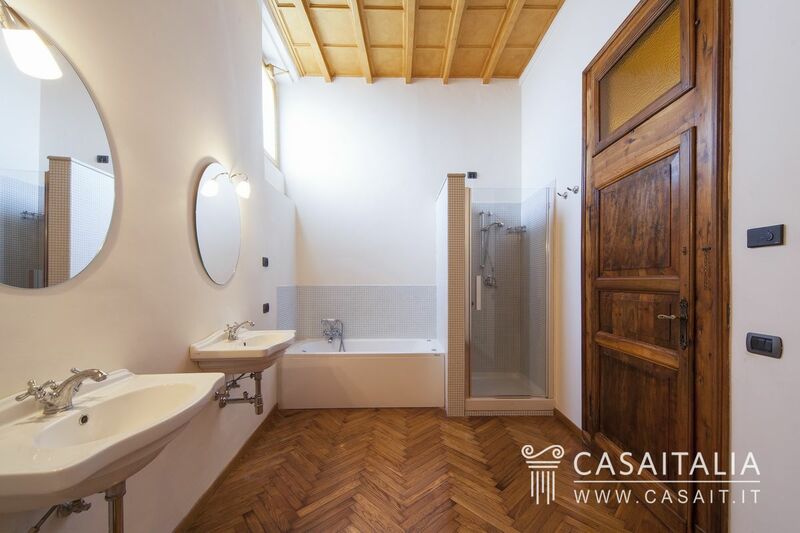 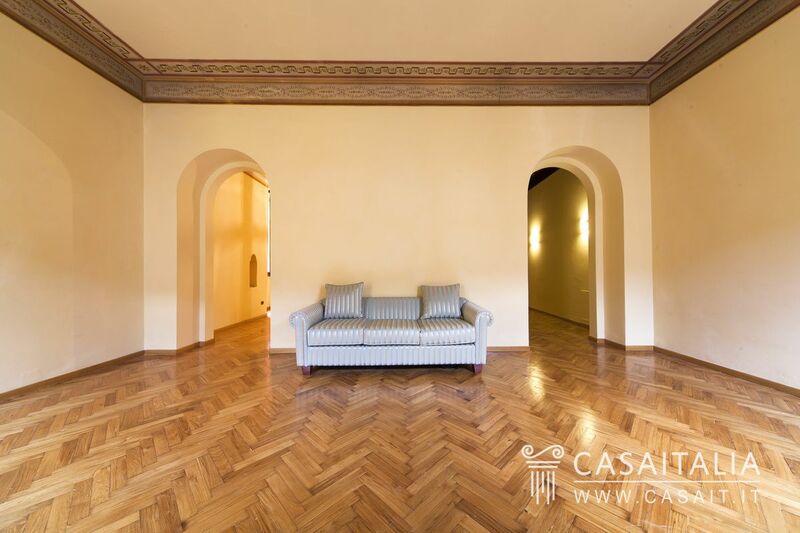 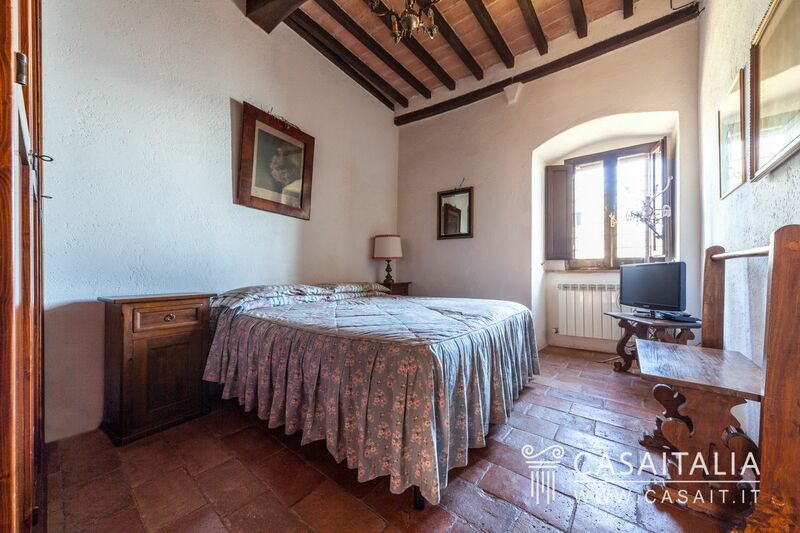 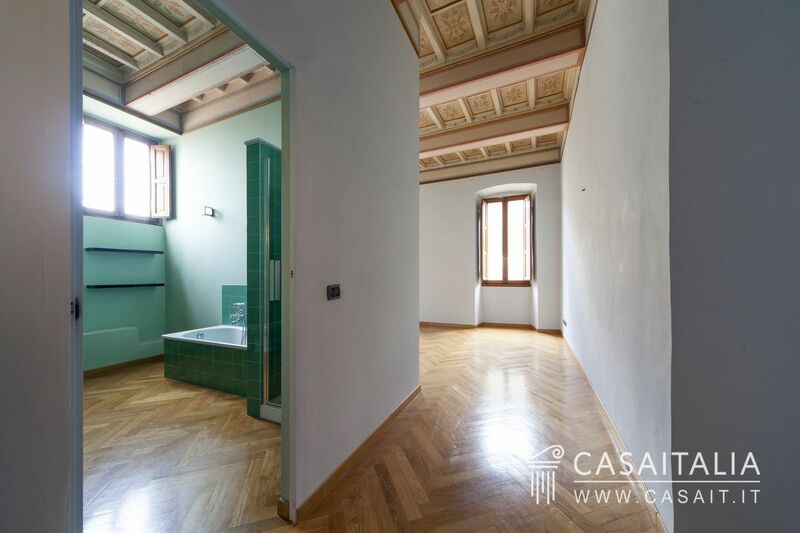 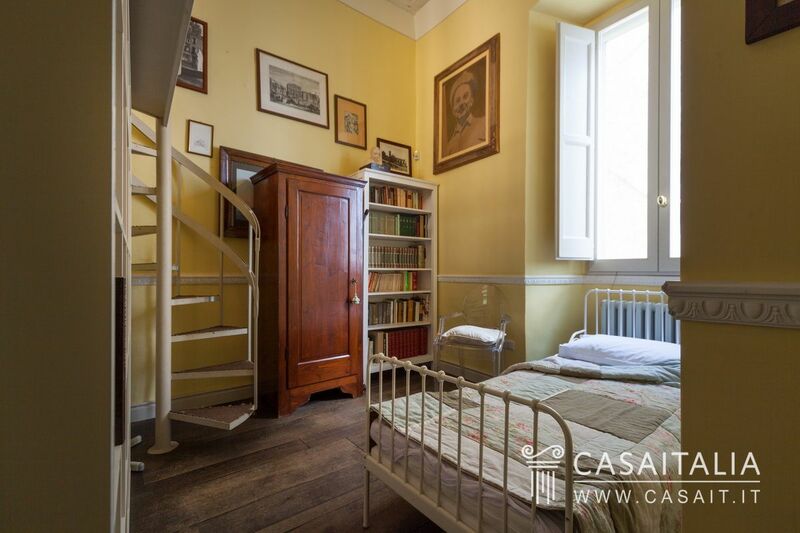 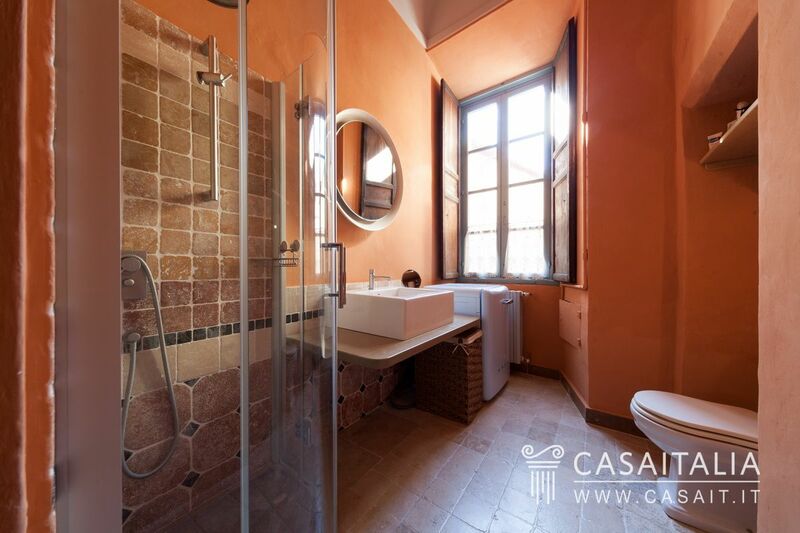 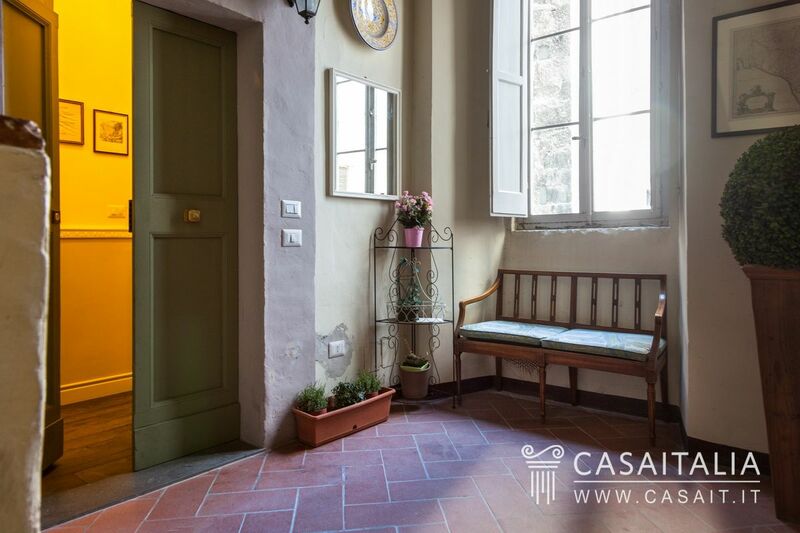 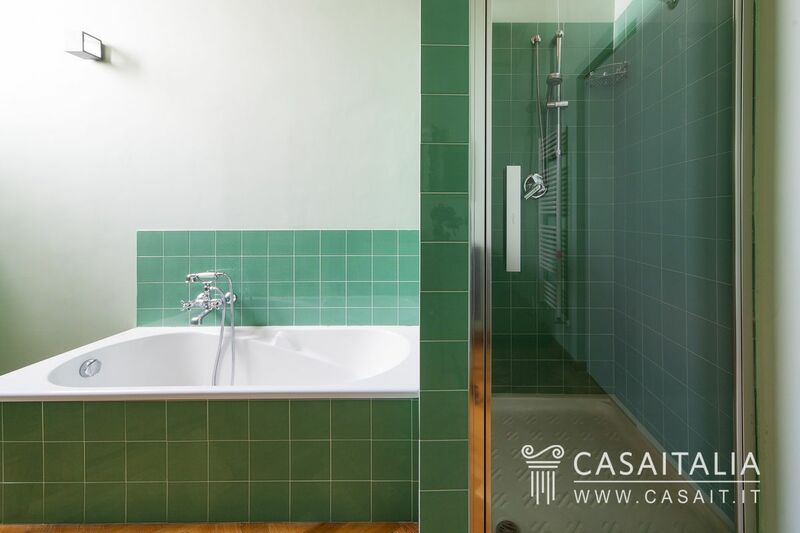 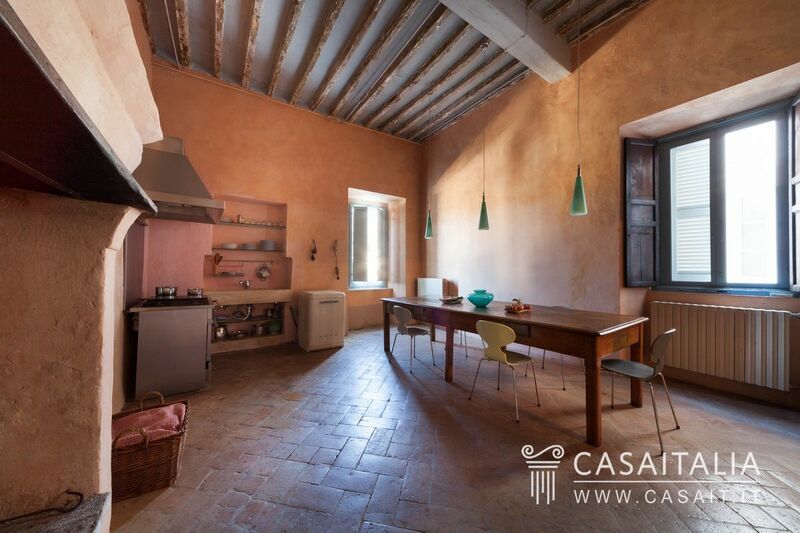 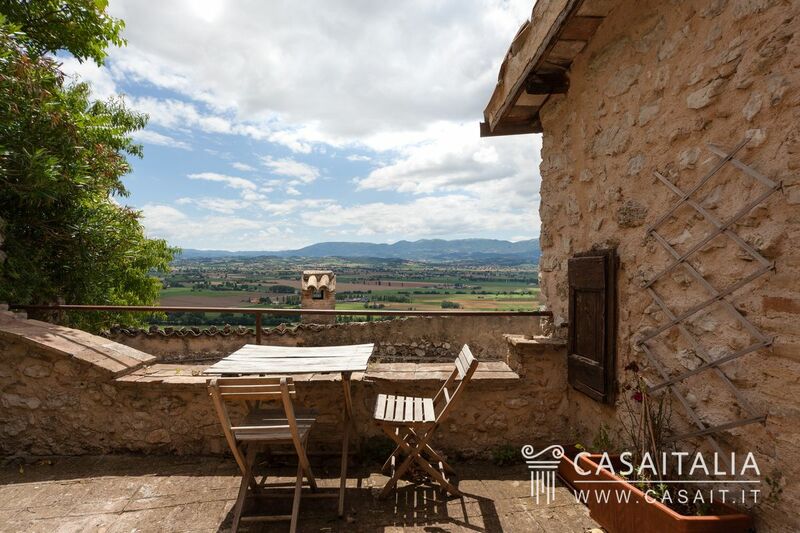 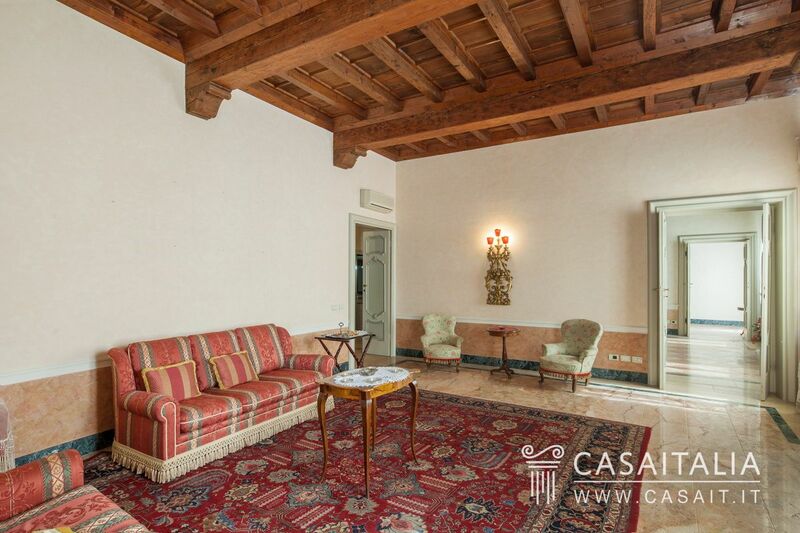 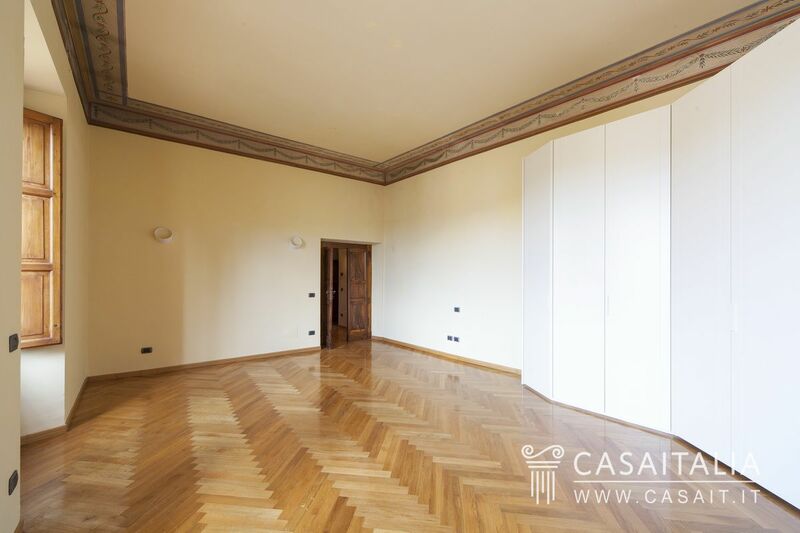 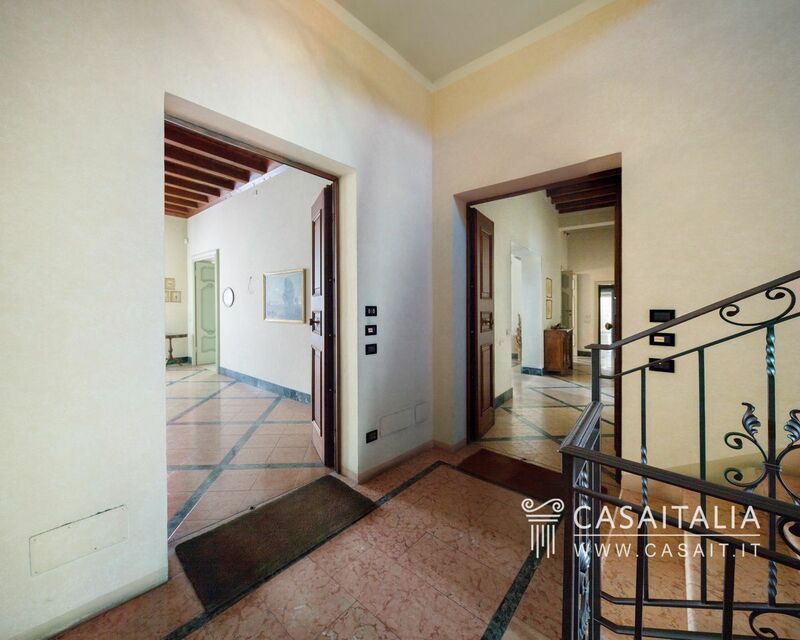 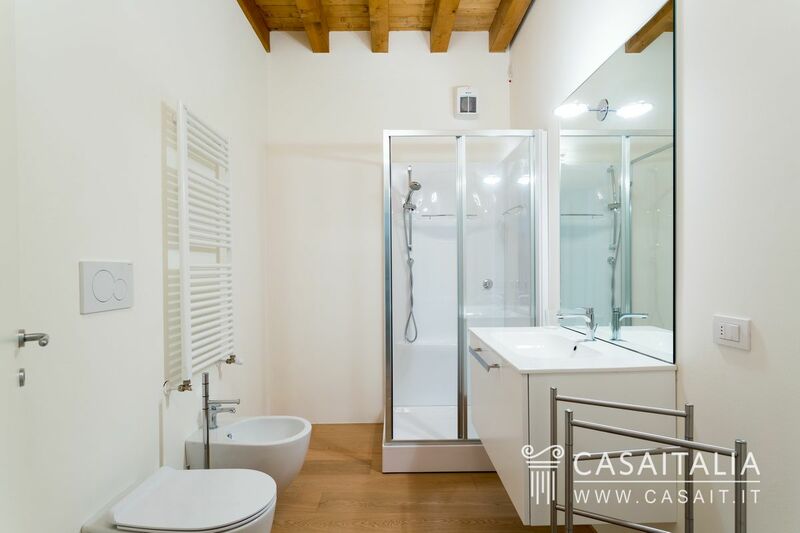 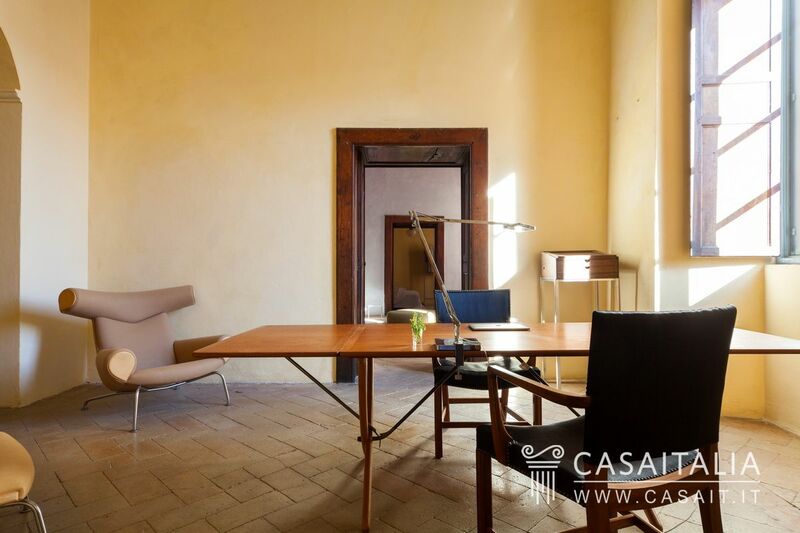 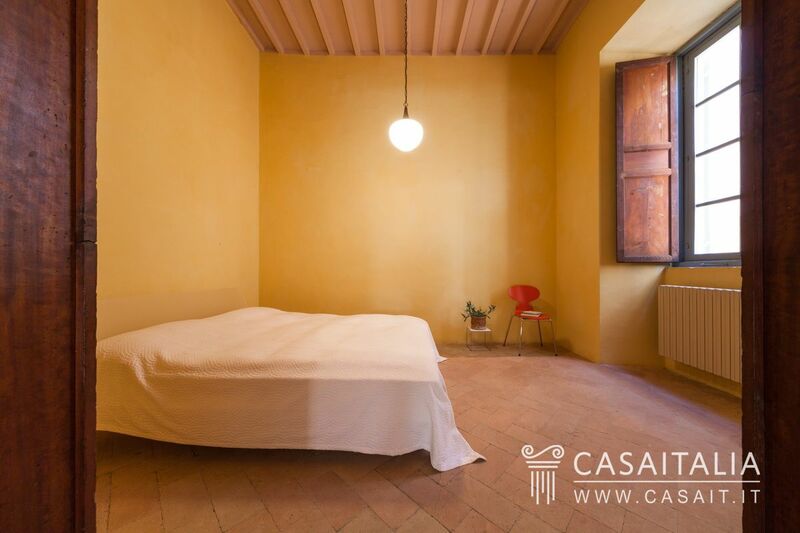 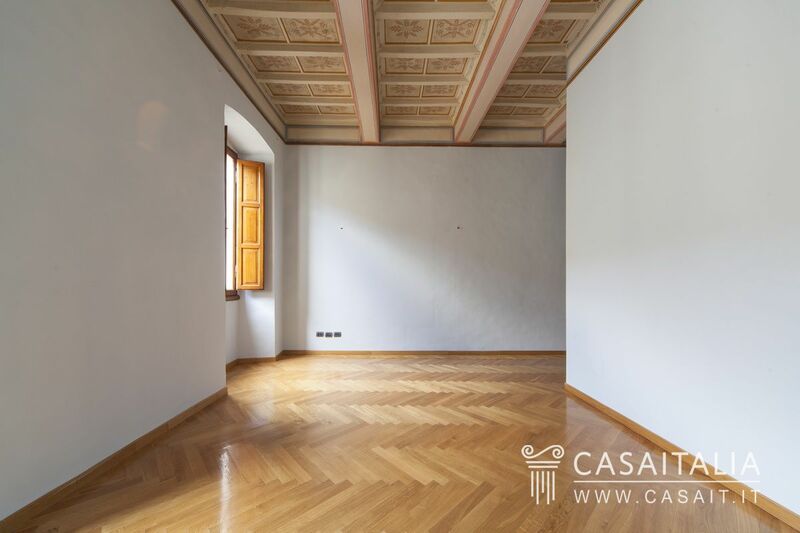 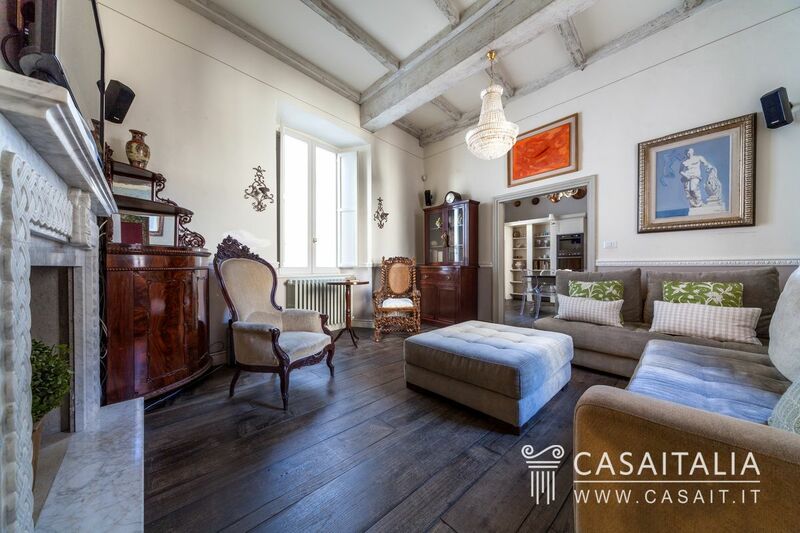 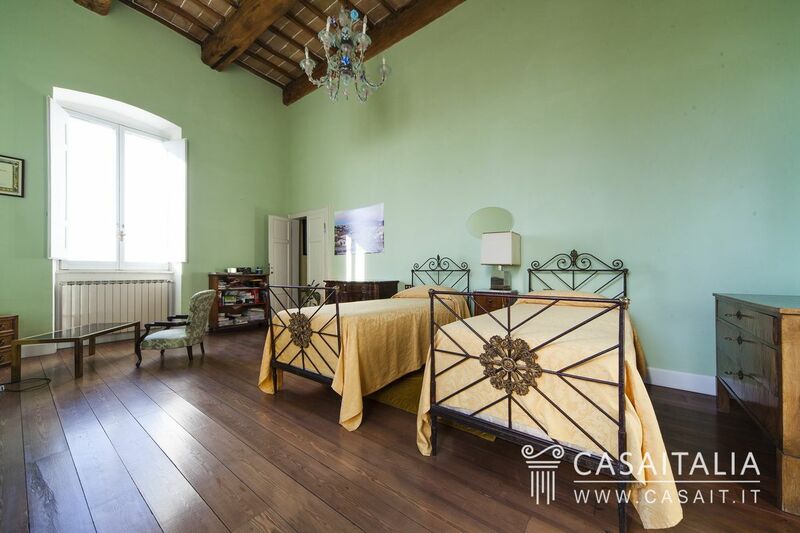 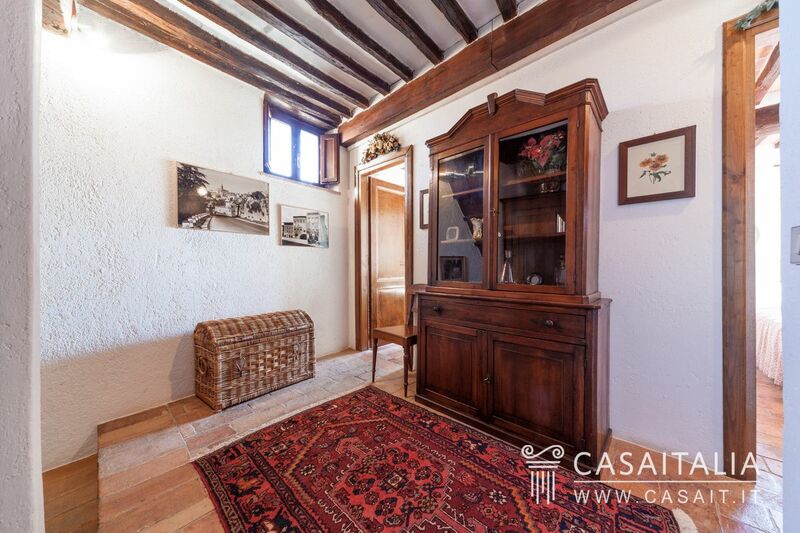 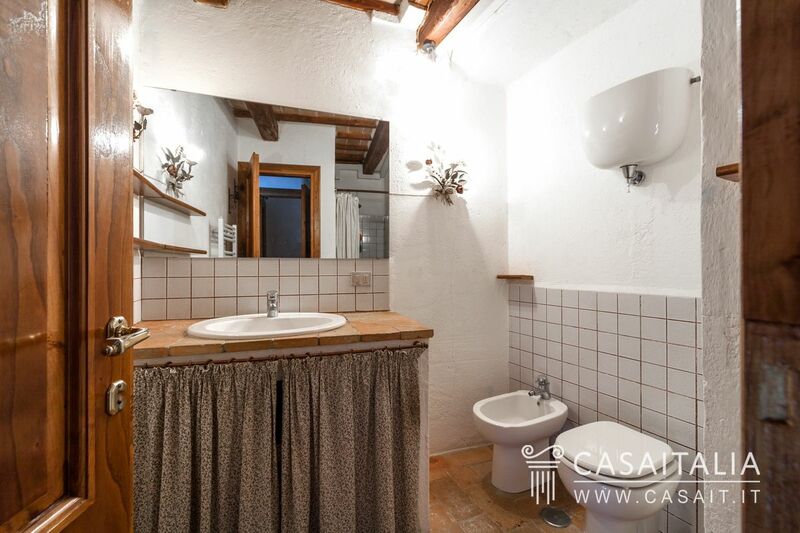 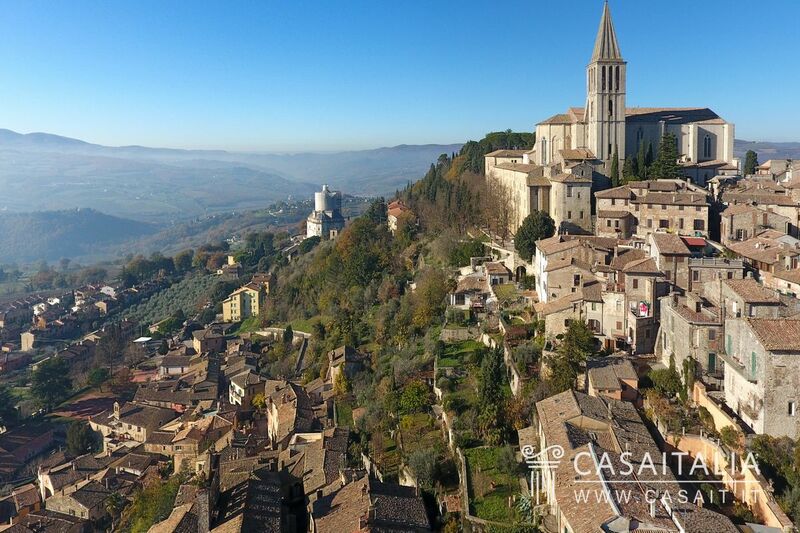 Restored apartment in Todi’s historic centre, with 380 sq.m private garden. 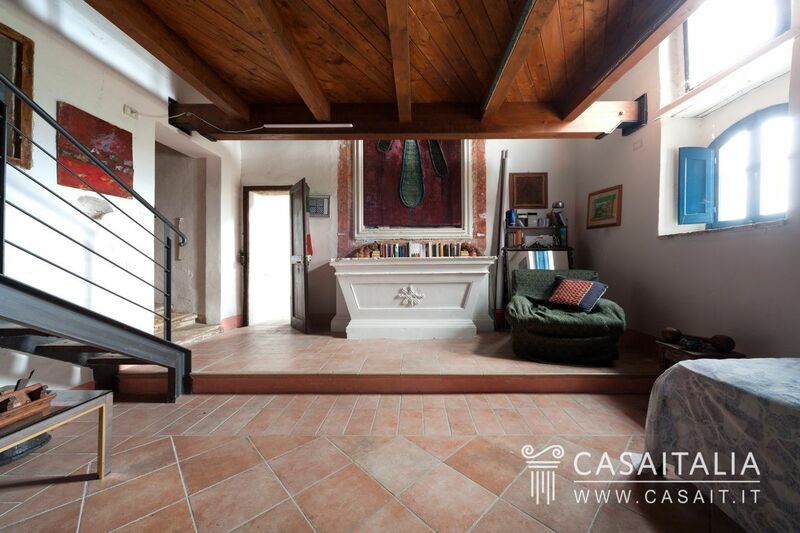 With 3 floors, measures around 300 sq.m in total and comprises kitchen, two sitting rooms, 5 bedrooms and 5 bathrooms. 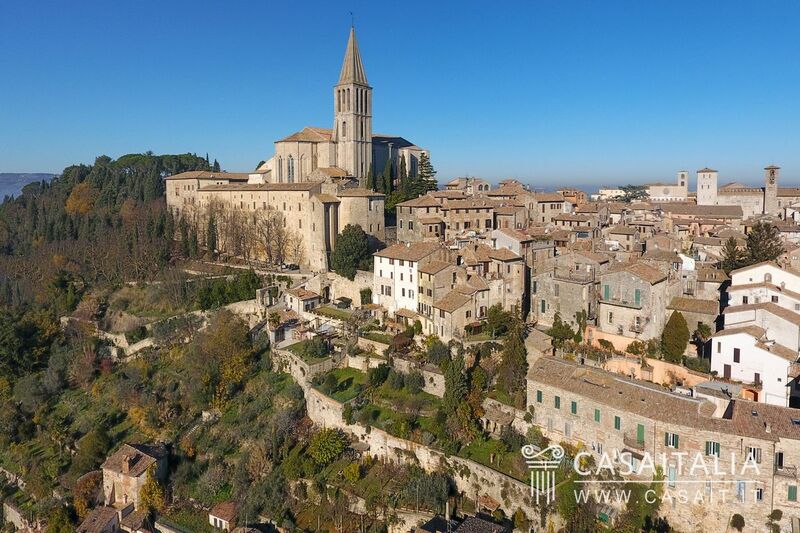 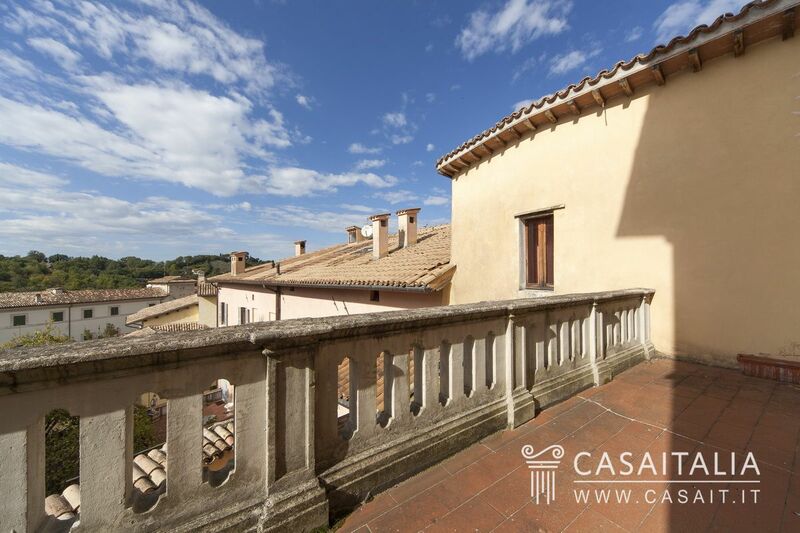 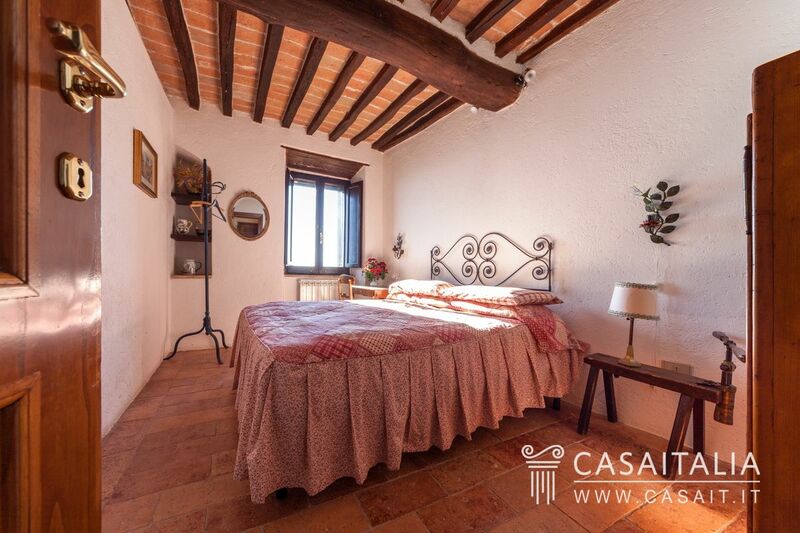 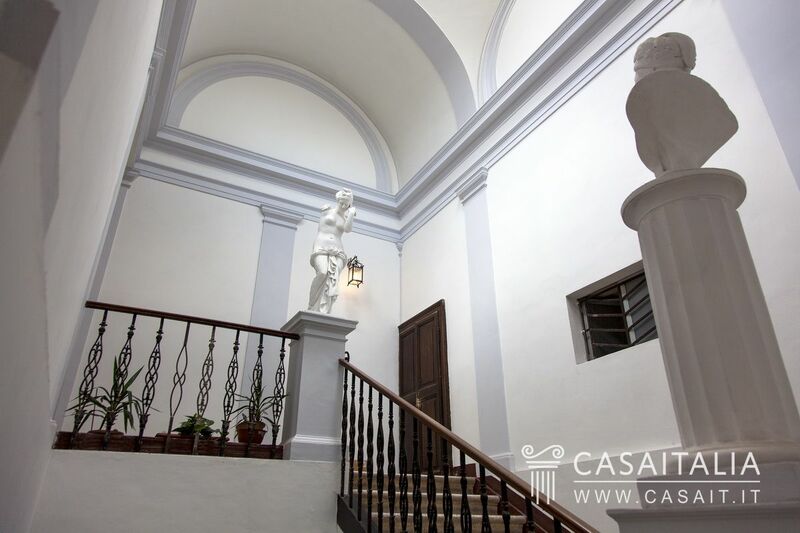 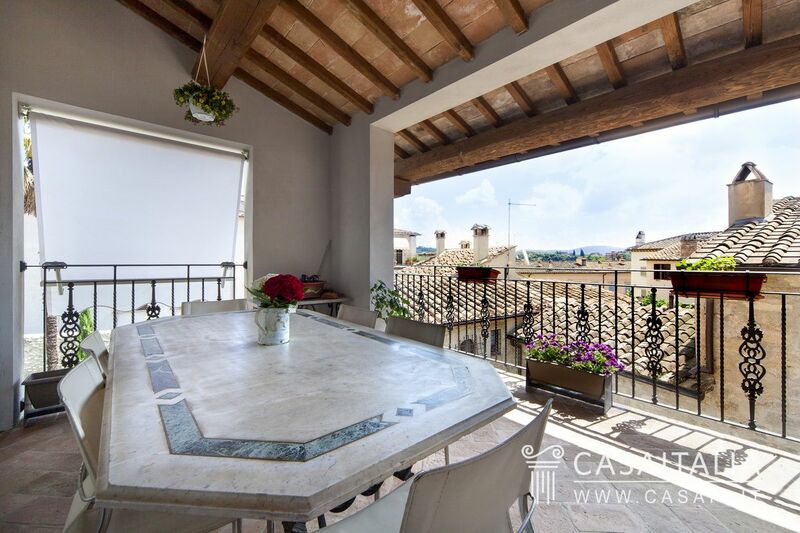 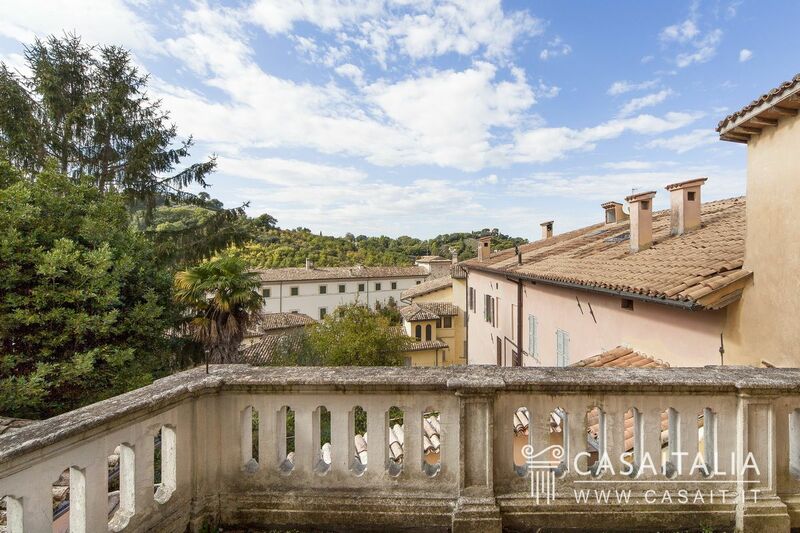 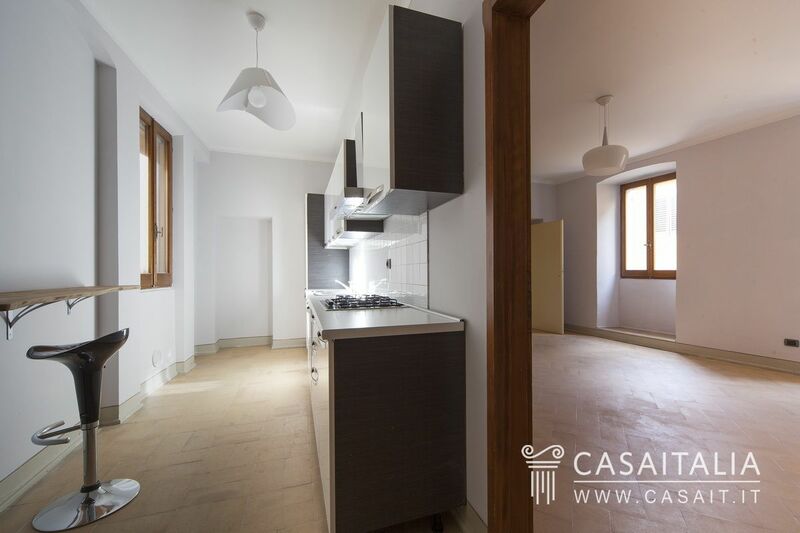 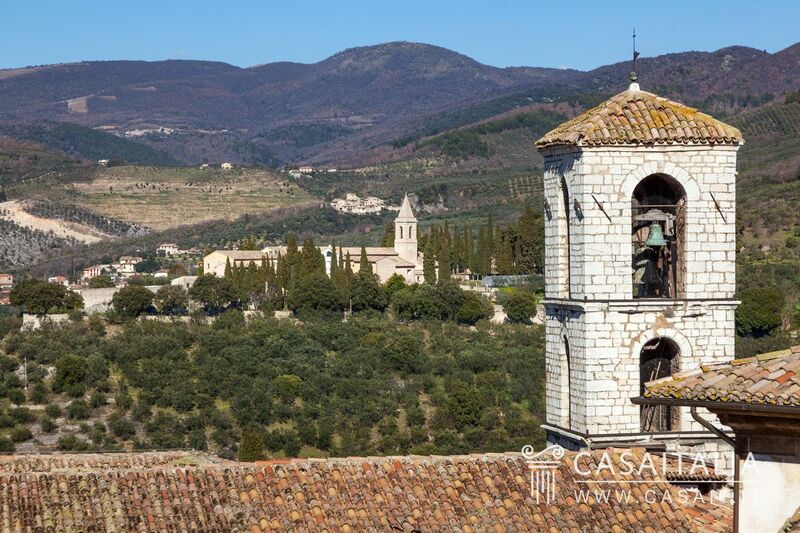 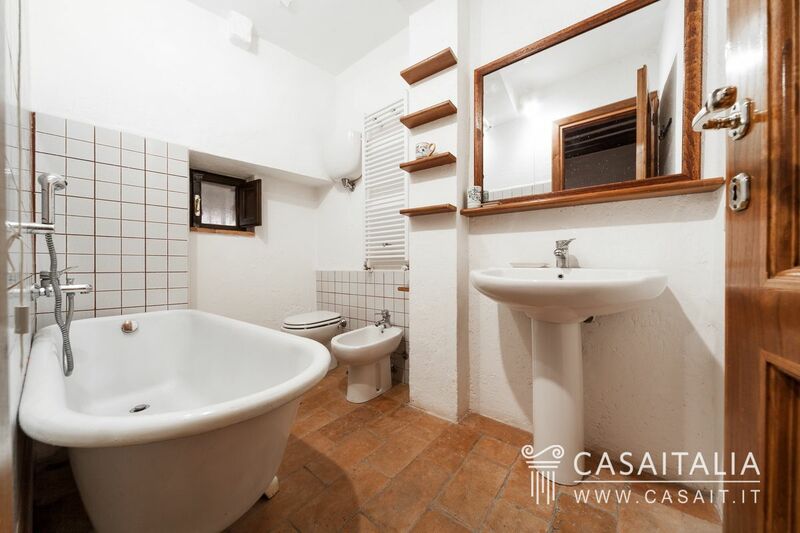 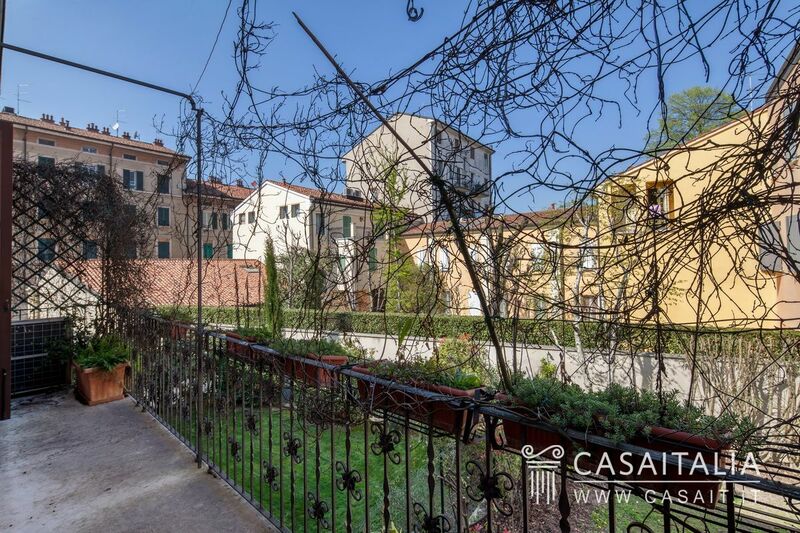 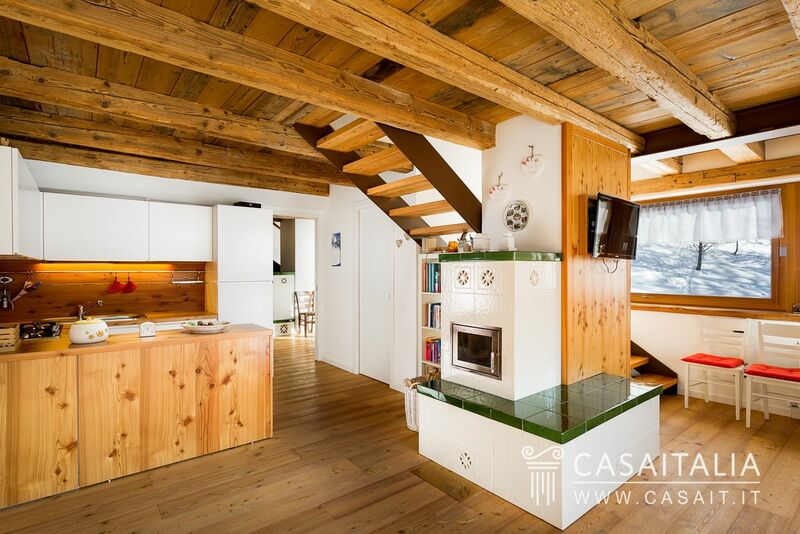 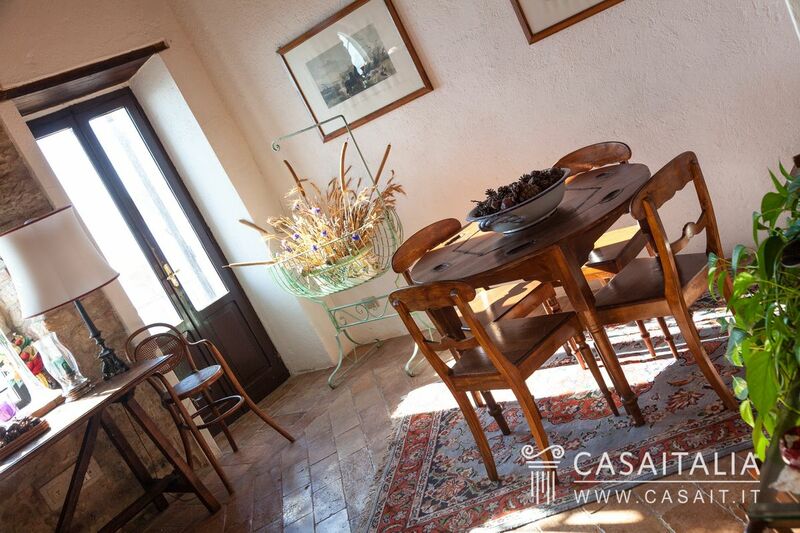 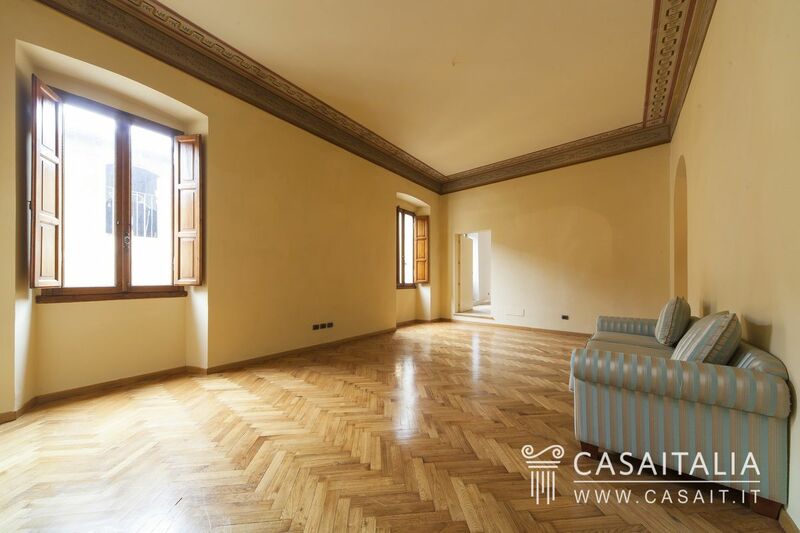 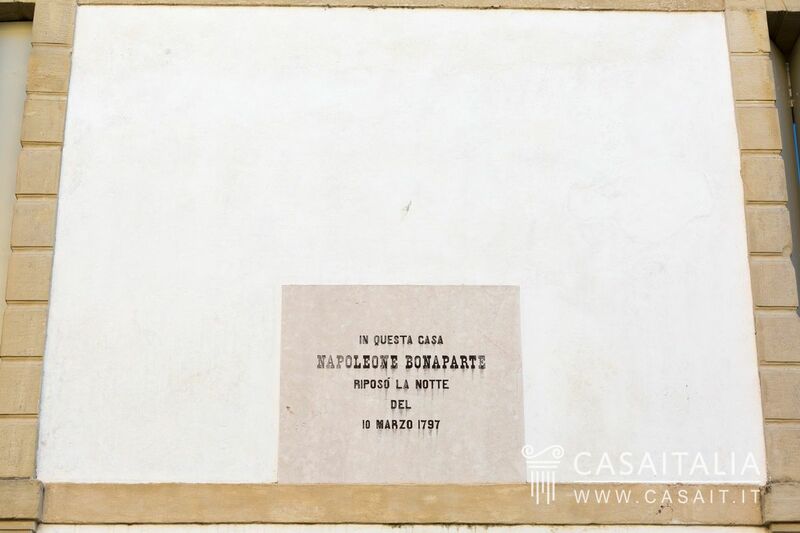 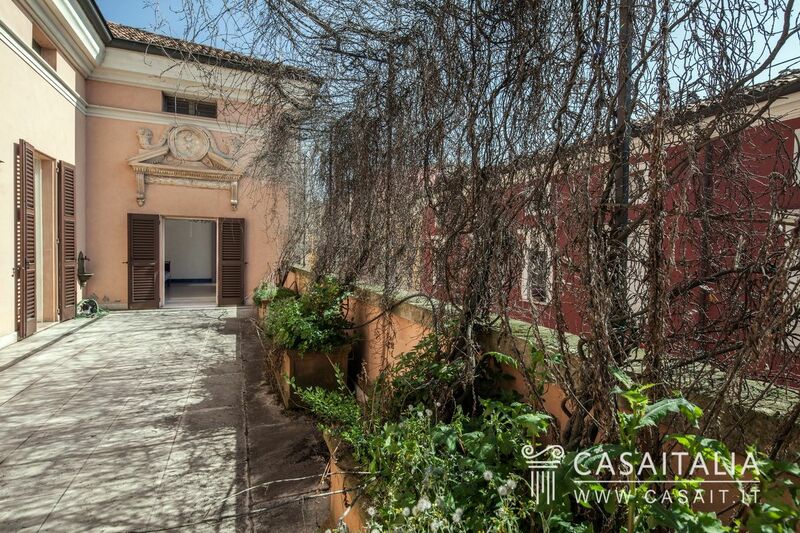 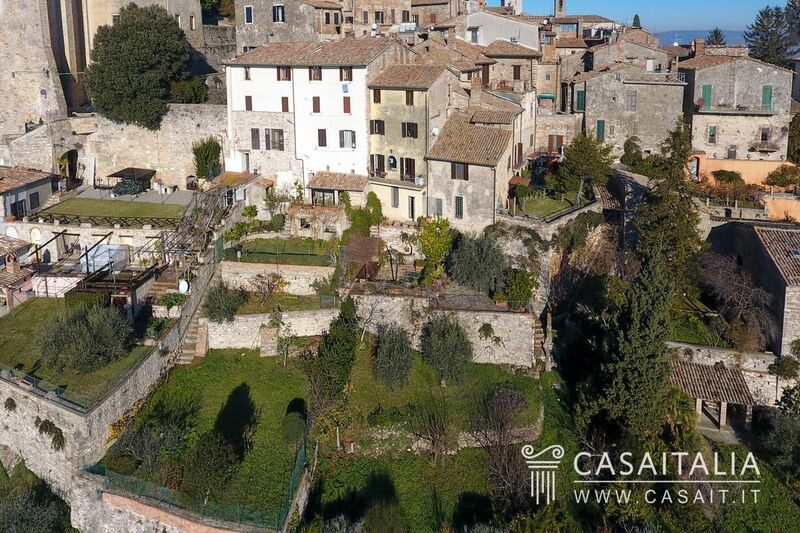 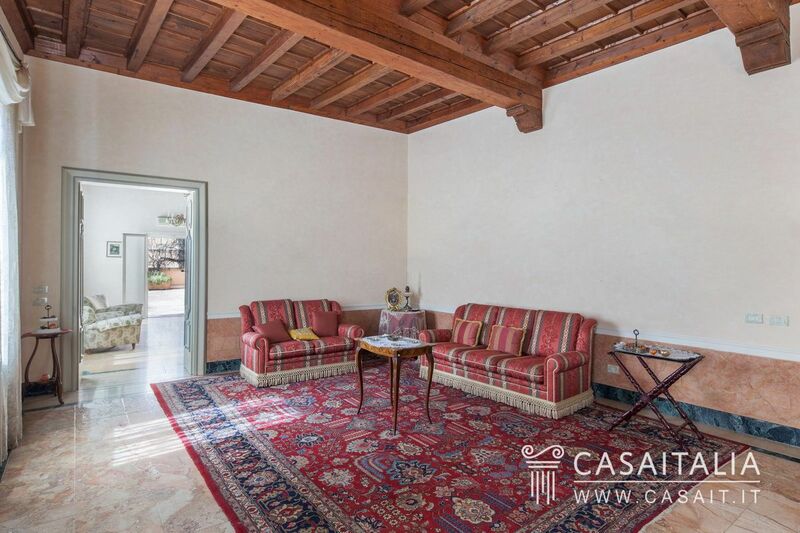 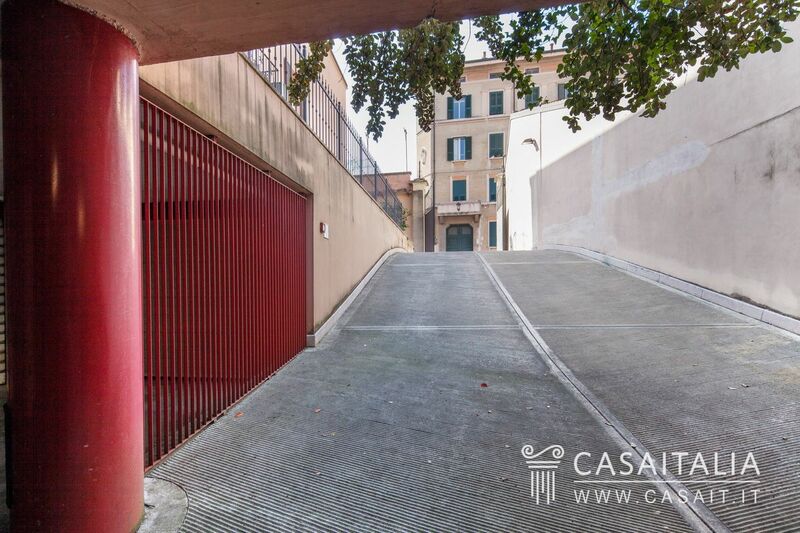 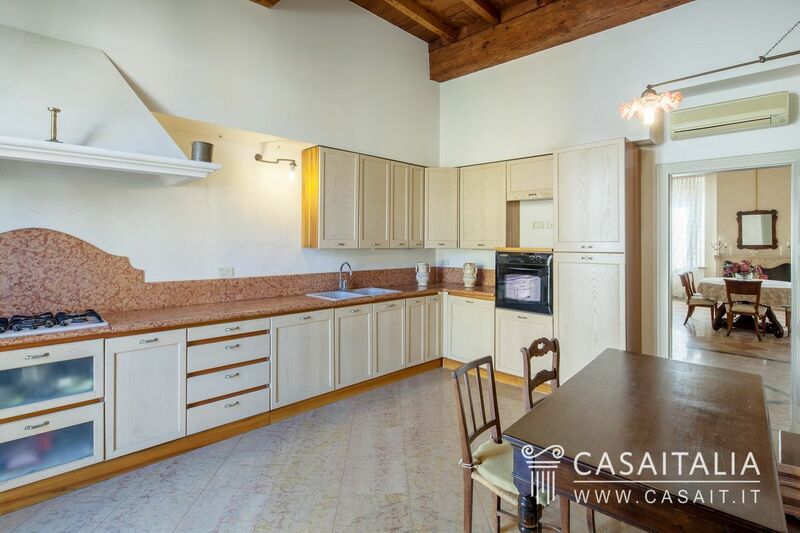 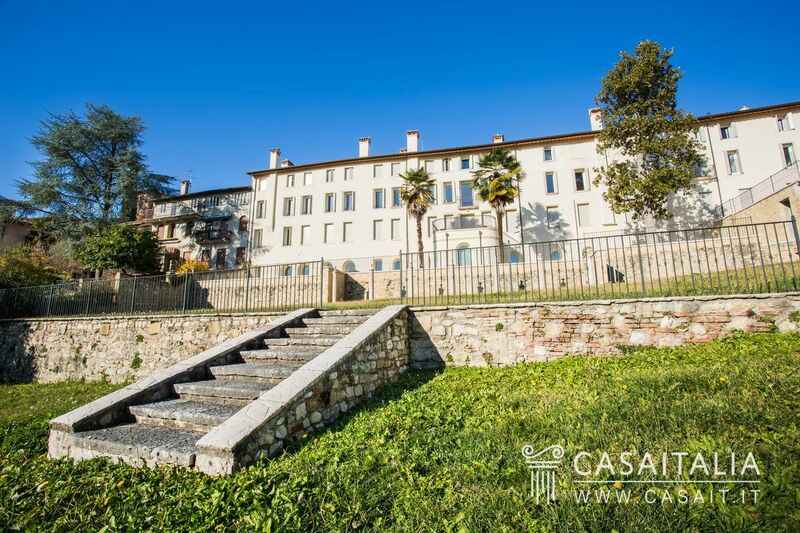 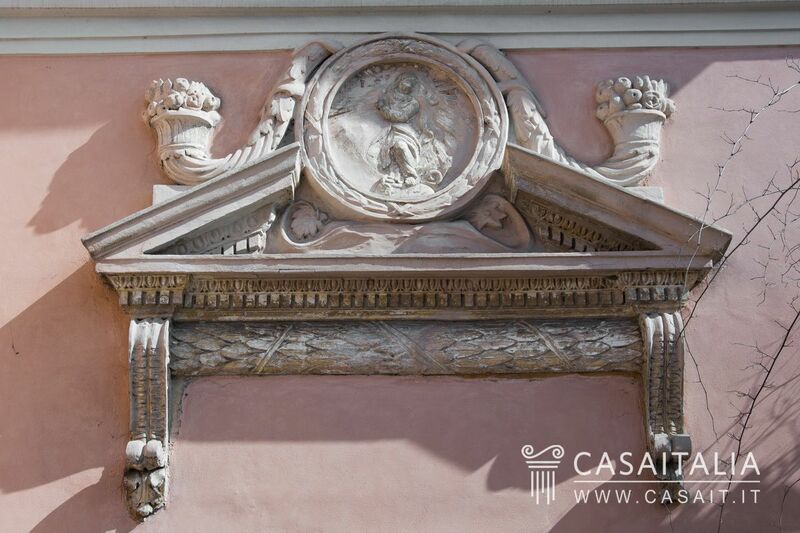 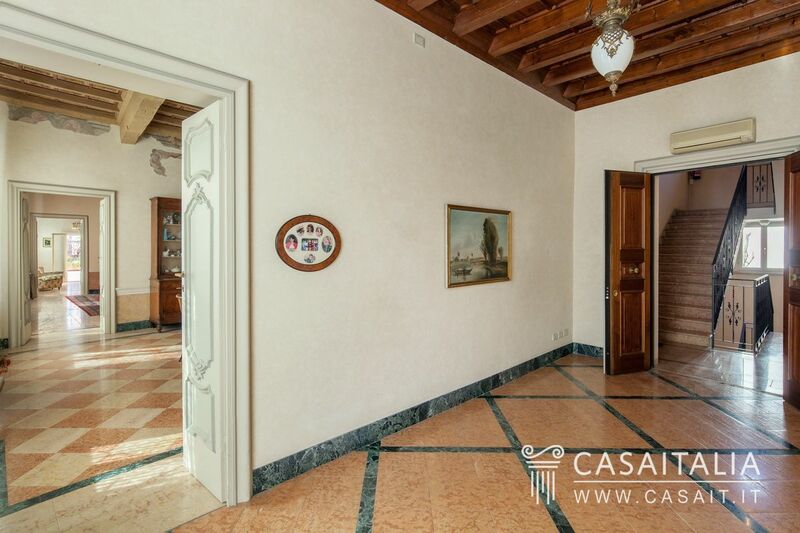 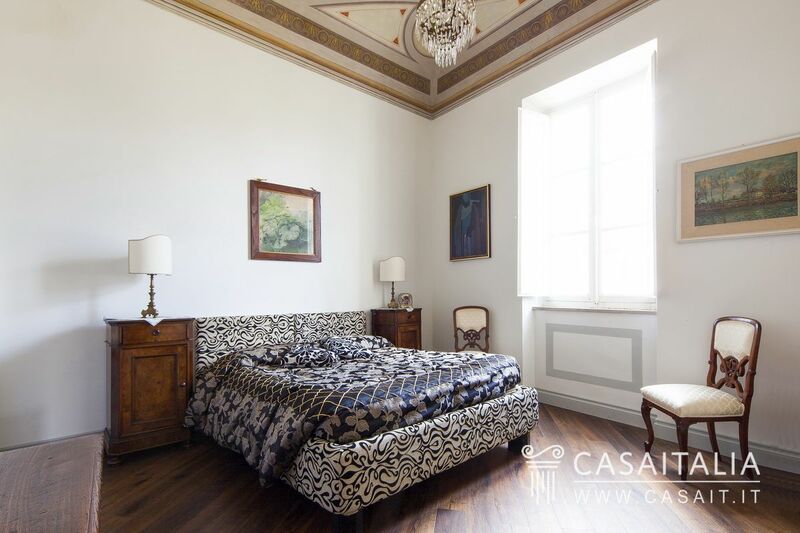 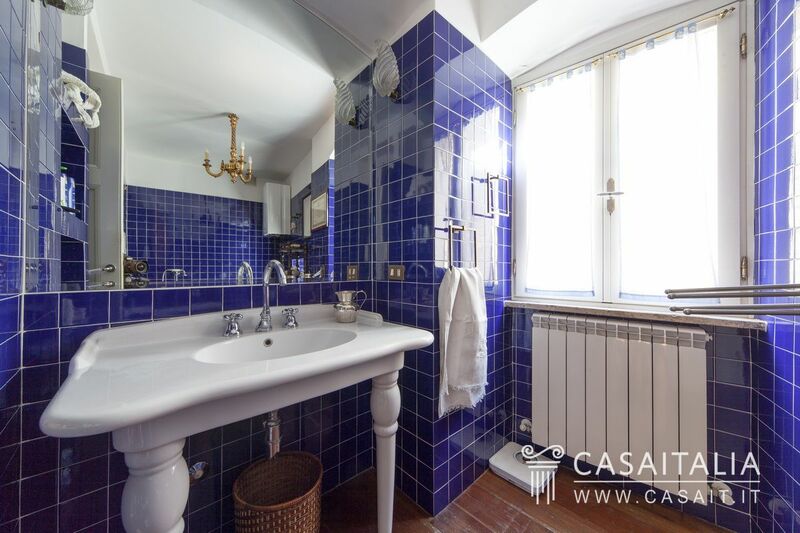 Impressive apartment with terrace in an excellent location in the historic centre of Spoleto. 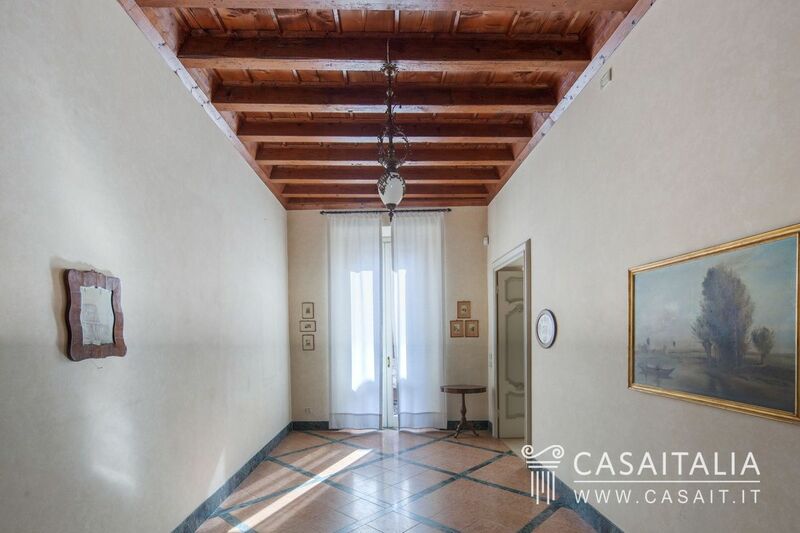 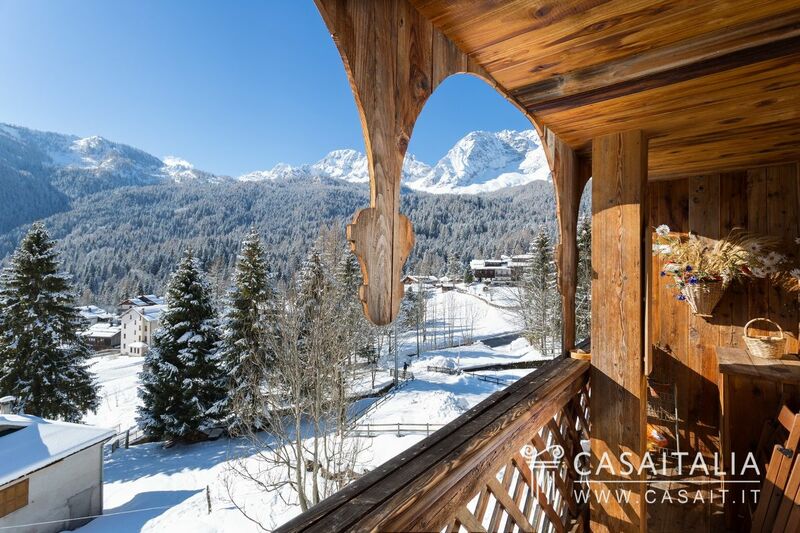 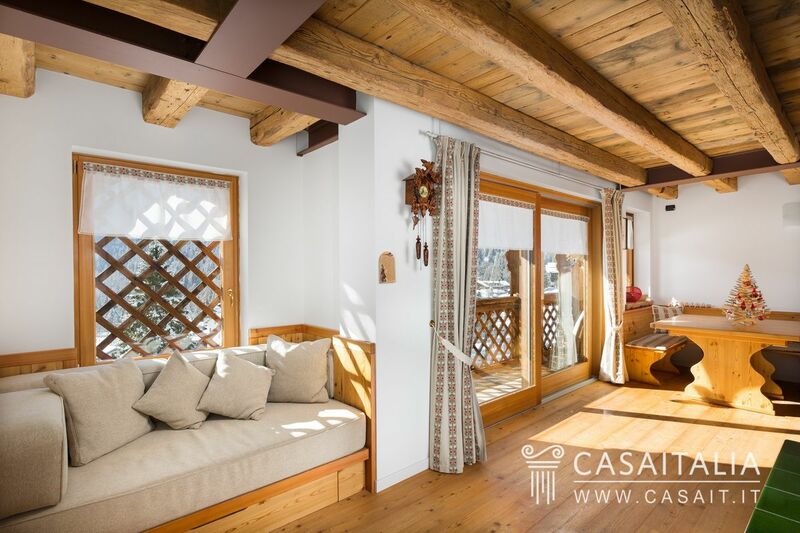 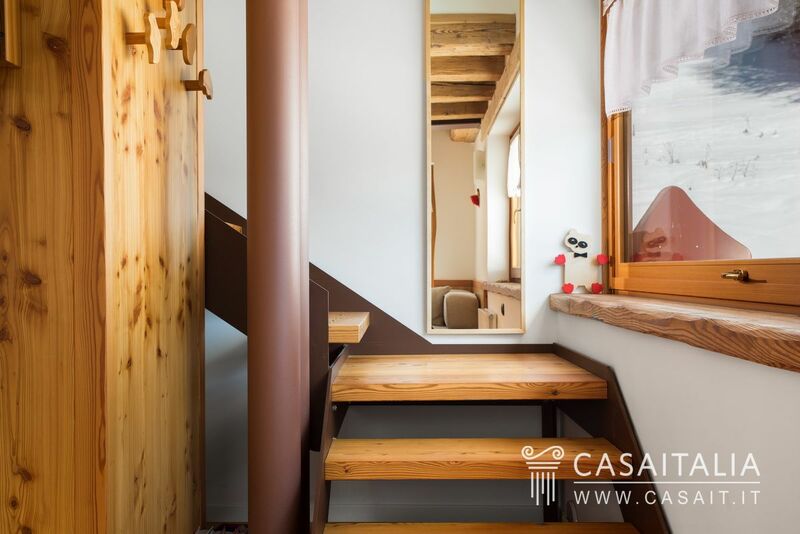 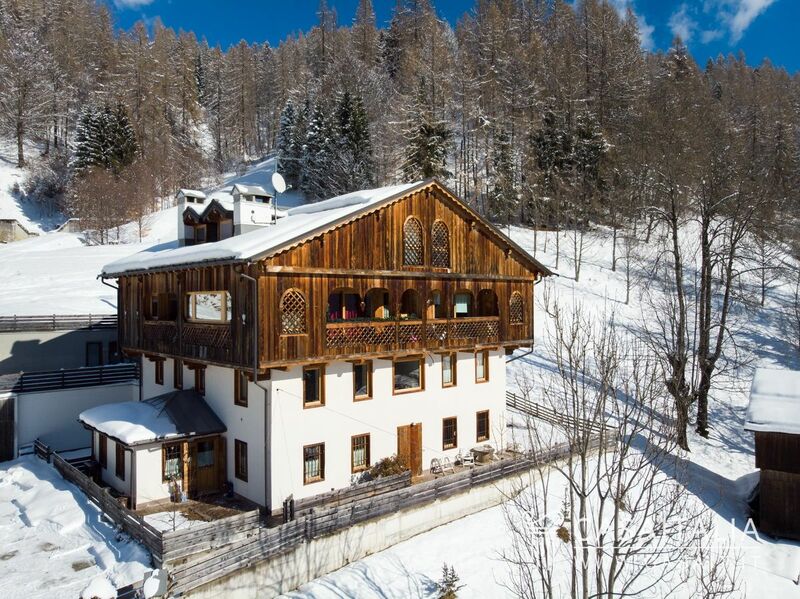 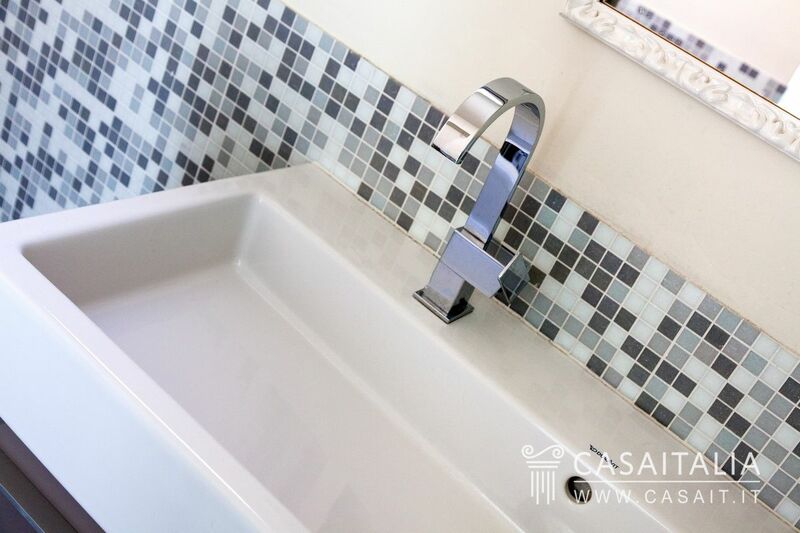 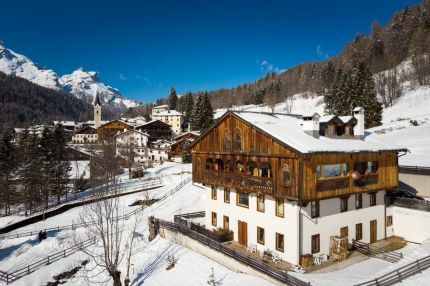 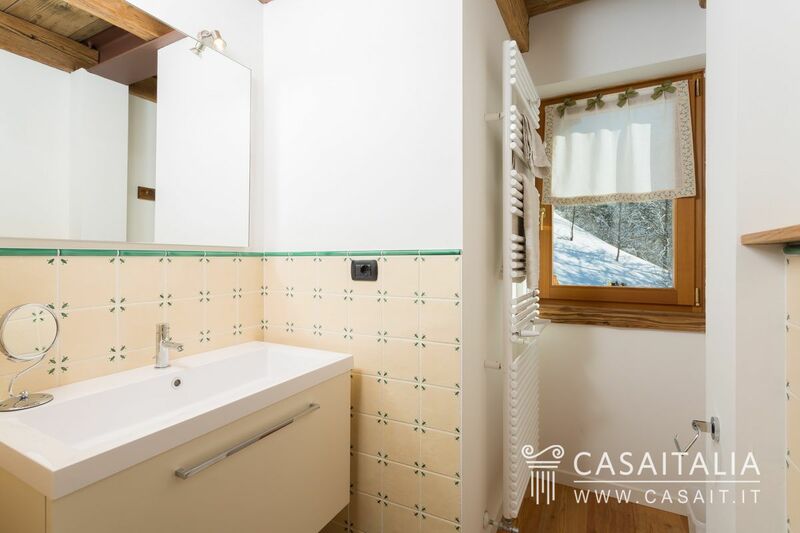 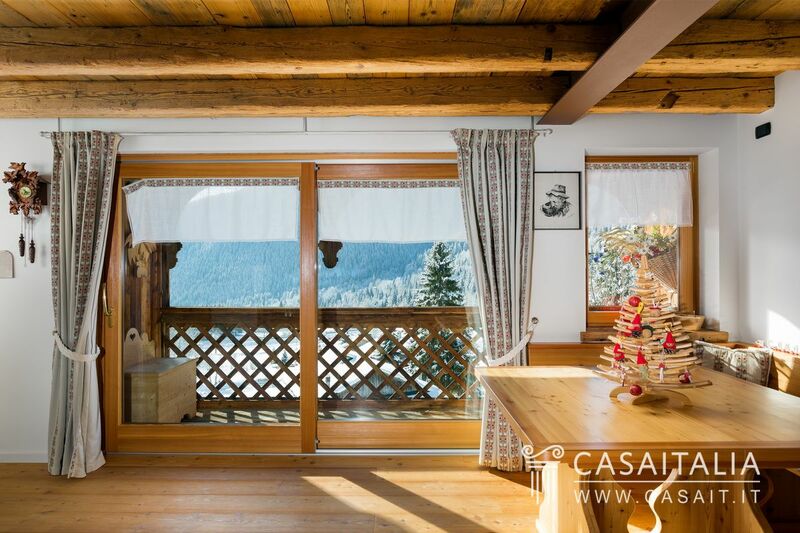 Situated on the second floor, with lift, comprises entrance hall, living room, sitting room, dining room, kitchen, three bedrooms, 4 bathrooms, small loggia and laundry room. 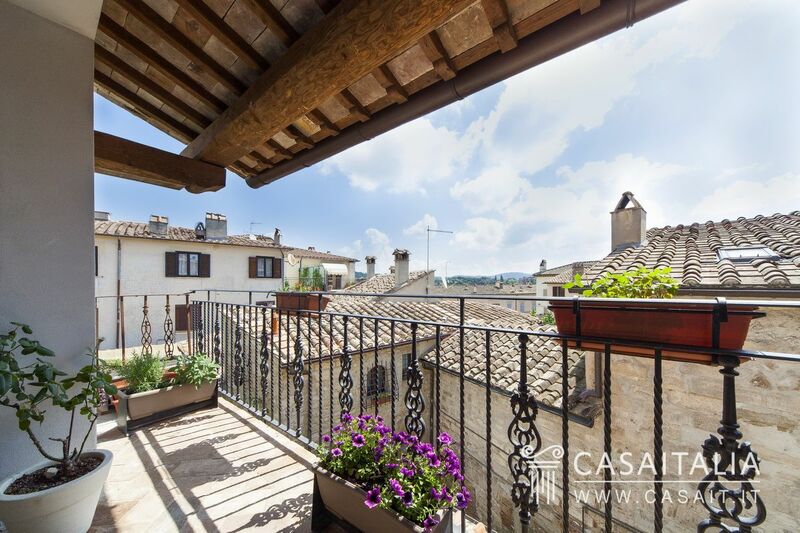 11 sq.m terrace. 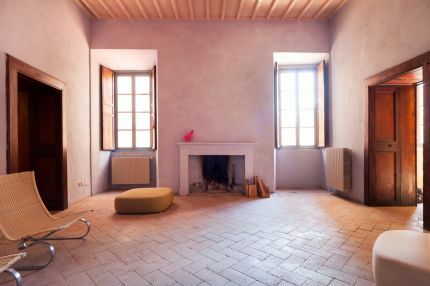 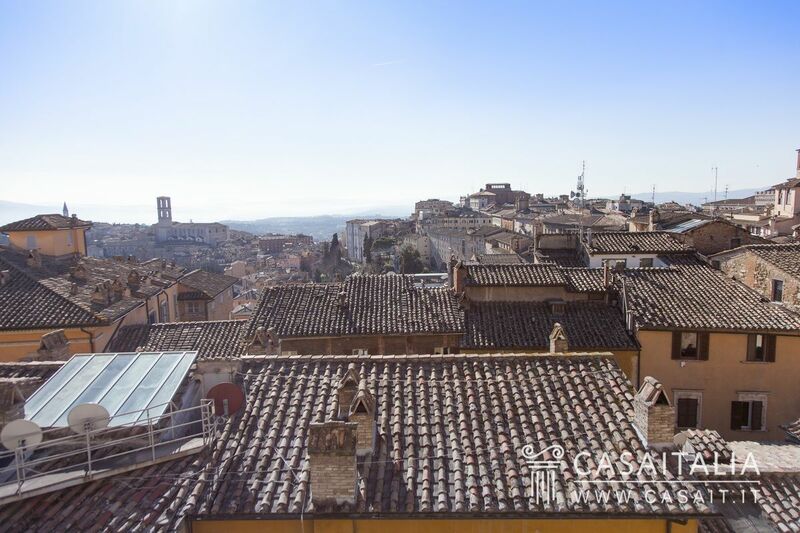 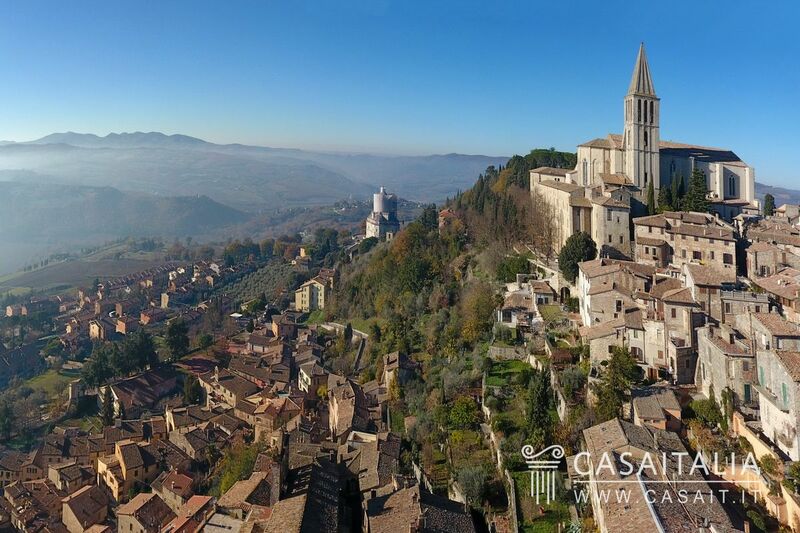 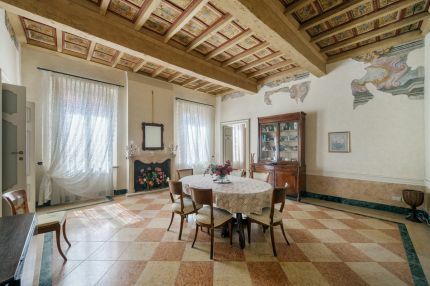 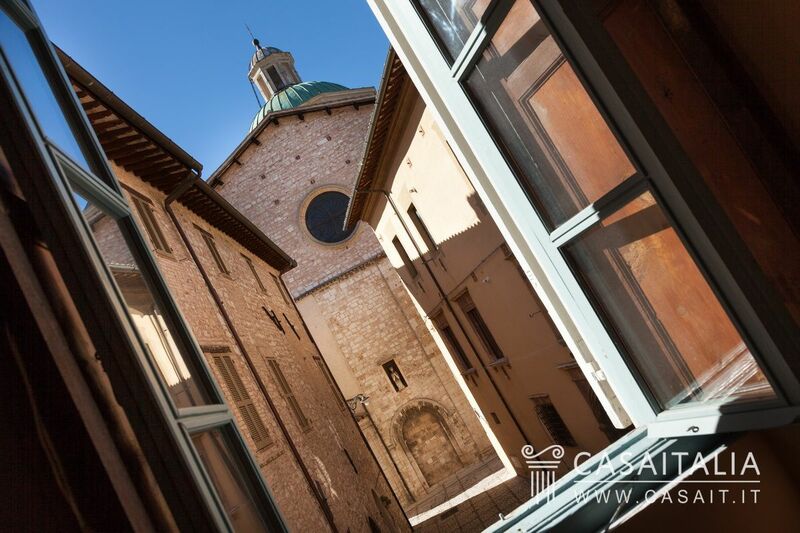 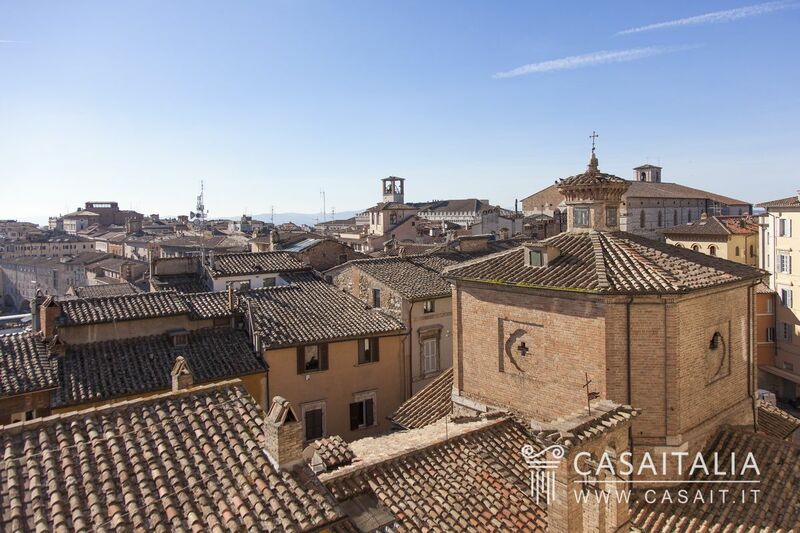 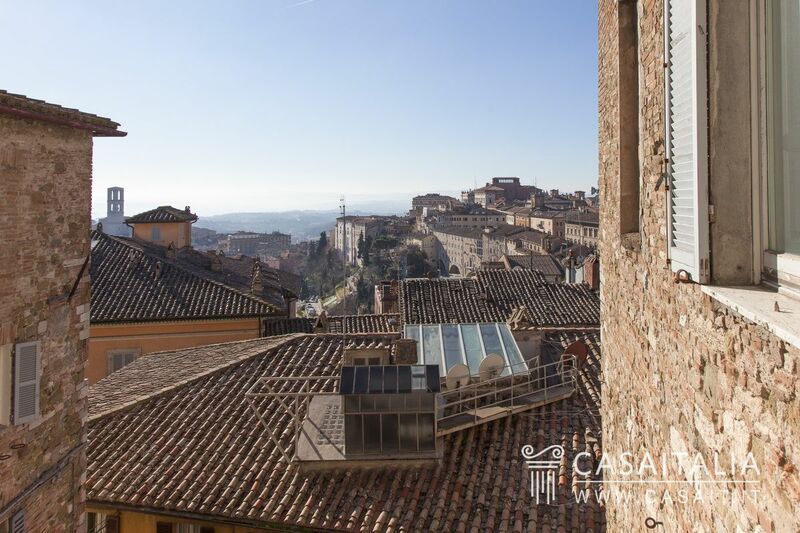 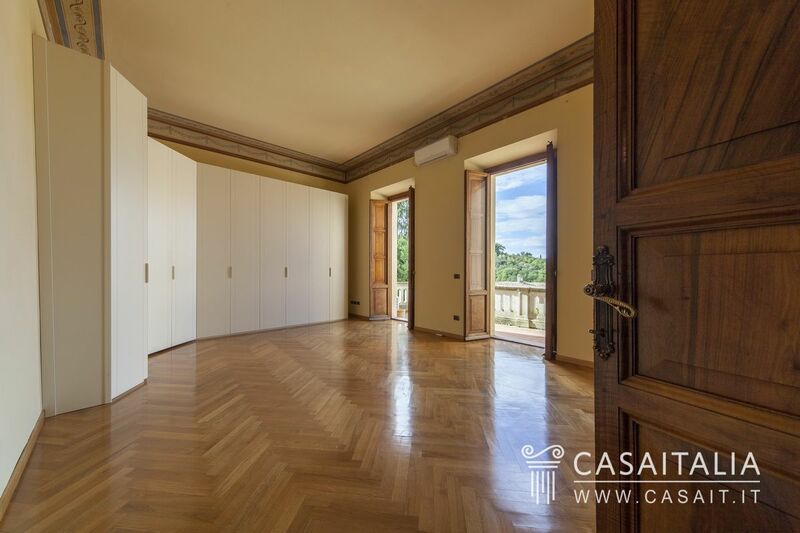 Bright, panoramic apartment for sale in the heart of Perugia, on the first floor of a period palazzo. 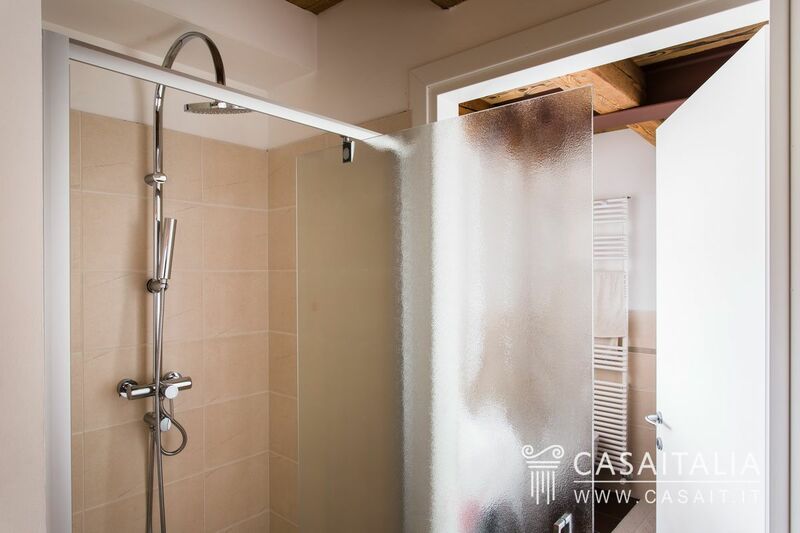 Measuring around 220 sq.m in total, comprises picturesque and spacious living areas, two bedrooms, two bathrooms, walk-in wardrobe and laundry room. 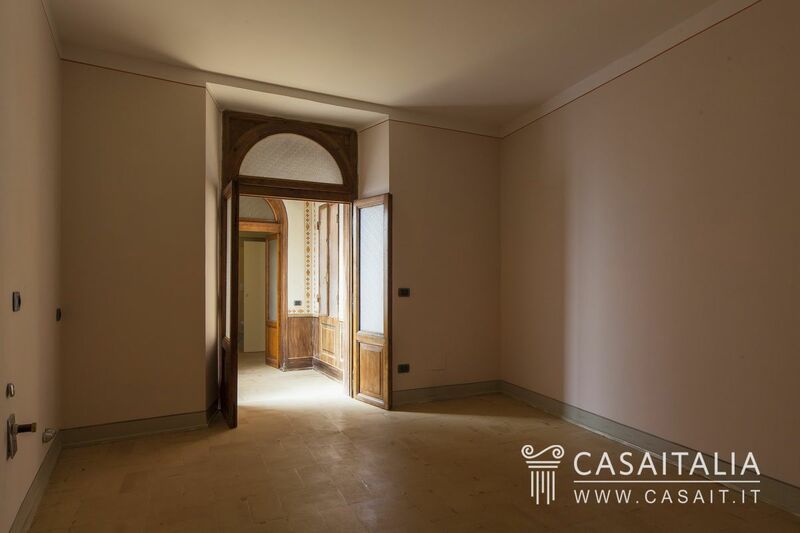 Apartment on the main floor of a period palazzo measuring around 291 sq.m, plus a 50 sq.m terrace, balconies, cellar and 60 sq.m garage. 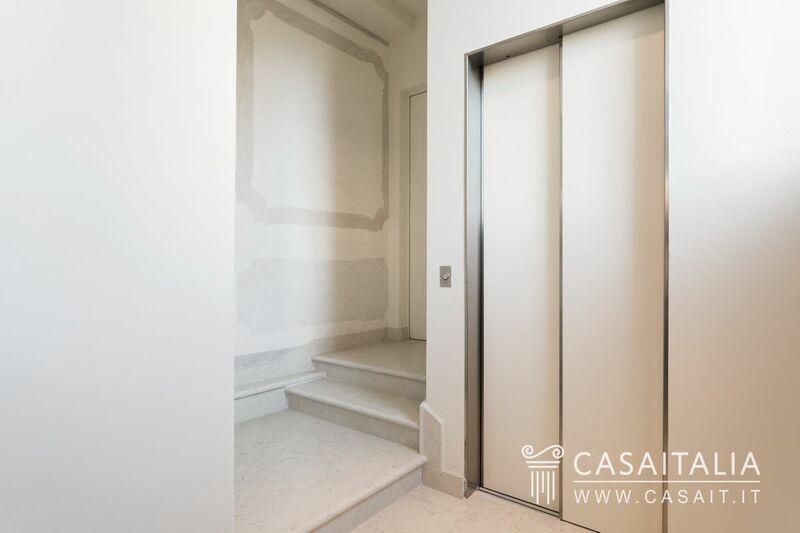 With lift. 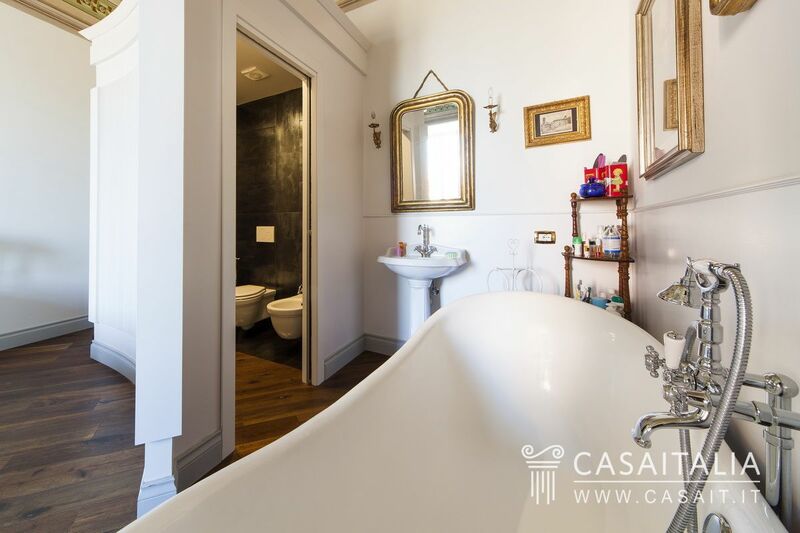 Inside features impressive living areas, 3 bedrooms and 3 bathrooms.